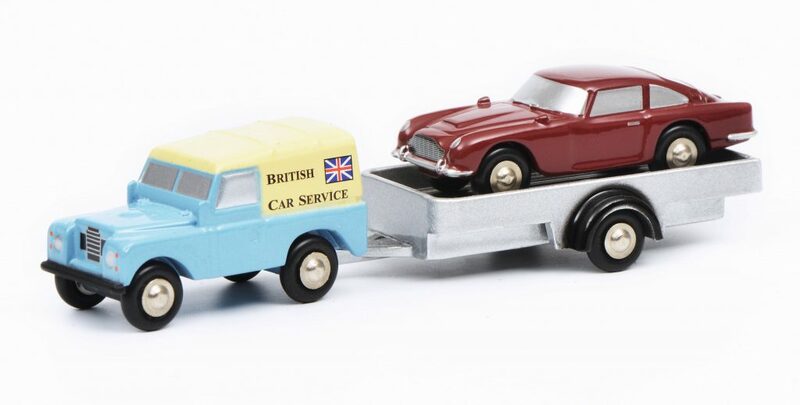 Well, Atlas subscribers have had letters informing them that the Atlas Dinky Deluxe Collection, which has been run in the UK, is now being terminated. 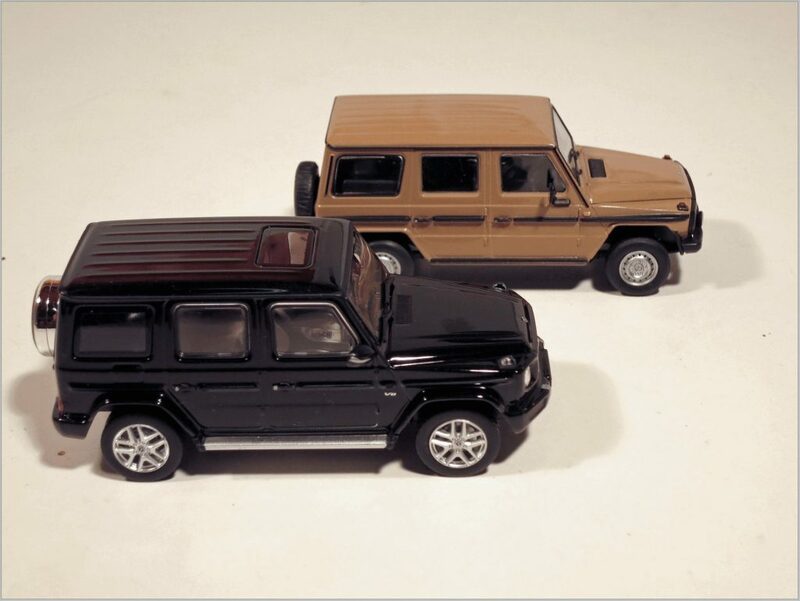 In the meantime there are two more models that I have not reviewed, and here is the first of them. 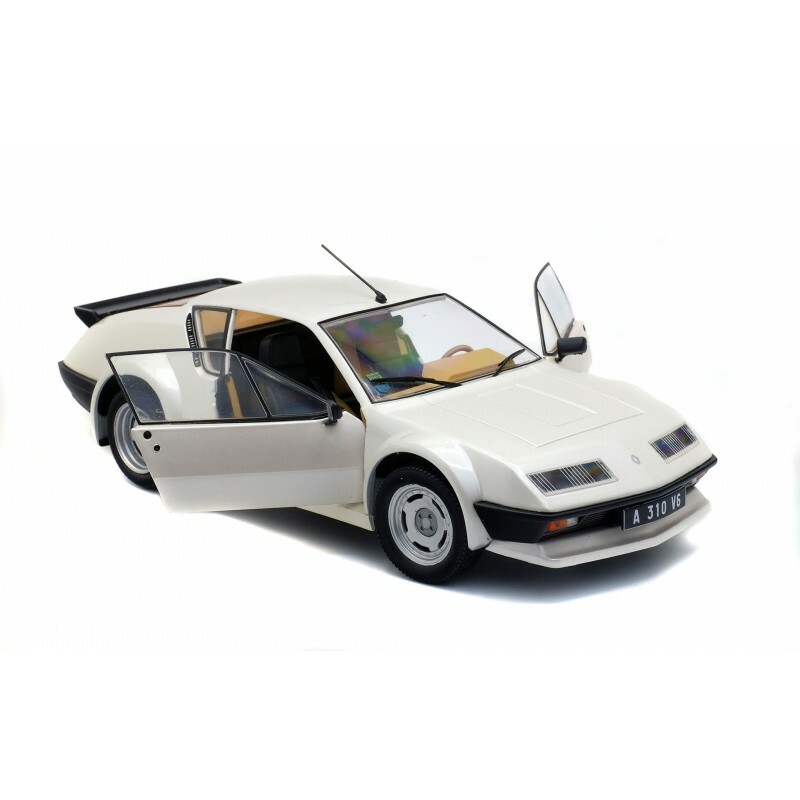 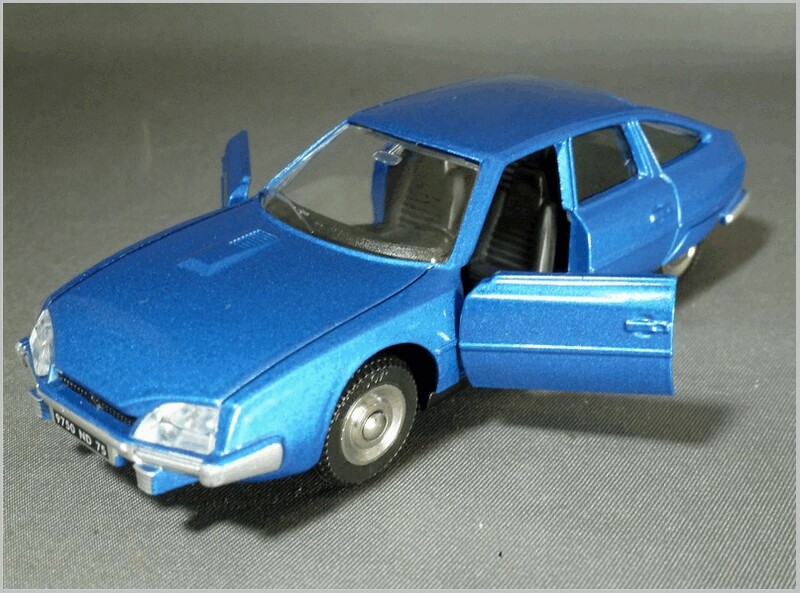 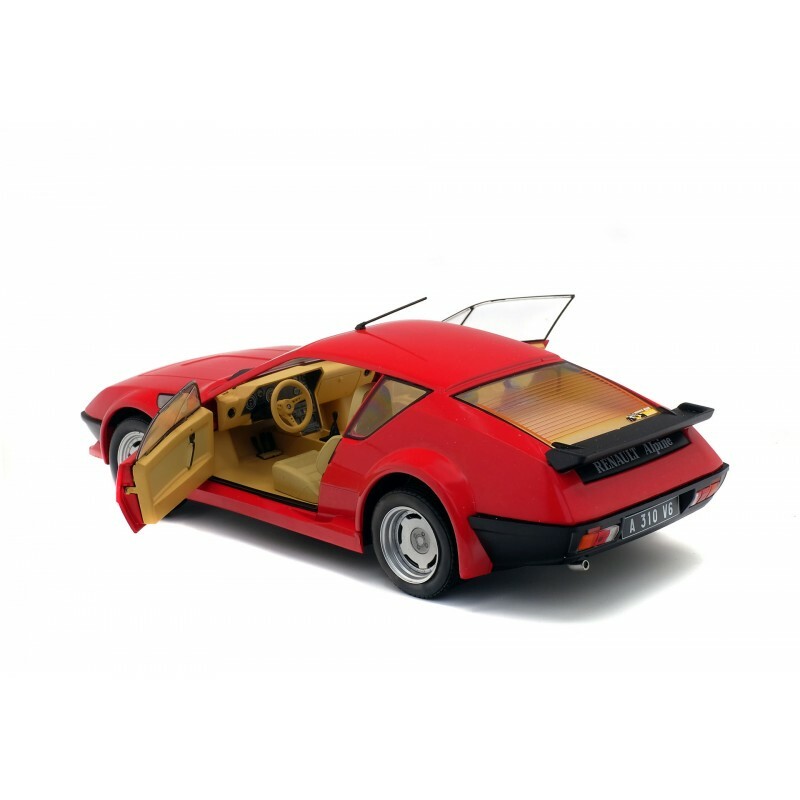 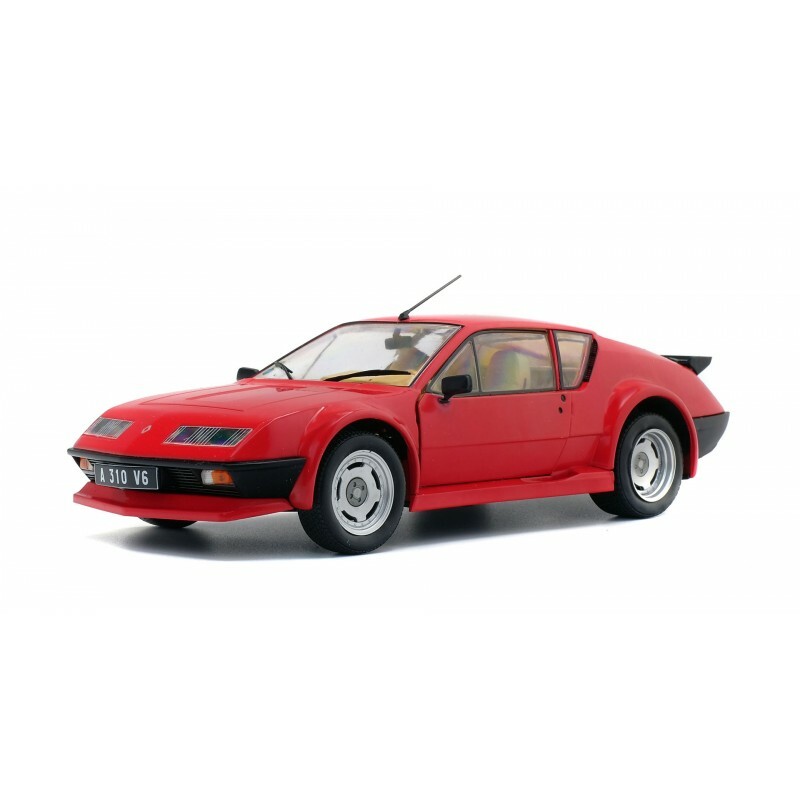 The penultimate model in the collection is 011455 Citroën CX Pallas which was made in Spain by Pilen for French Dinky. 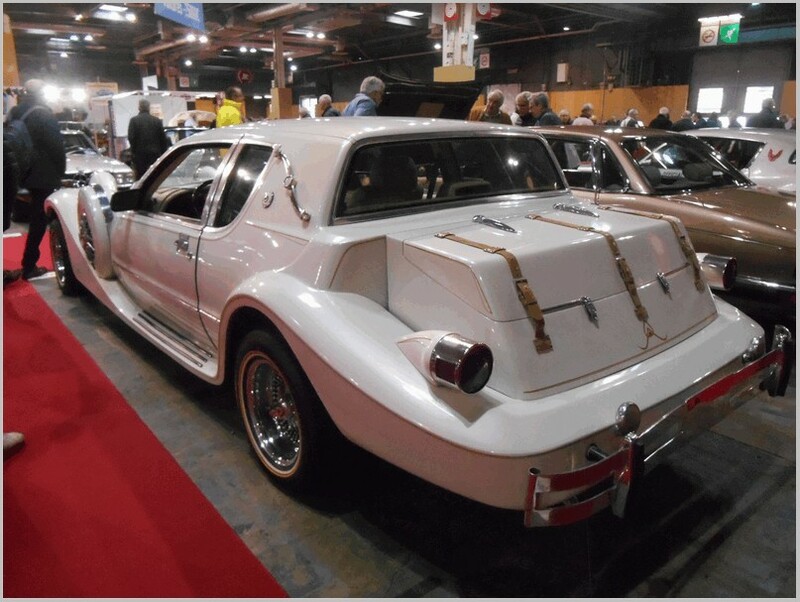 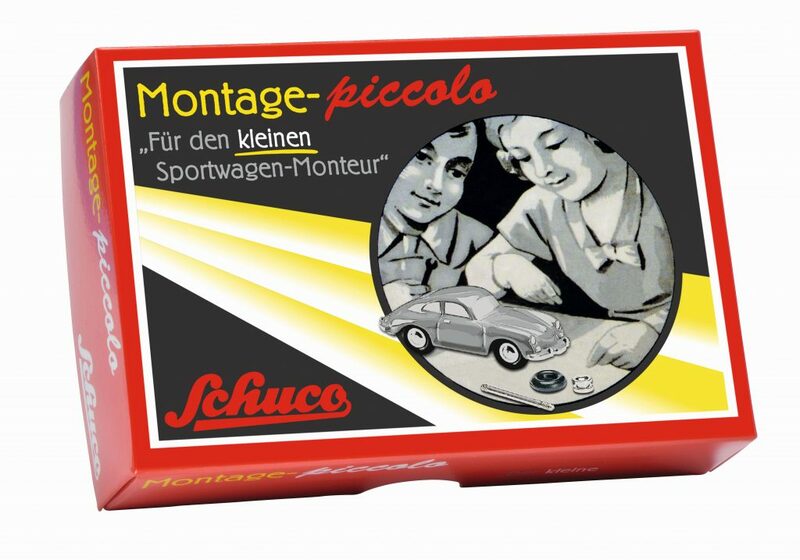 Like all late models the box lacks the illustrations seen in the Sixties and the drawing is unattributed. 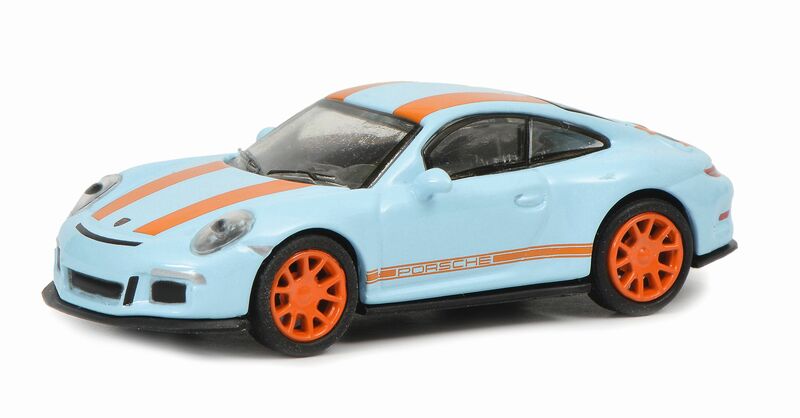 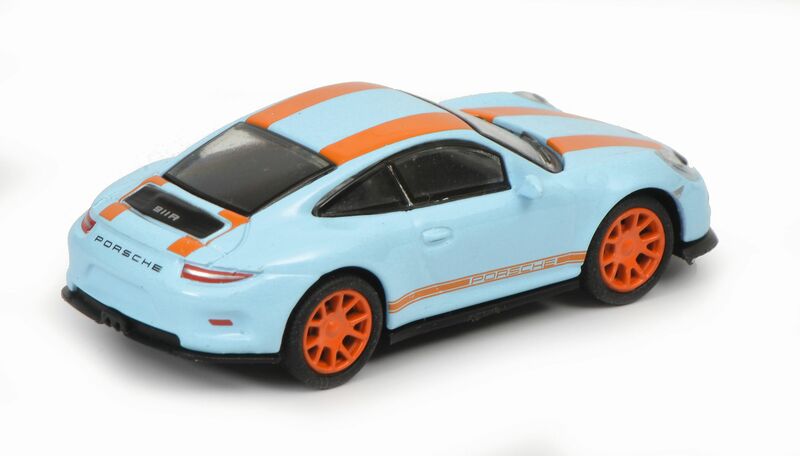 The colour of the car on the box matches the only colour that this model was made in. 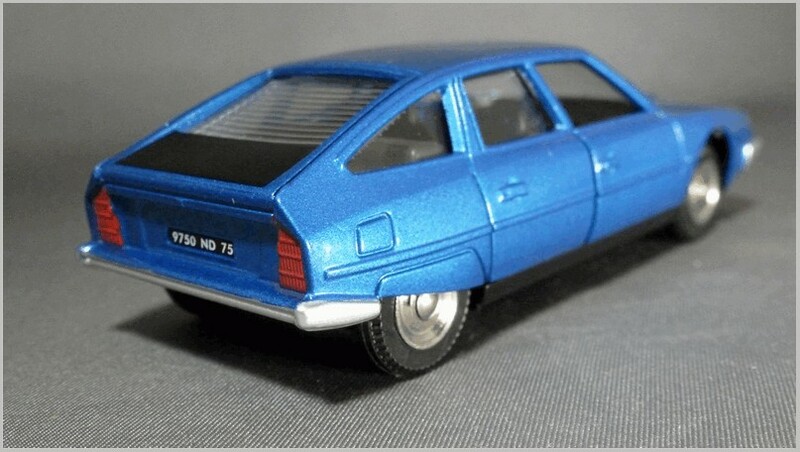 Sources do not agree on the date that it went on sale with 1/77 being engraved into the mould and Atlas saying it was sold from 1977 whilst all the other sources I have say It was first sold in 1978. 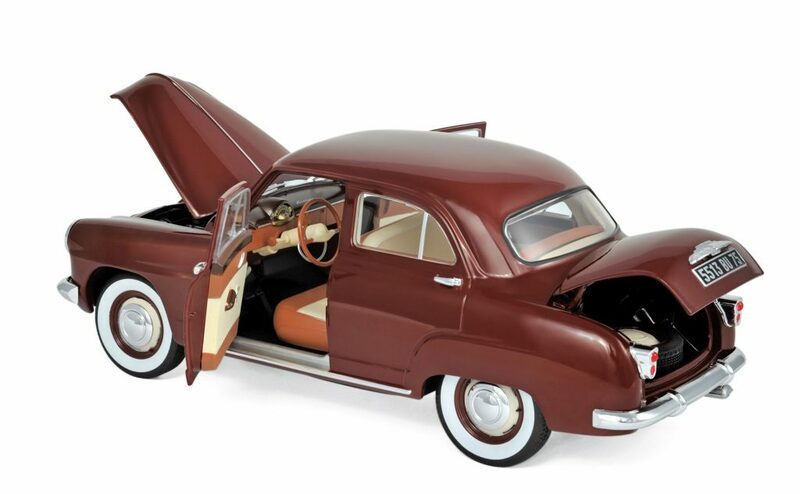 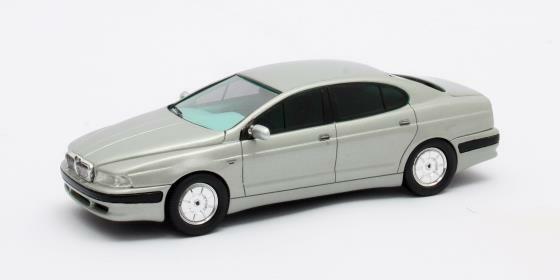 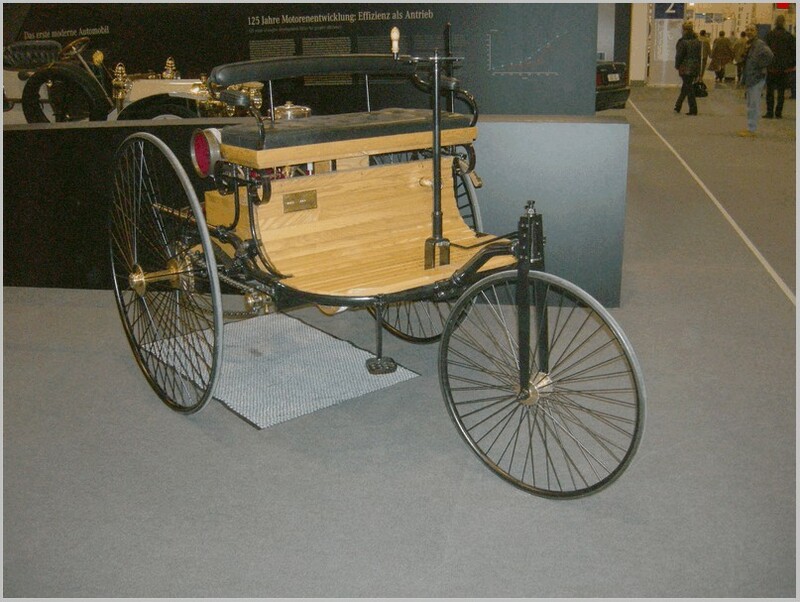 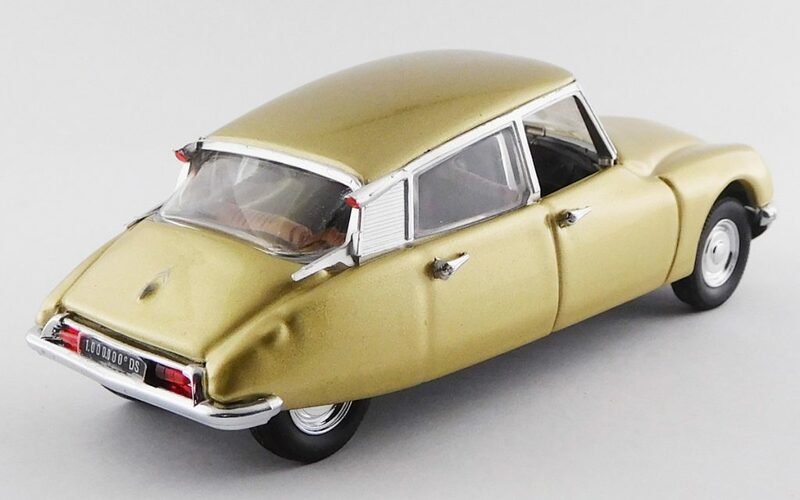 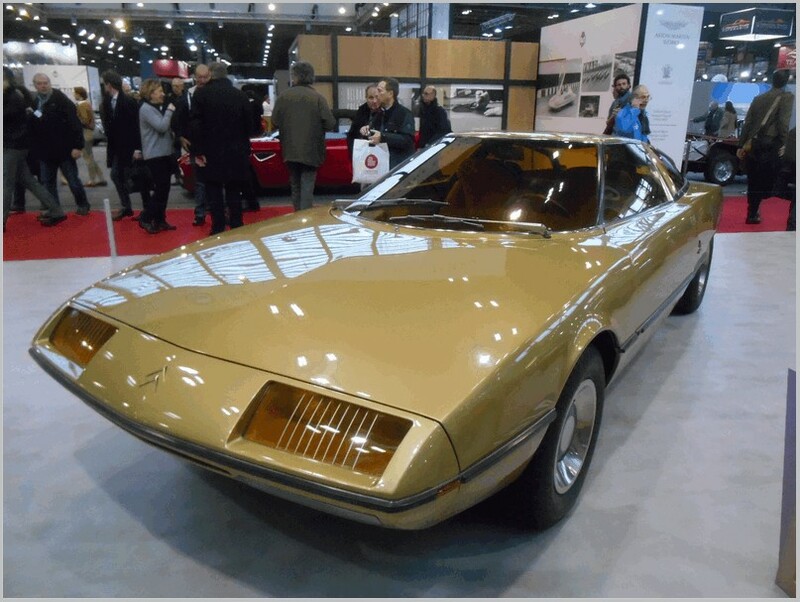 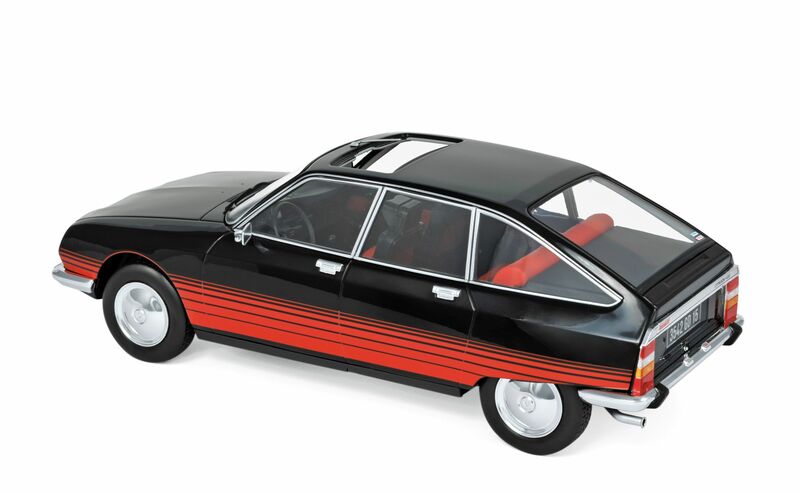 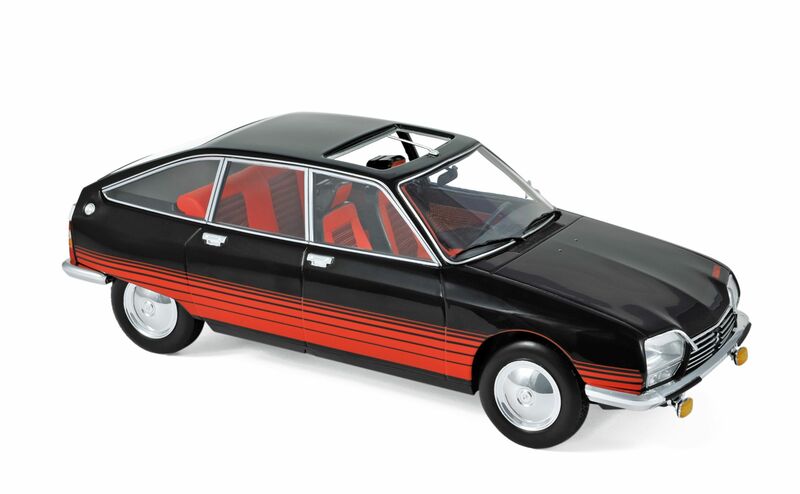 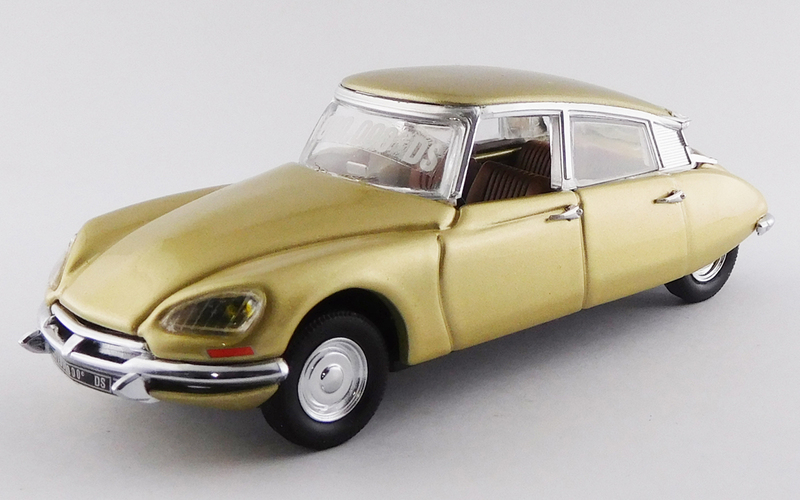 The model was also sold as a Auto Pilen model in their typical plastic box and it has been seen in a metallic bronze finish with Pilen style cast wheels which are not accurate for a Citroën. 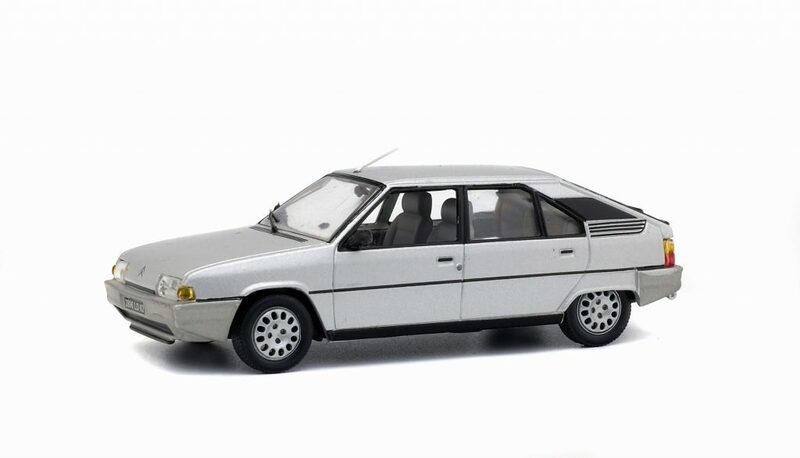 The CX was launched to replace the long running DS and ran from 1974 to 1991 and was replaced by the XM. 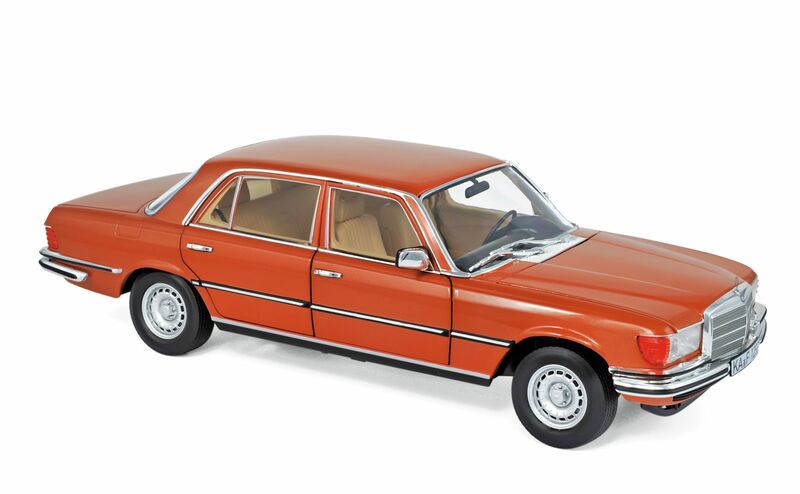 It was European Car of the Year in 1975. 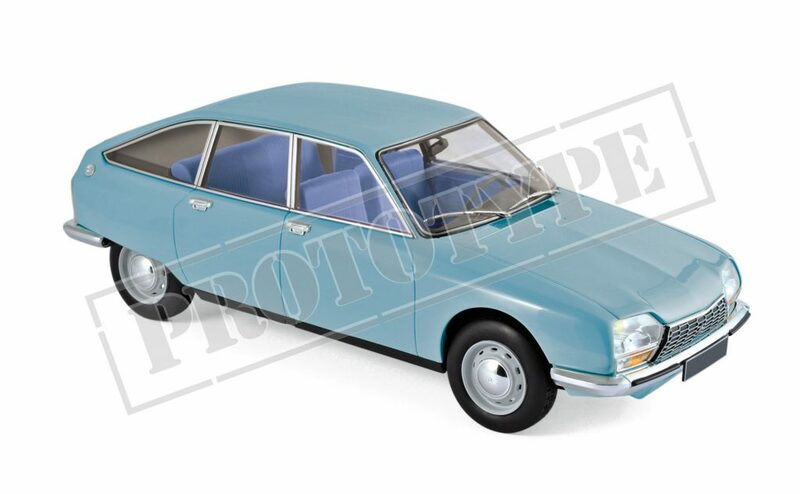 For the first time a large front wheel drive Citroën had the engine was mounted transversely which allowed for a shorter bonnet than the DS and even greater interior space. 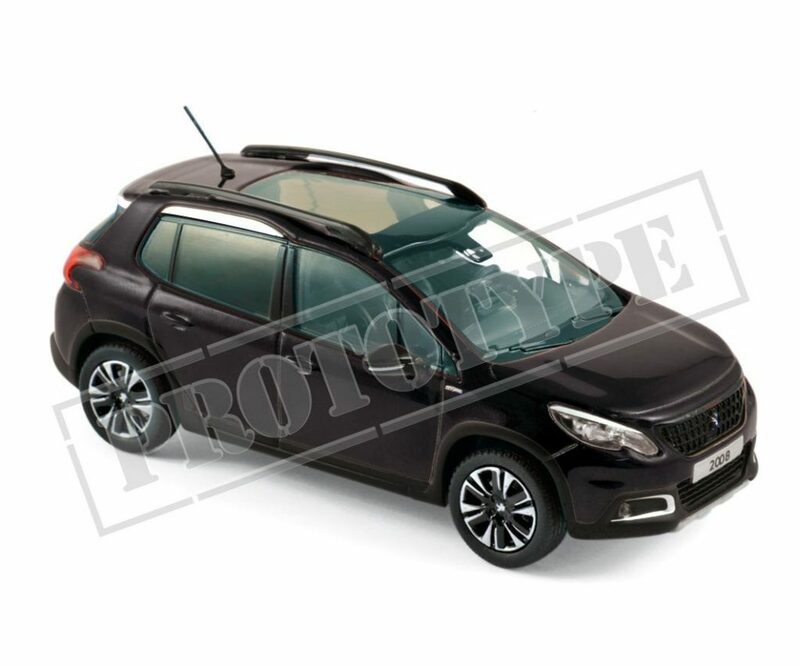 Although it looks like a hatchback it isn’t with a separate boot and fixed rear window. 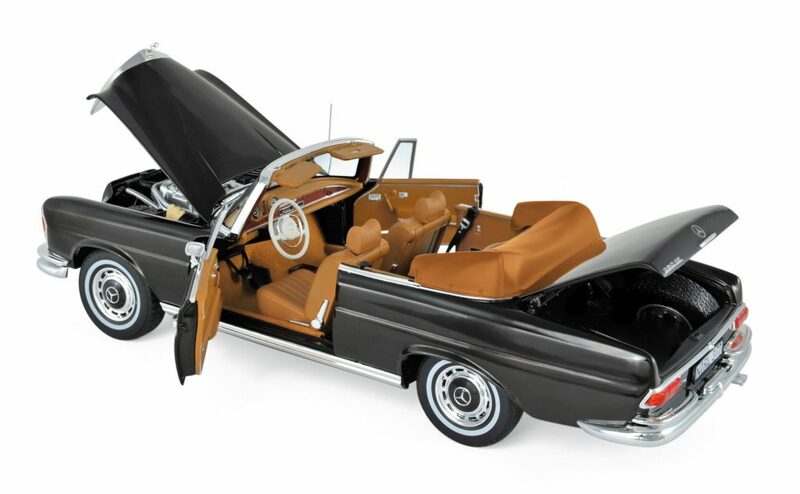 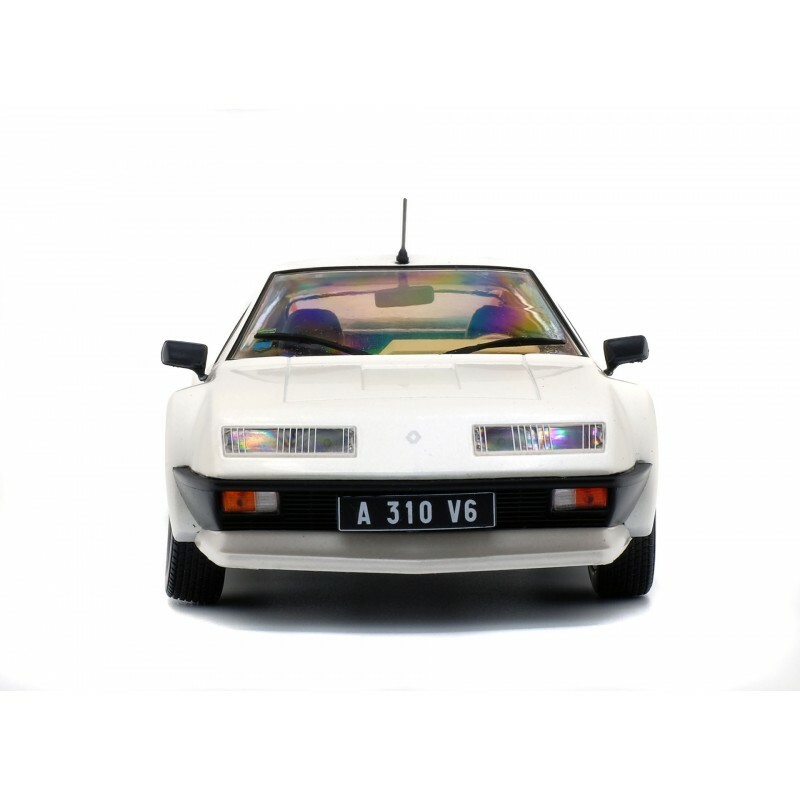 The Pallas name was inherited from the DS range and the Pallas model was a higher specification car with leather upholstery, trim embellishments, and more sound insulation. 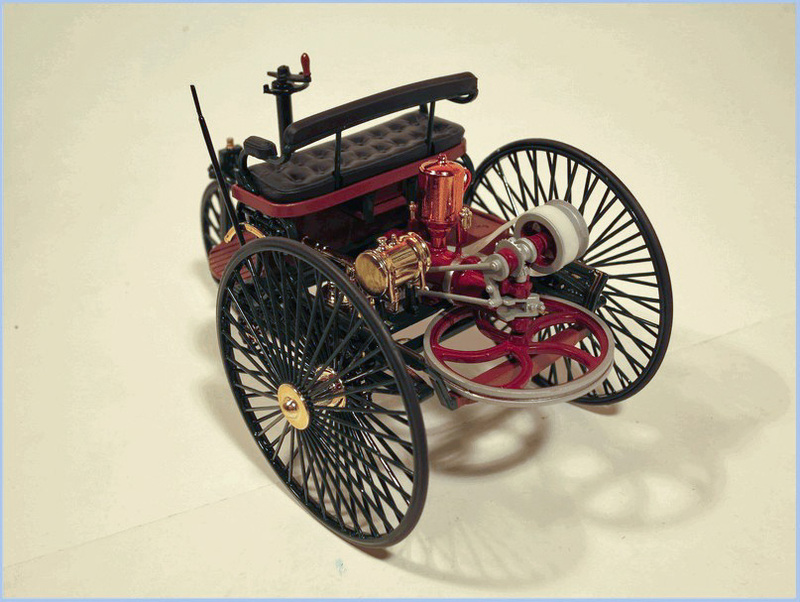 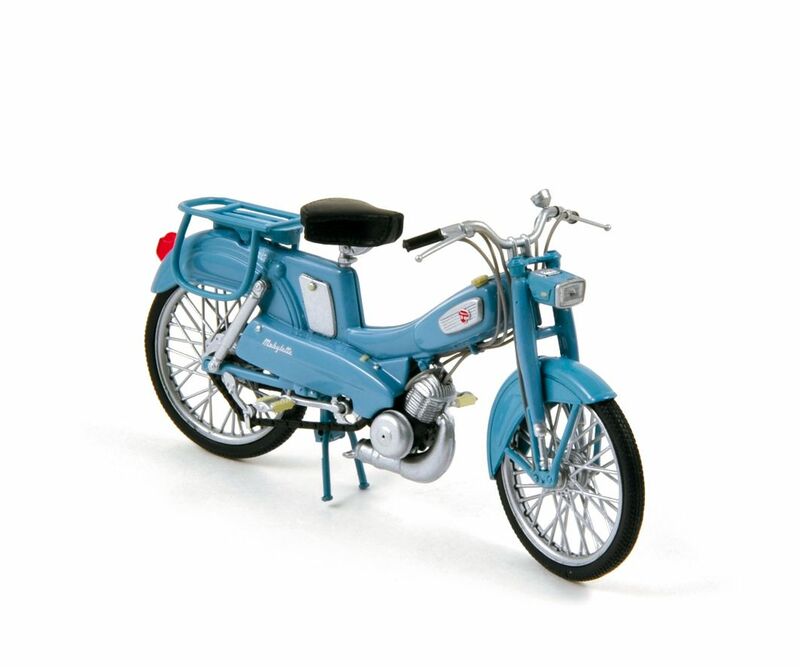 The Atlas model is to 1:43 scale and captures the original Pilen made model well. 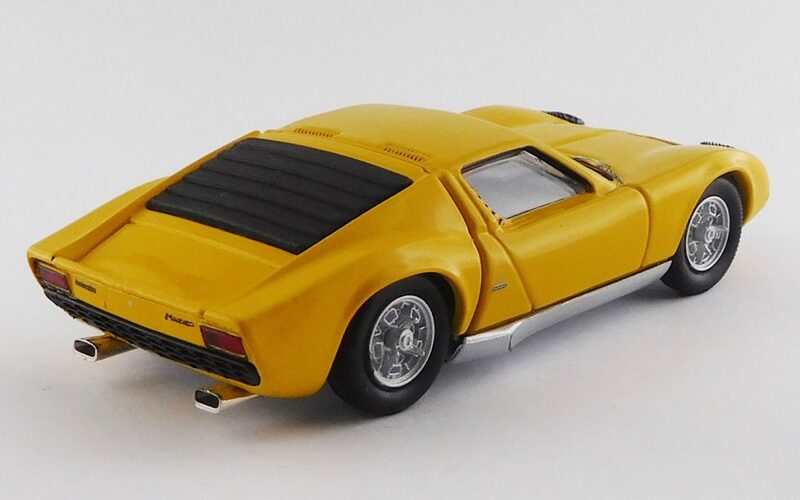 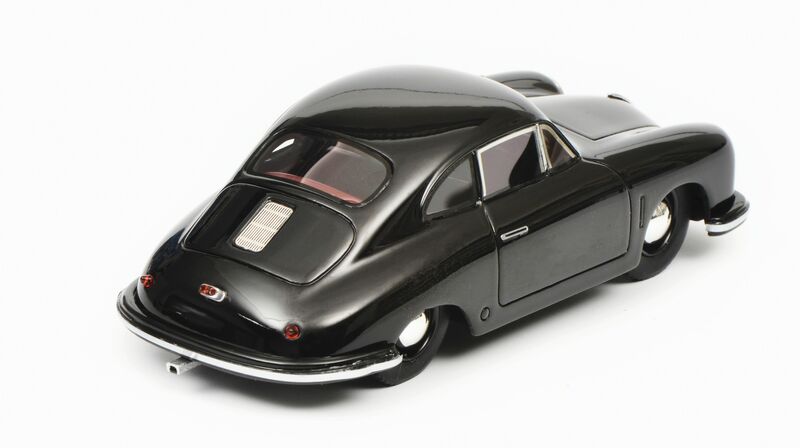 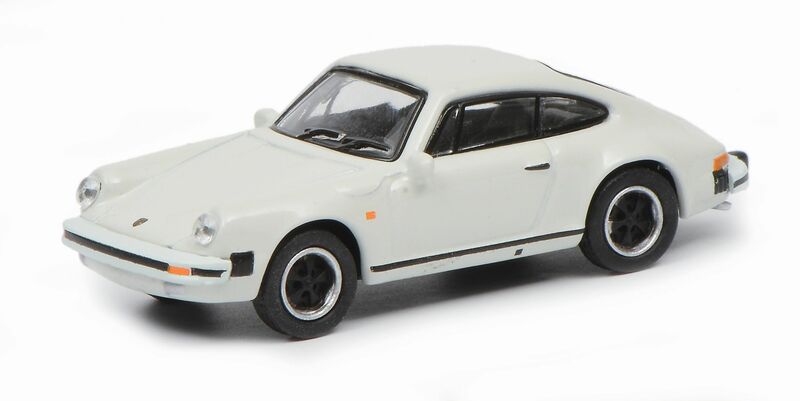 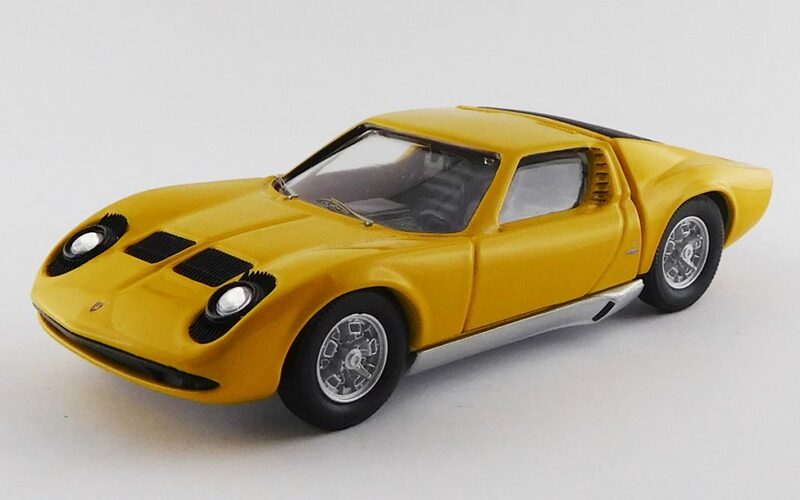 Pilen had caught the cars shape very well so this is a nice model as well as toy The base is diecast and painted black and curves up to meet the body part giving the effect of the black sills on the original car. 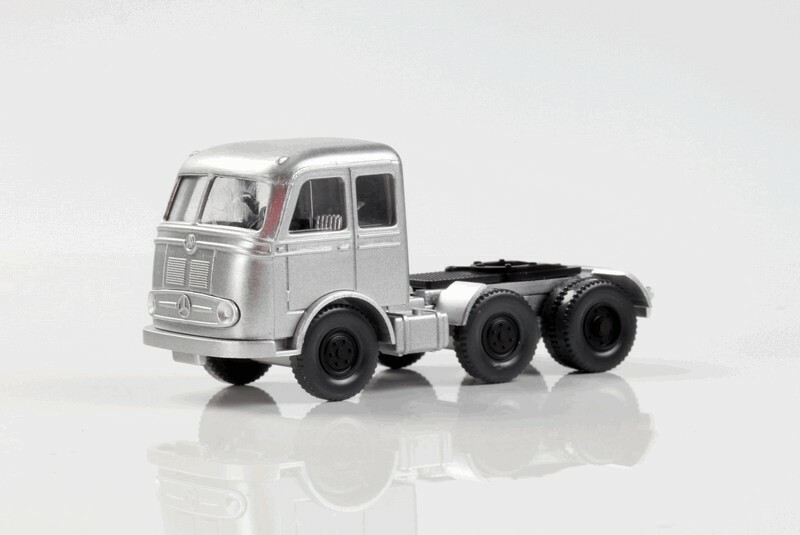 This diecast base also makes the model heavy for its size. 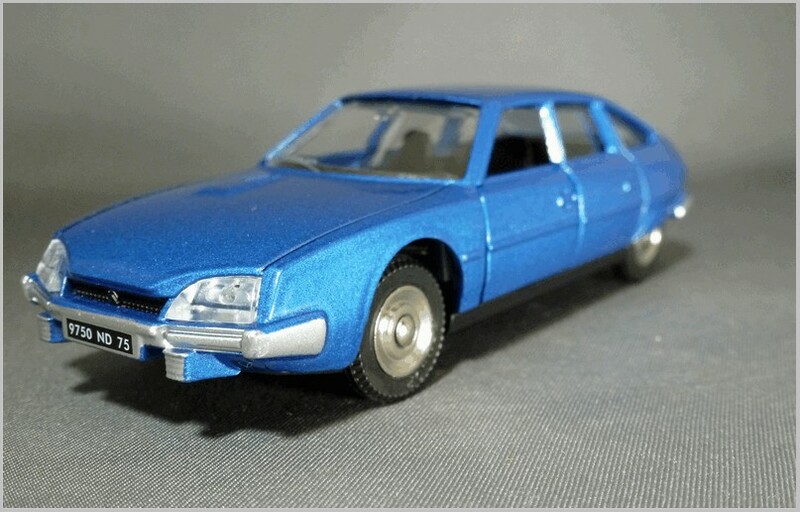 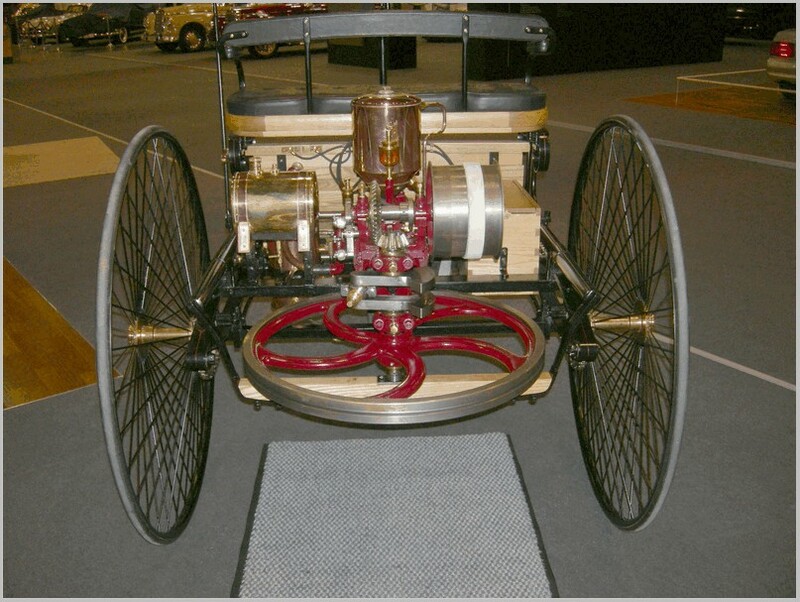 The car also shows the typical parked Citroën stance with the car sitting low on the hydraulic suspension that then lifts as the car starts. 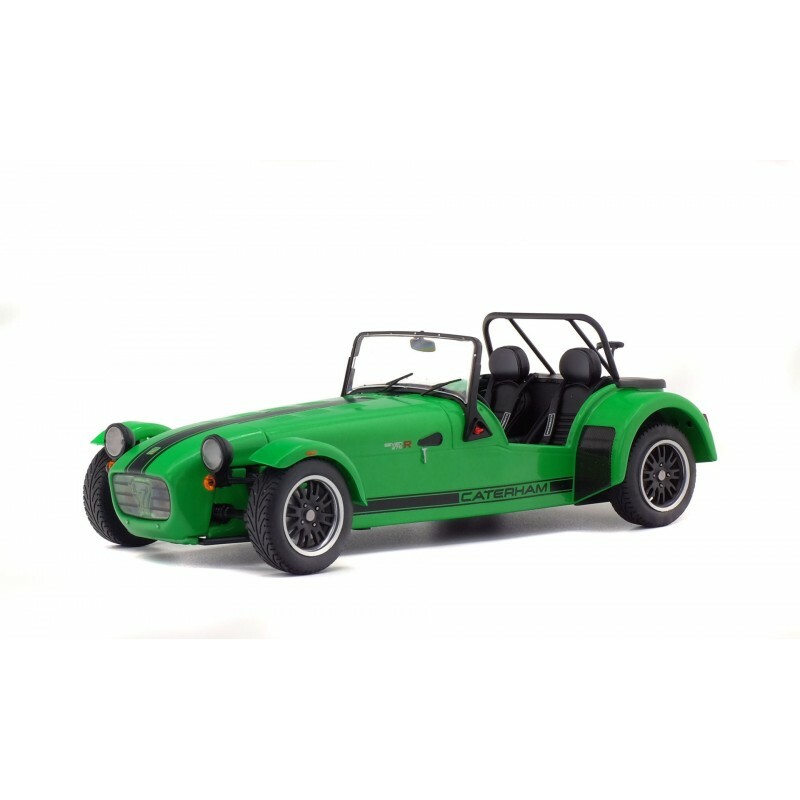 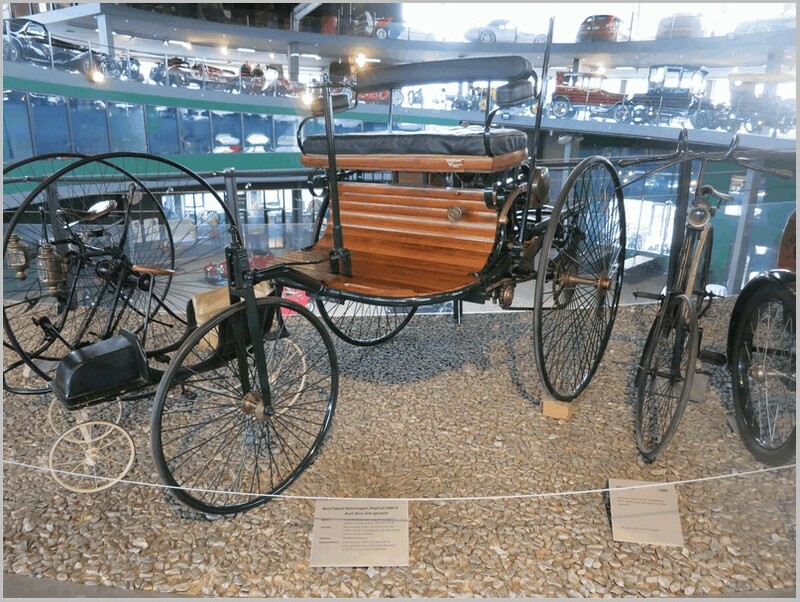 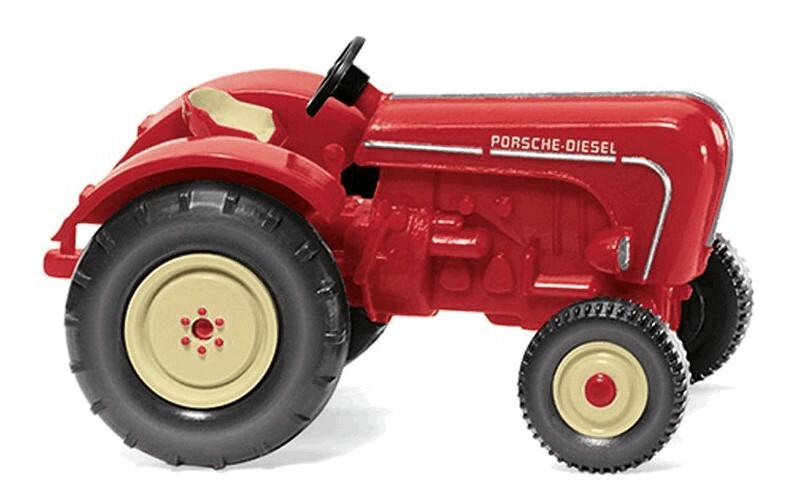 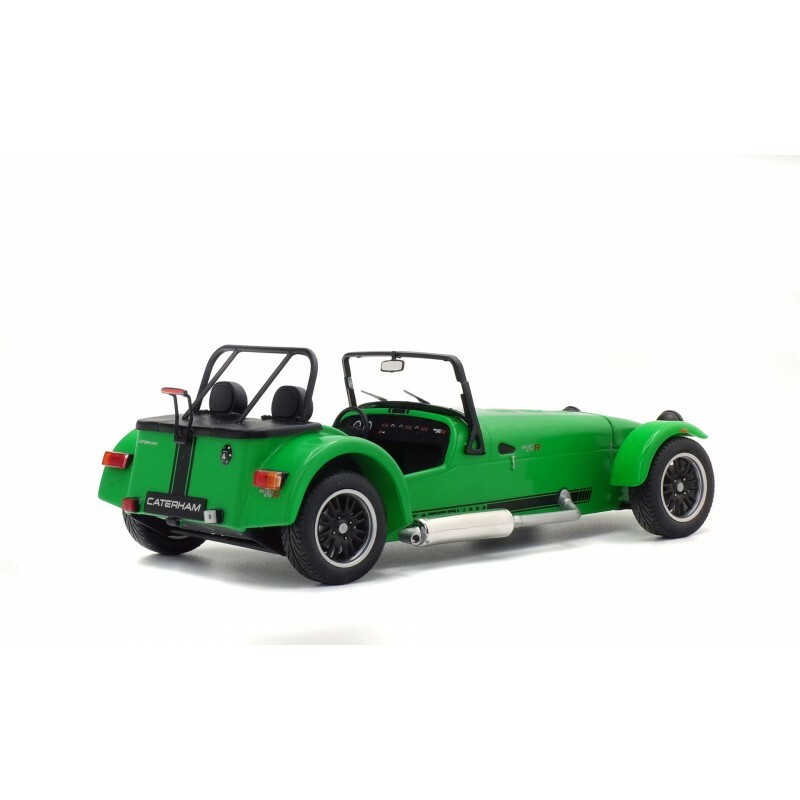 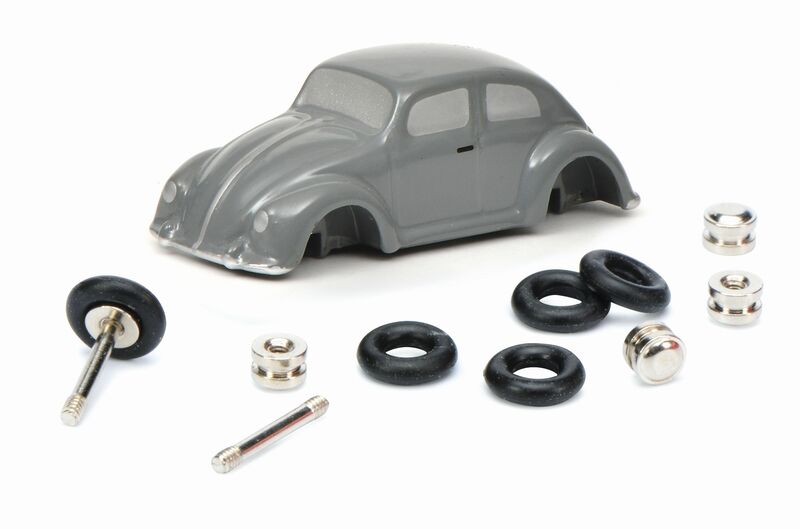 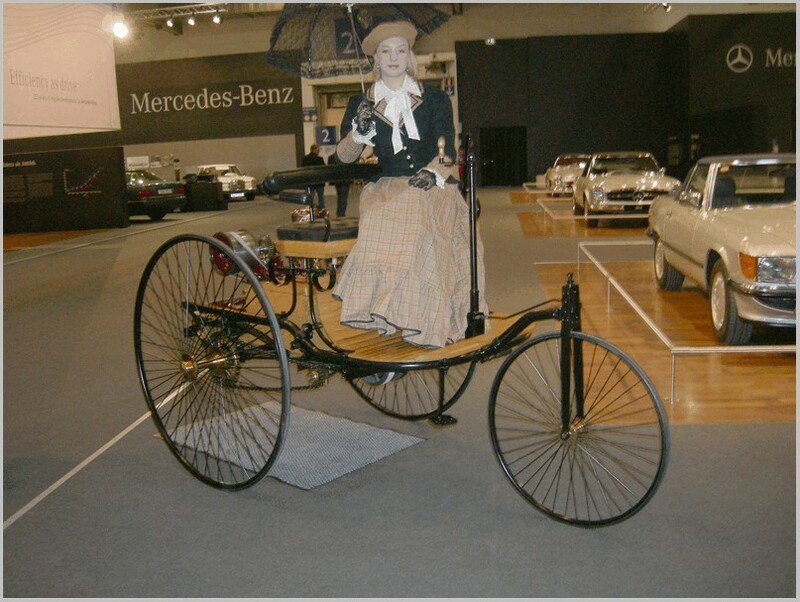 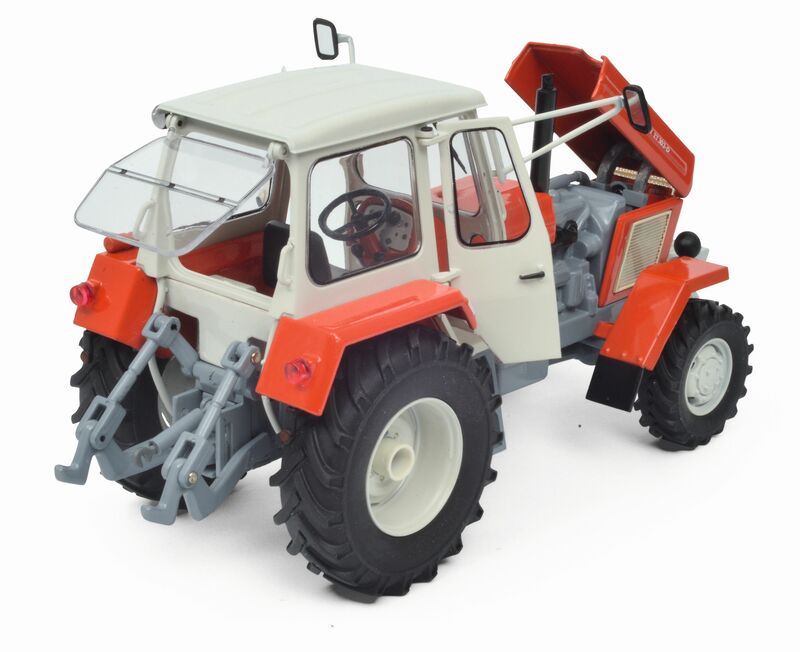 Sadly this model was developed in the era of heavy cost-cutting as there is no suspension or turning wheels fitted, and the opening parts are restricted to the front doors. 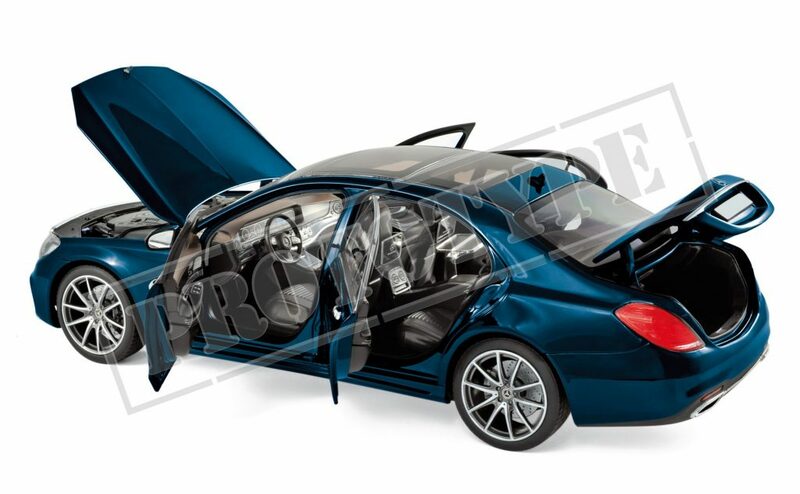 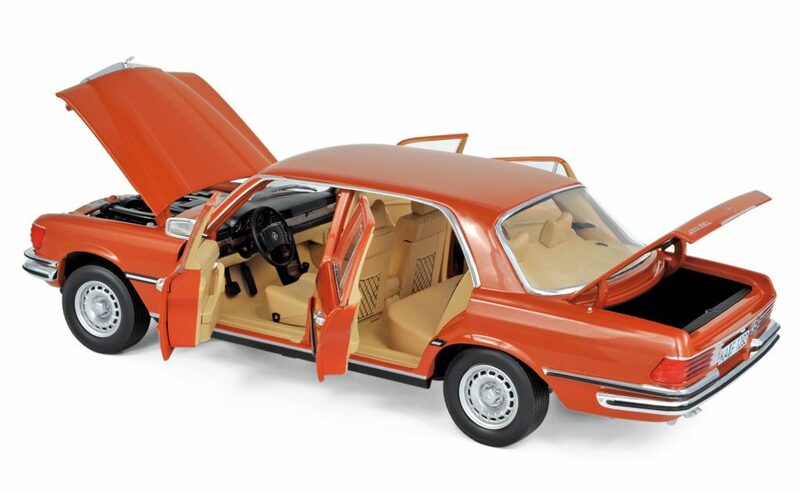 As can be seen the opening doors have no window frames or glazing fitted, nor any plastic door cards. The door retaining spring is also a weak one and I have been told of one model’s door falling off as it was taken from the box. 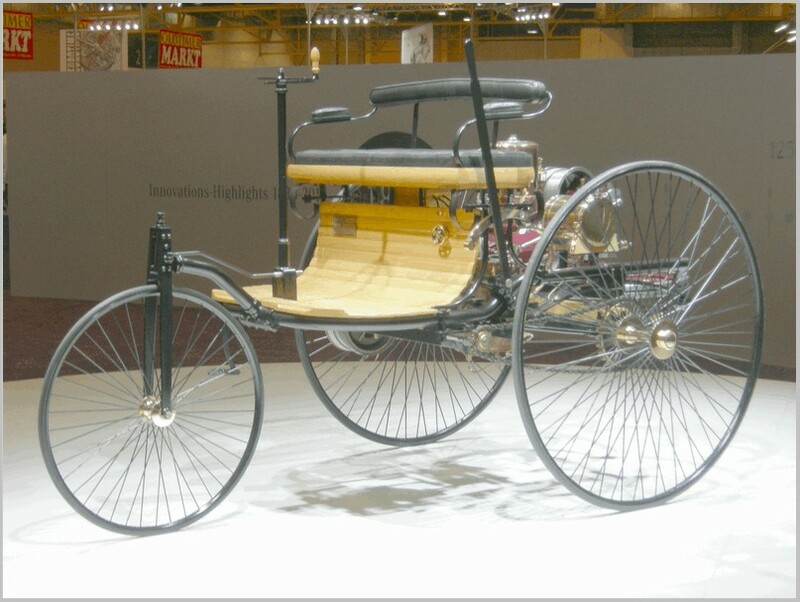 I have no idea if the originals were similarly marred by poor springs. 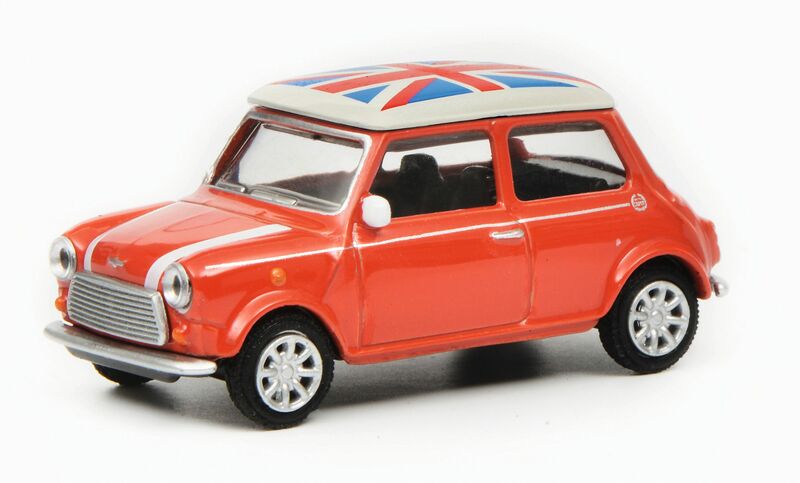 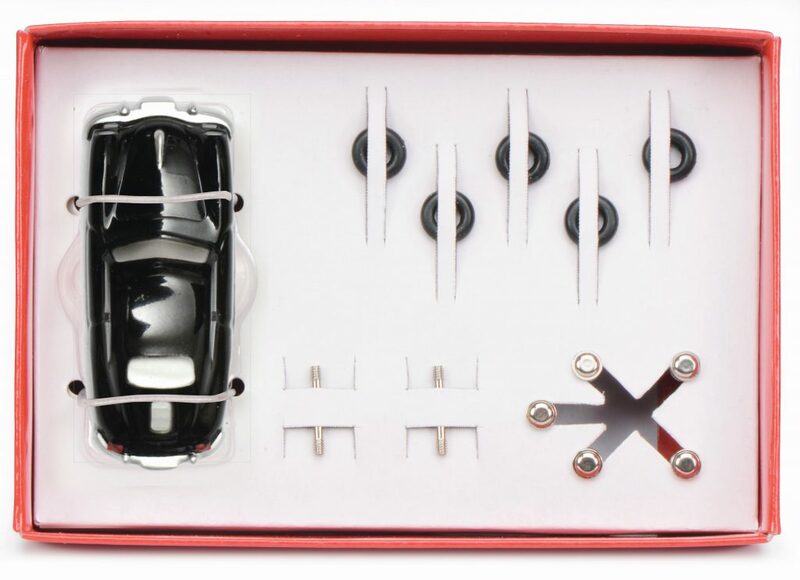 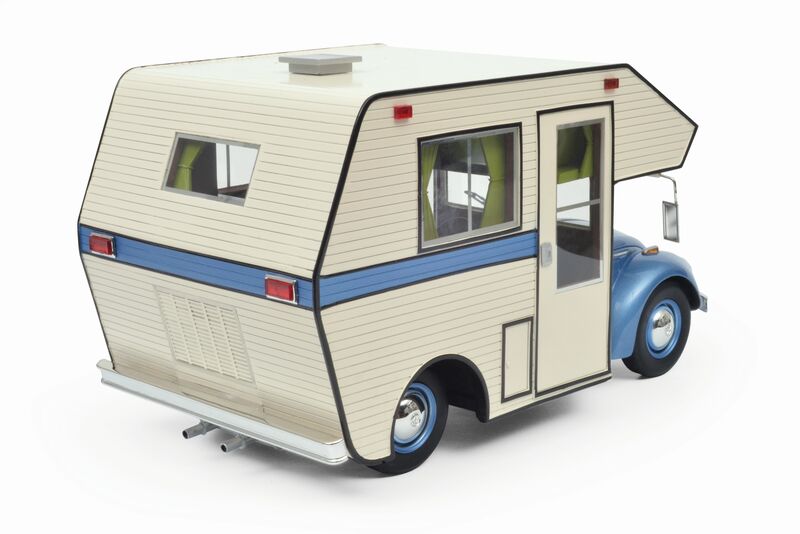 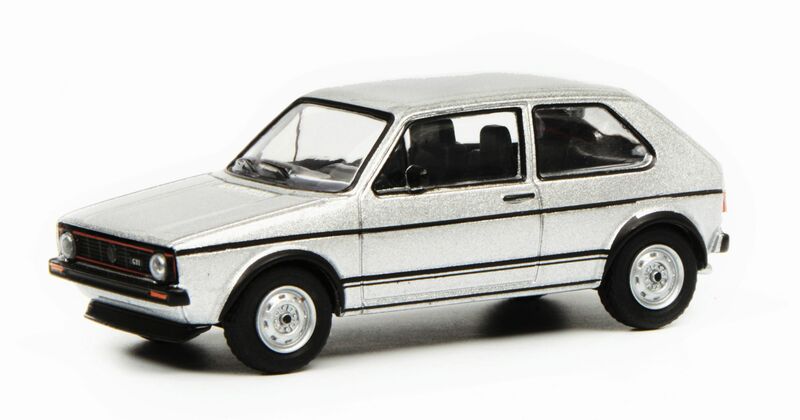 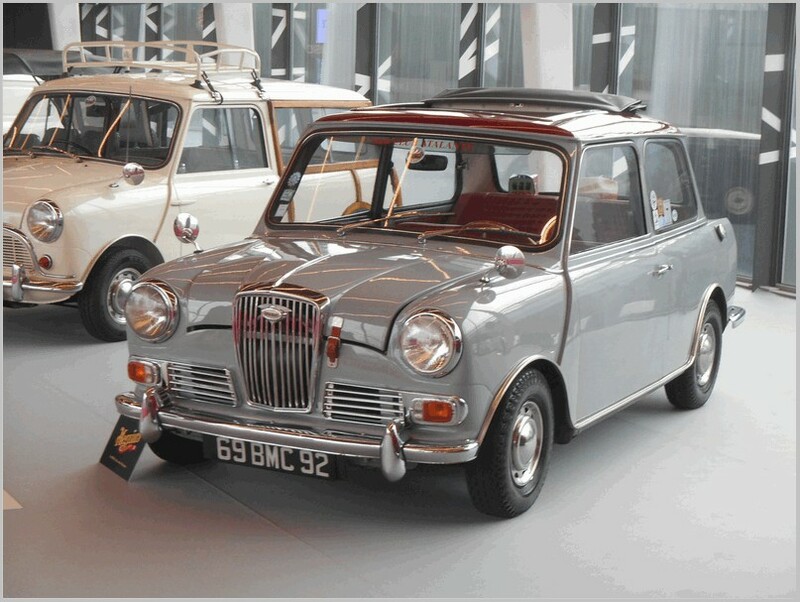 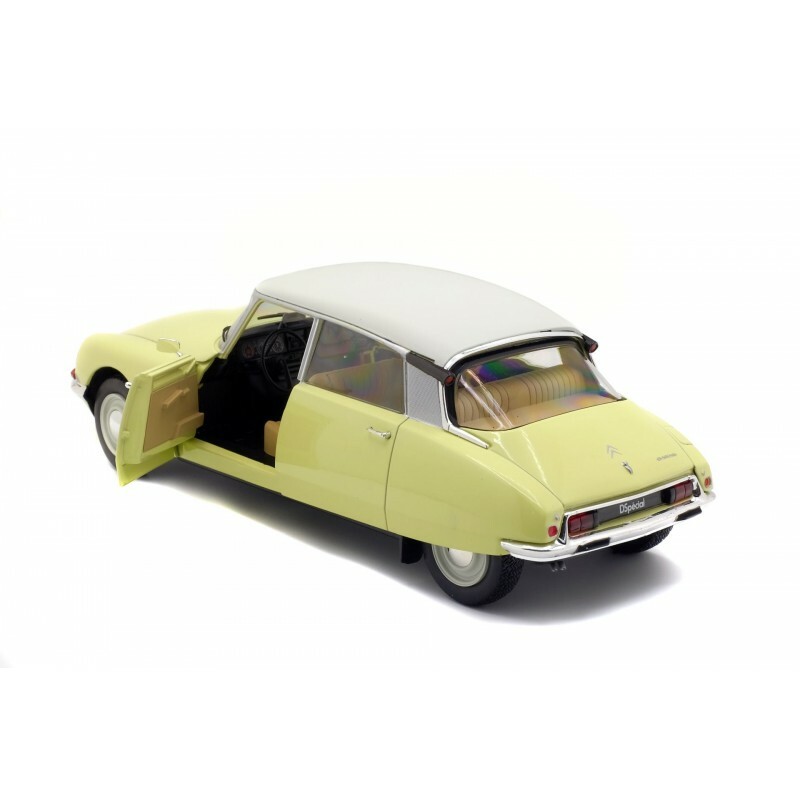 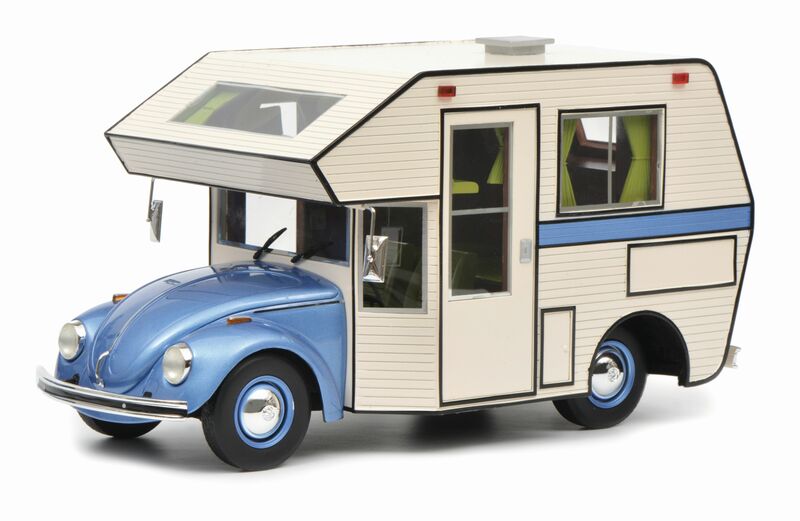 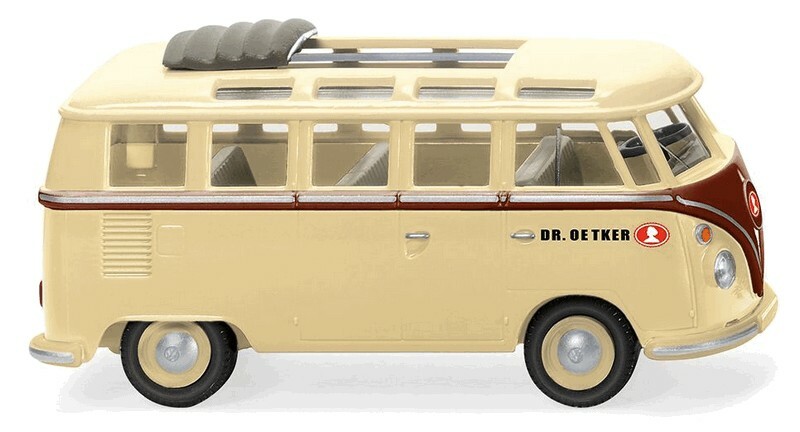 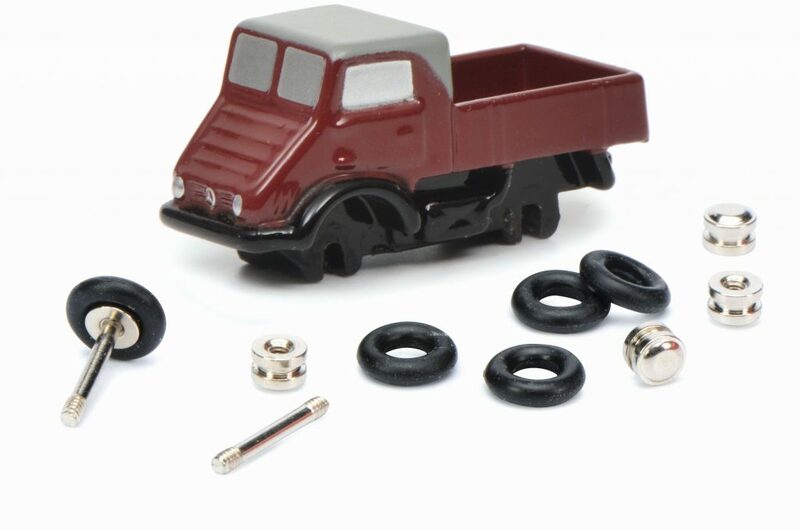 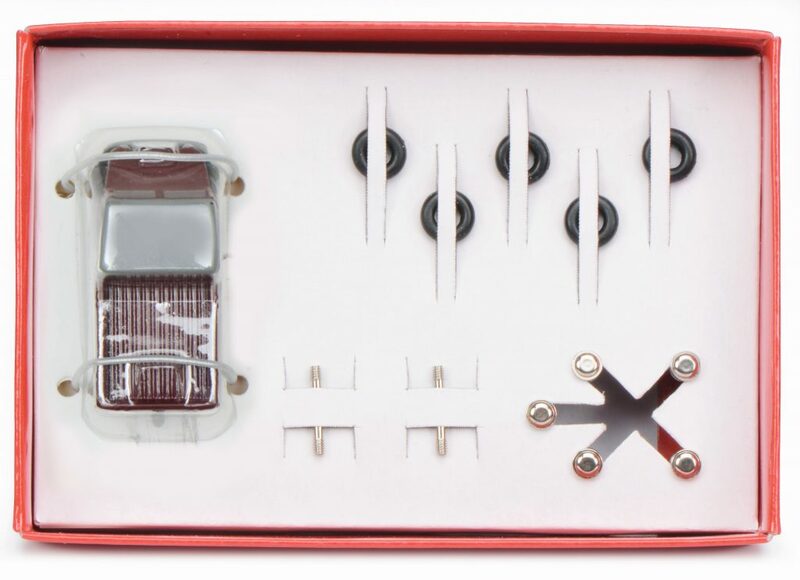 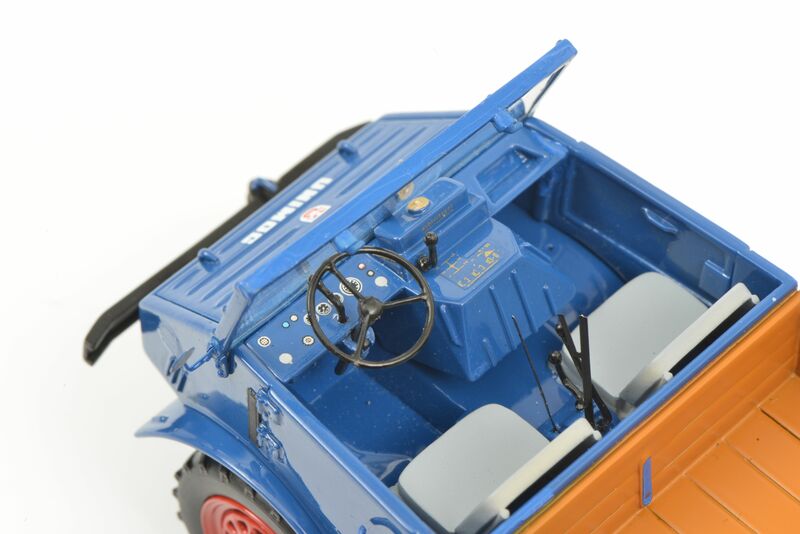 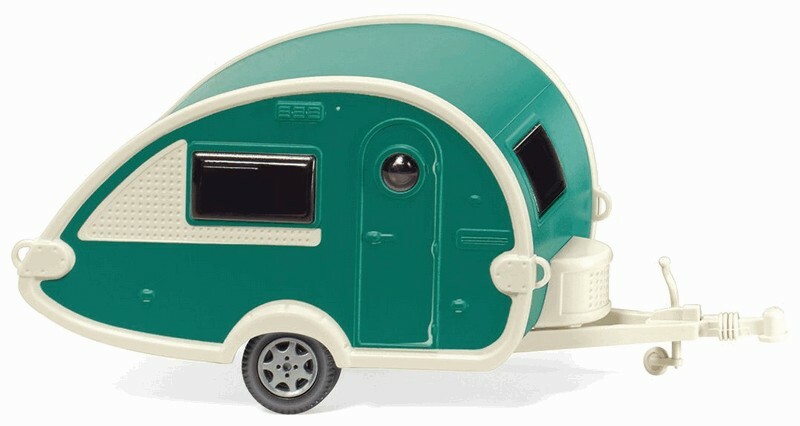 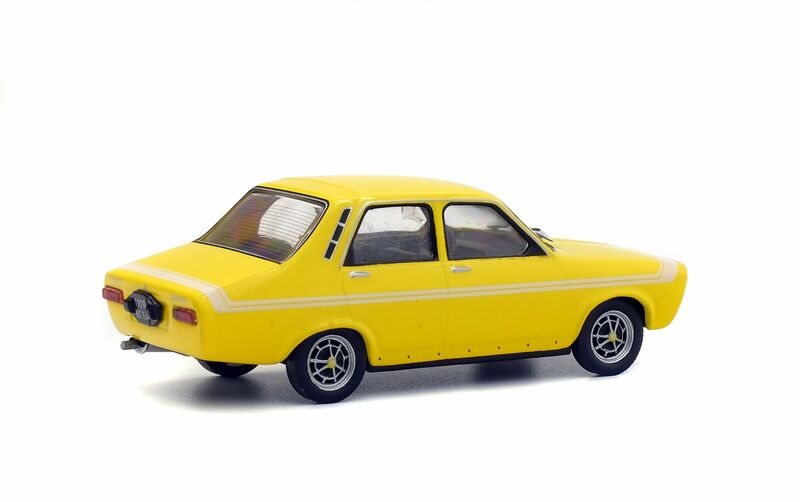 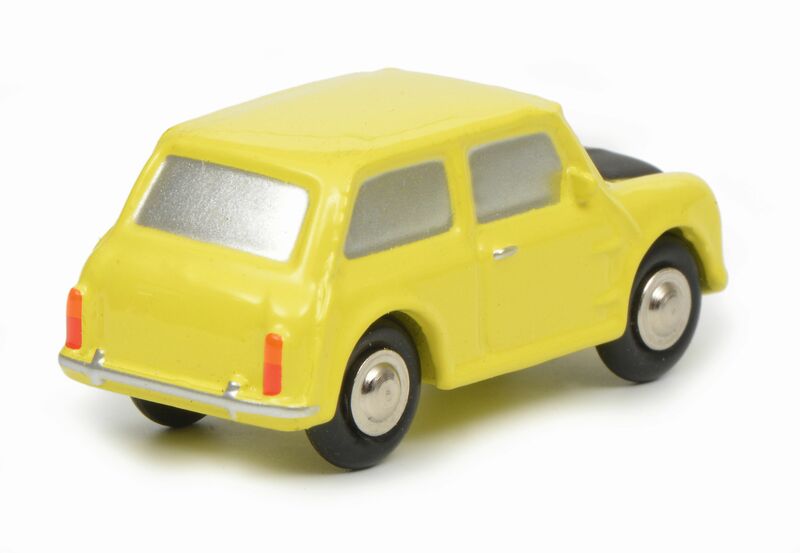 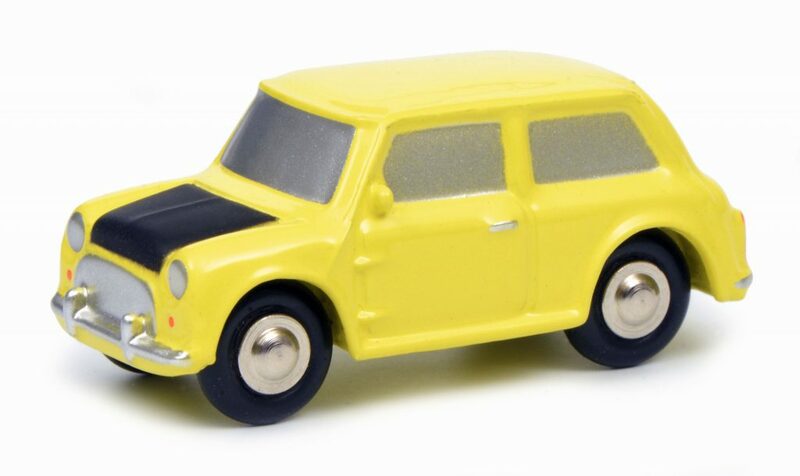 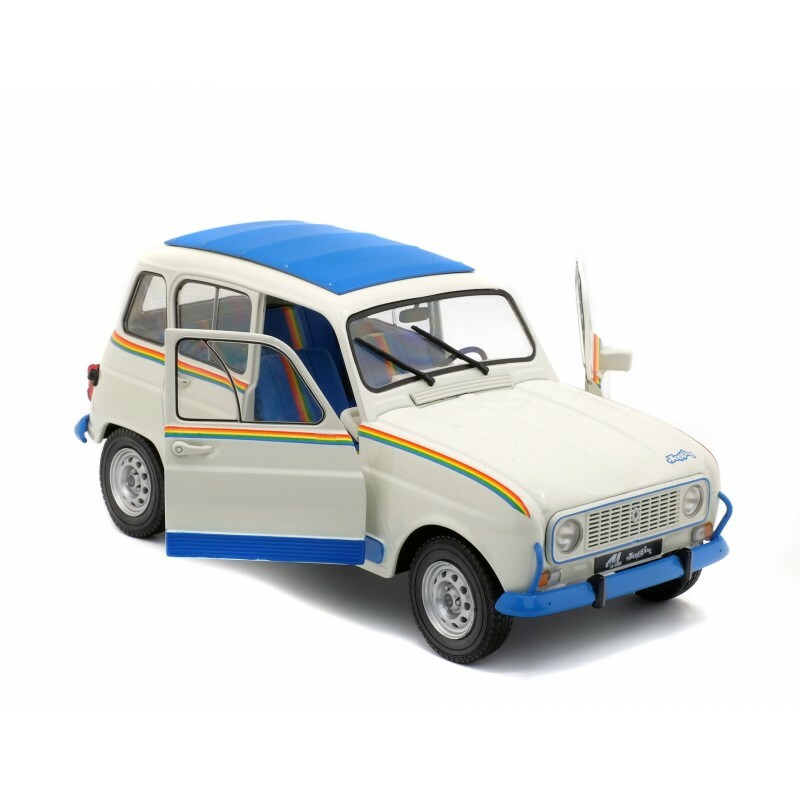 The model shows signs of 1970s cost cutting as Dinky had provided suspension and turning wheels, full frame doors all opening, sliding windows in the doors, bonnets and boots opening, separate parts for lights and grilles, and interior details on some of their mid-Sixties models. 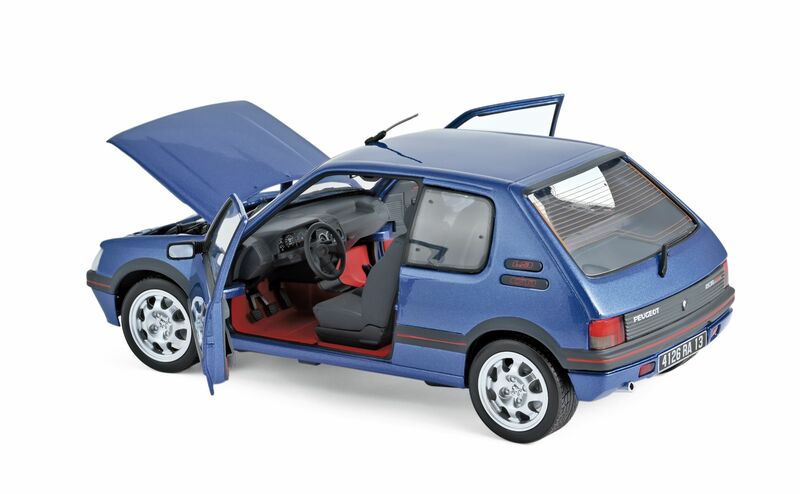 Two half opening doors and inserted lights front and back is a lot fewer features than children had come to expect. 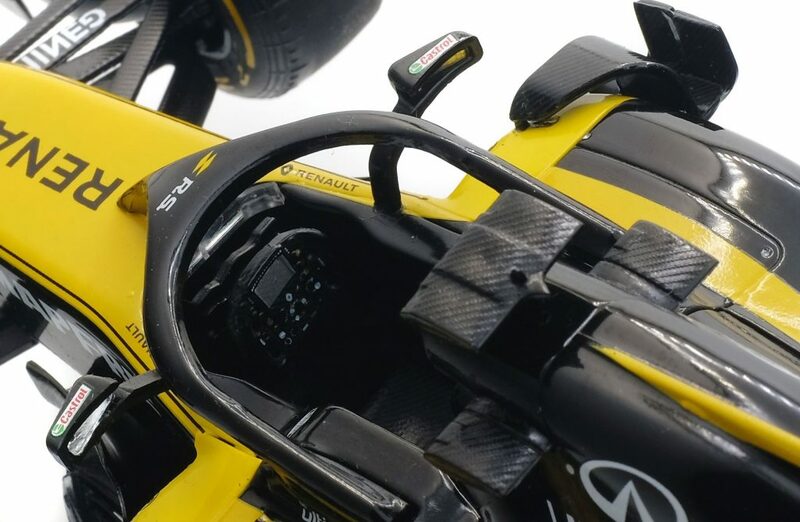 It should be noted that the front lights are clear rather than the yellow shown on the box. 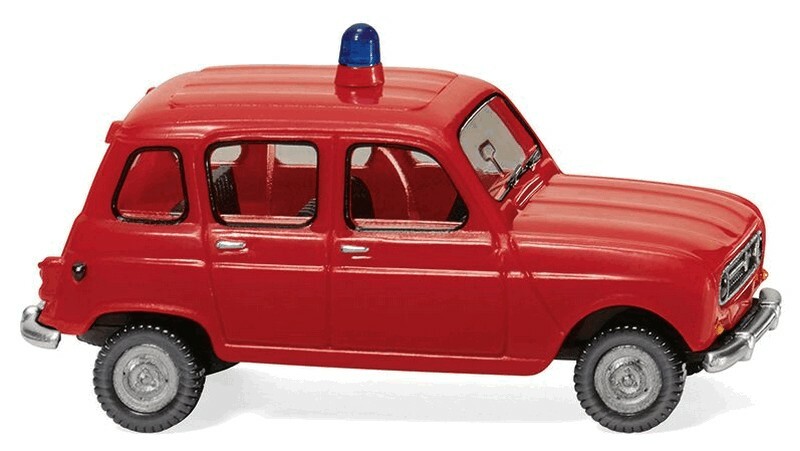 The number plate is a Parisian one which is appropriate. 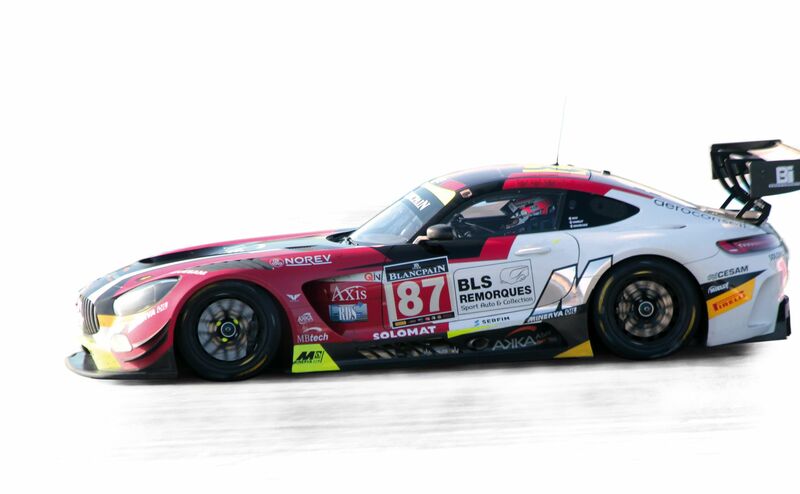 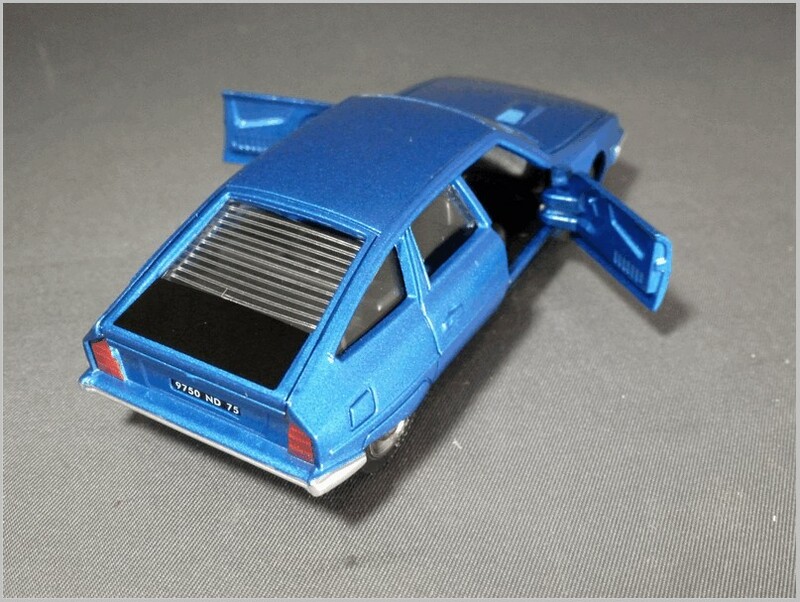 And the moulded intake on the bonnet is well captured. 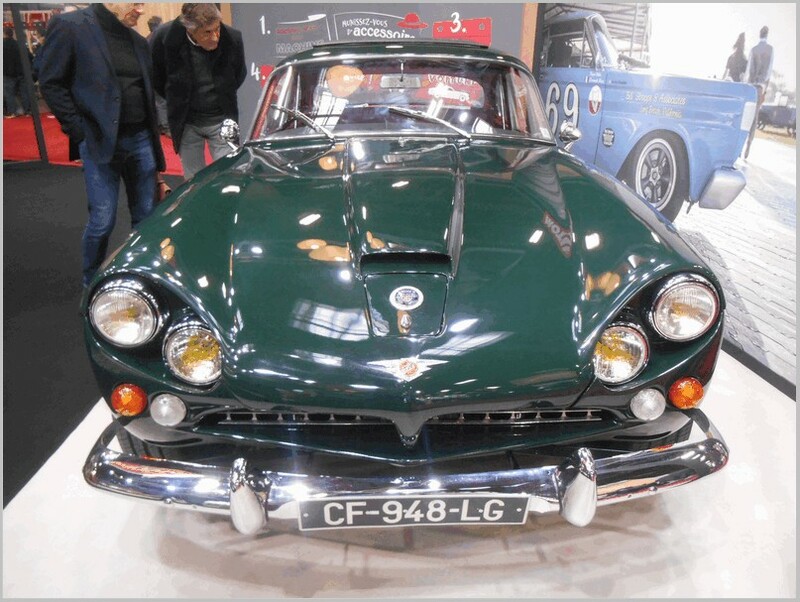 The bonnet itself has neatly moulded edges and almost looks as if it could open but sadly it doesn’t. 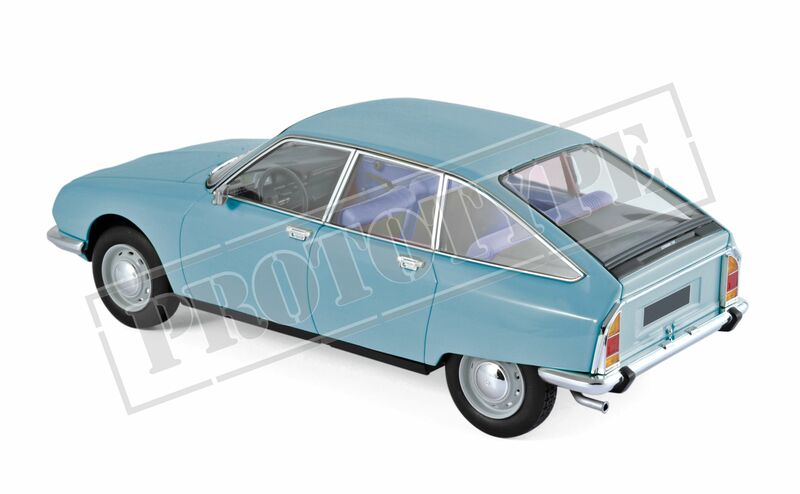 The glazing fits very well, front and rear, and incorporates a clear moulding of the large single wiper used by Citroën as well as rear blinds. 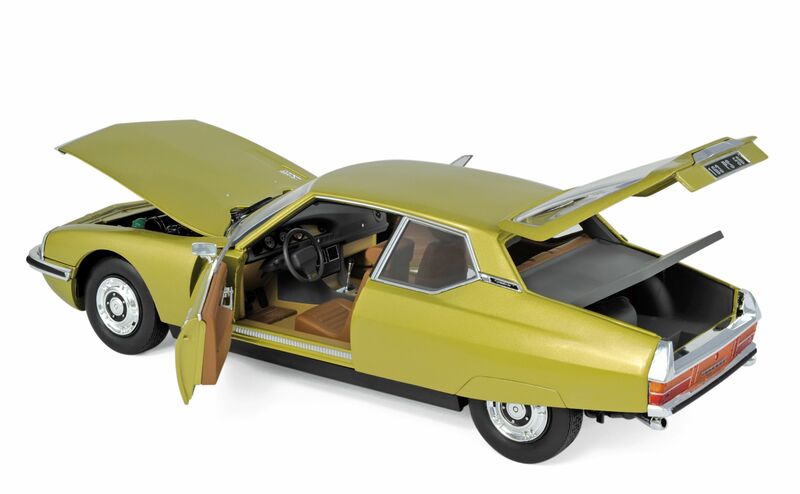 Inside the model has some limited dashboard features and good basic seats, though the steering wheel is utterly wrong as the car had the characteristic Citroën single spoke steering wheel. 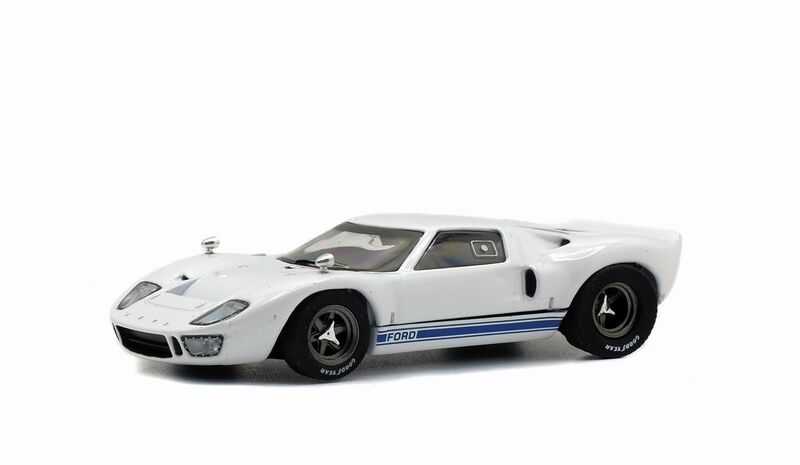 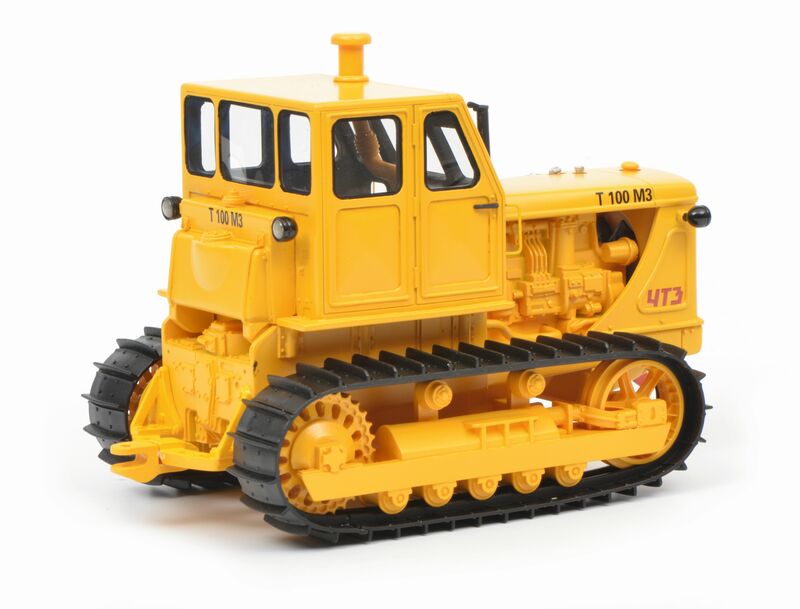 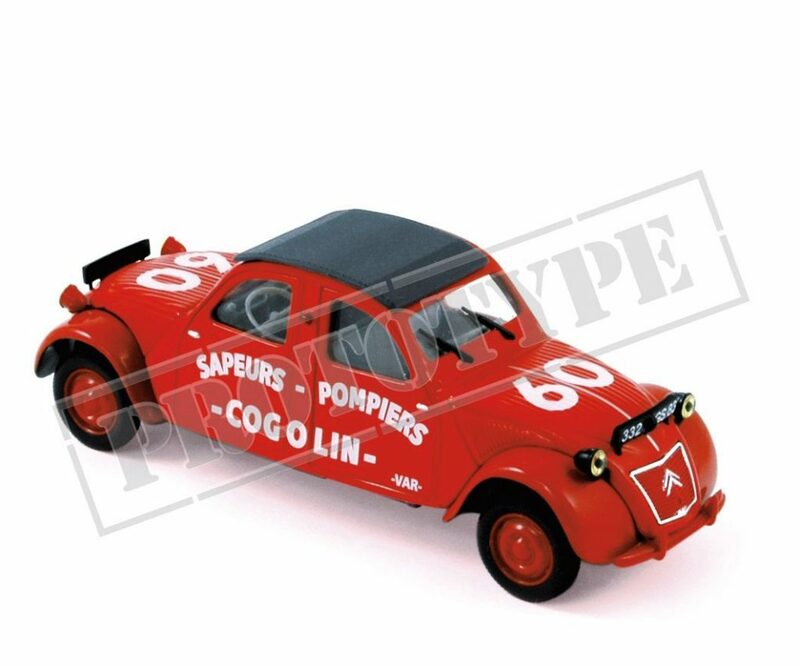 Many collectors will already have this model as it was readily available at a bargain price shipped directly from China some time ago and it is also currently available on the UK DeAgostini Model Space website. 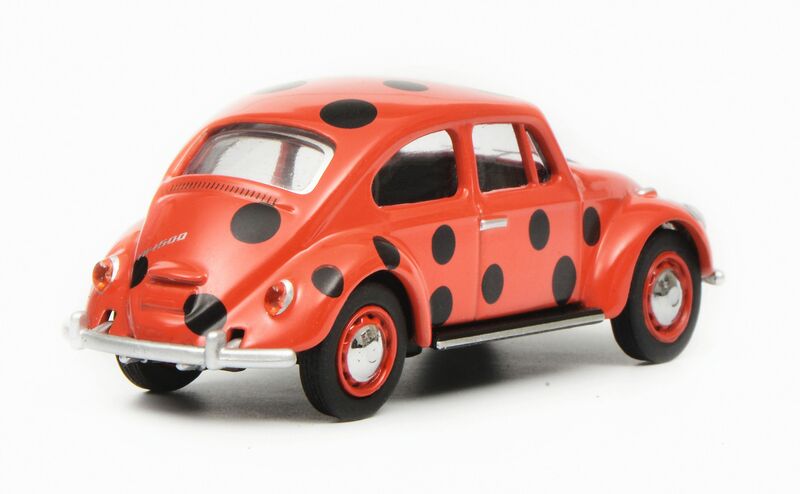 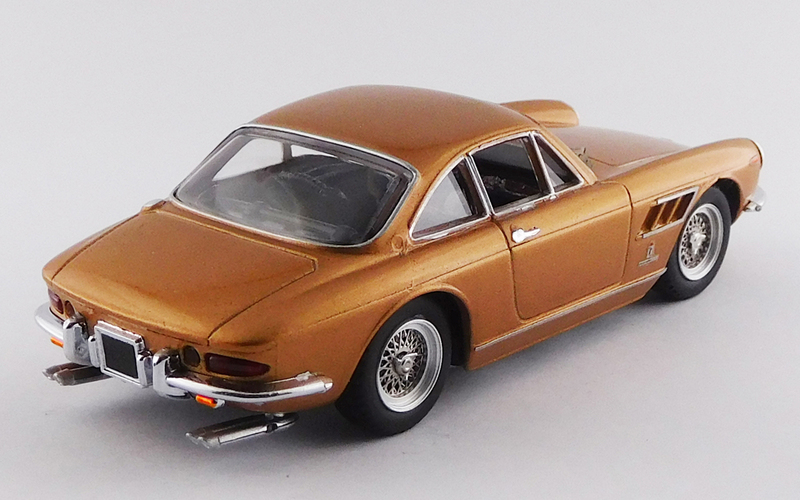 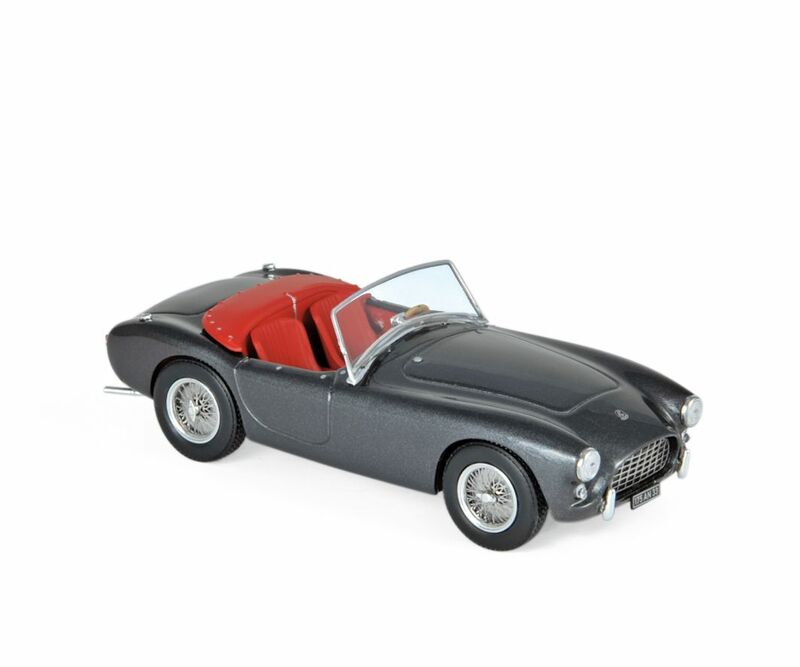 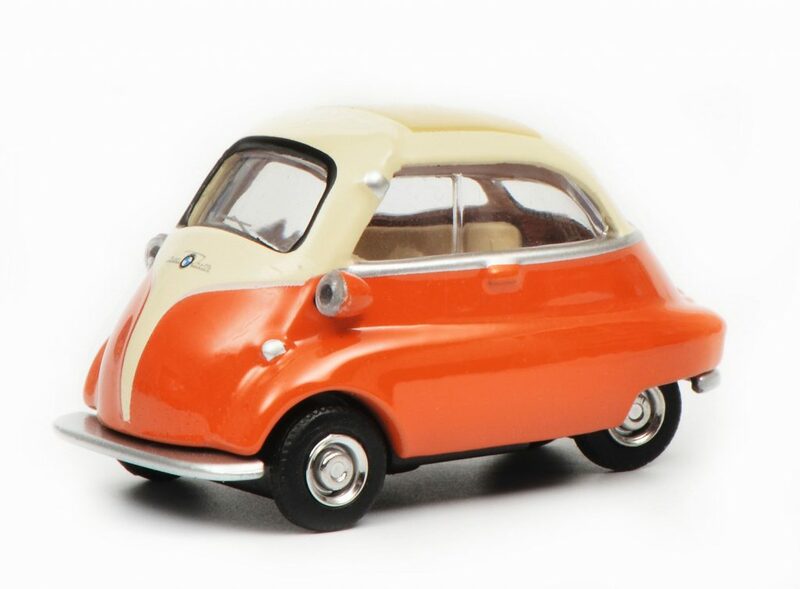 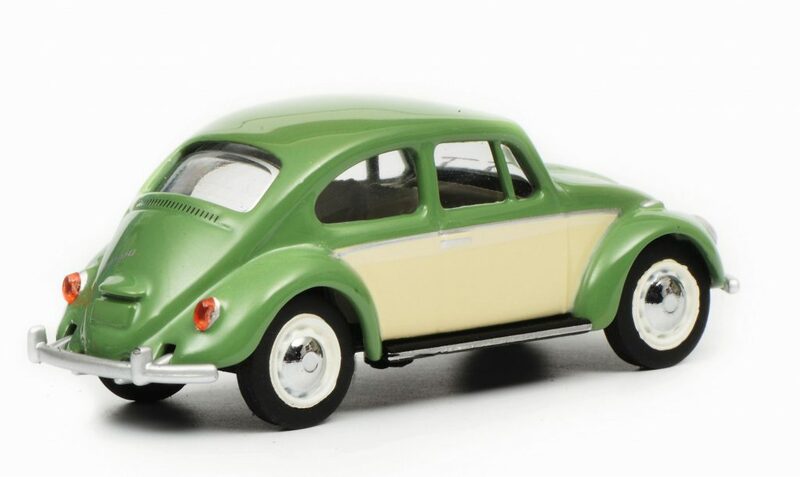 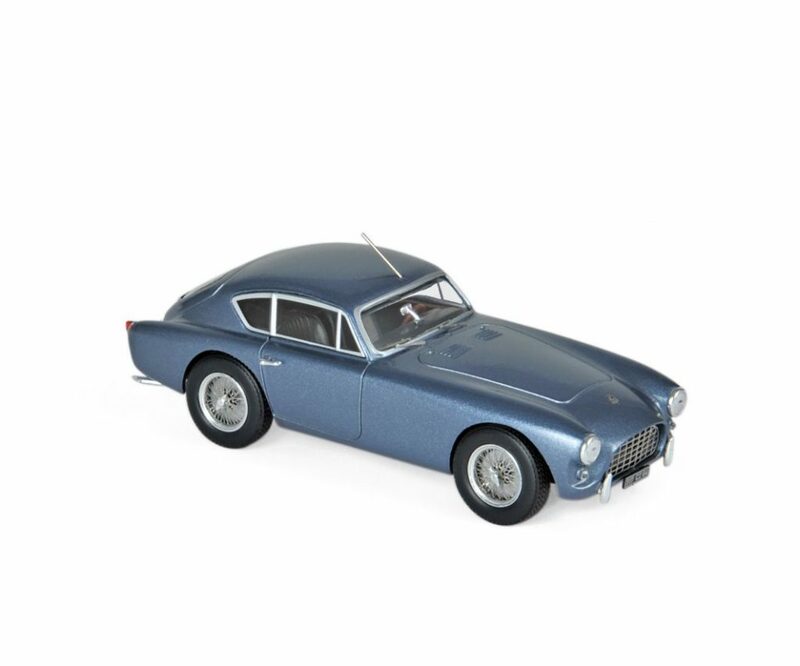 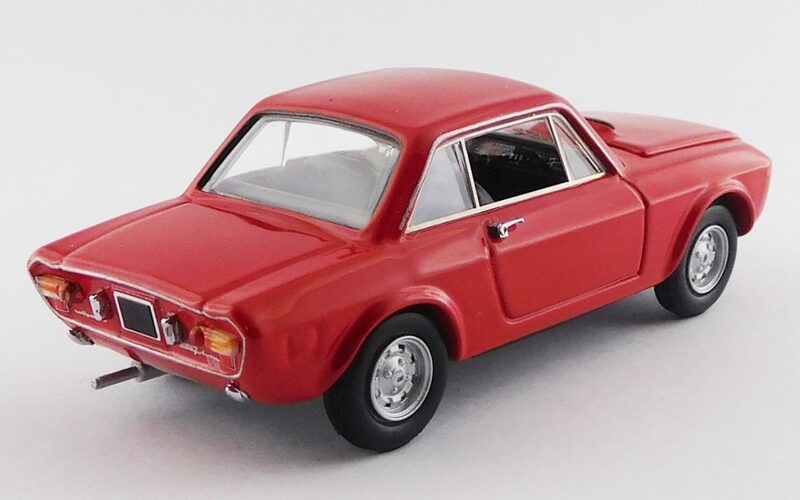 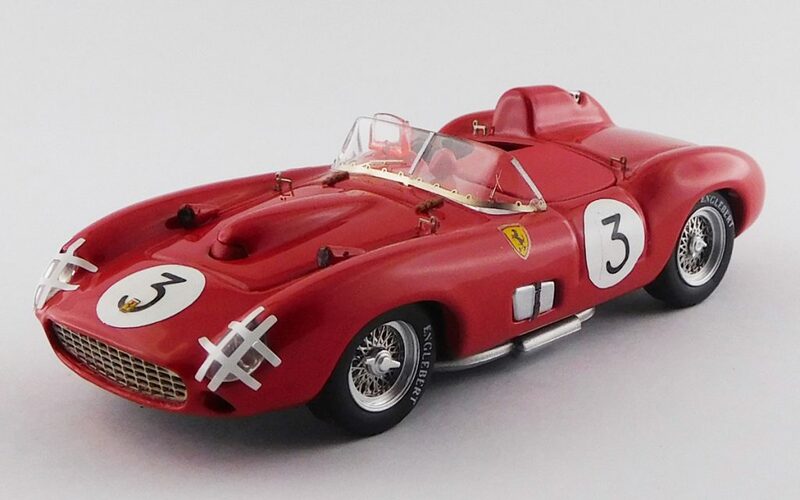 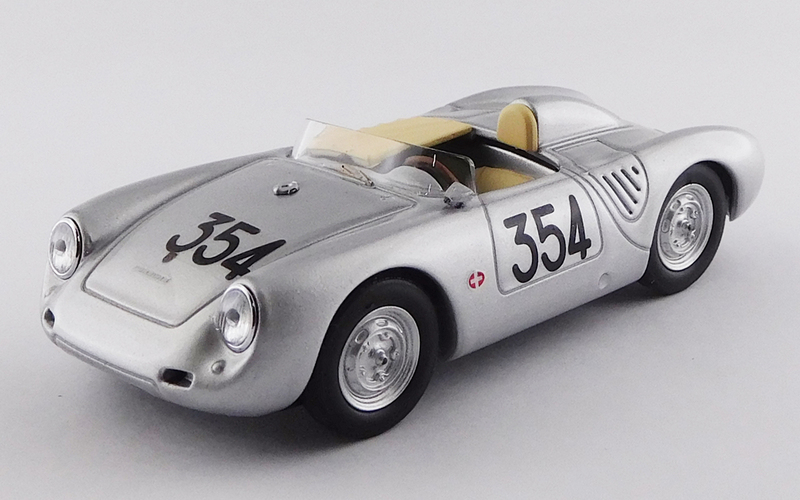 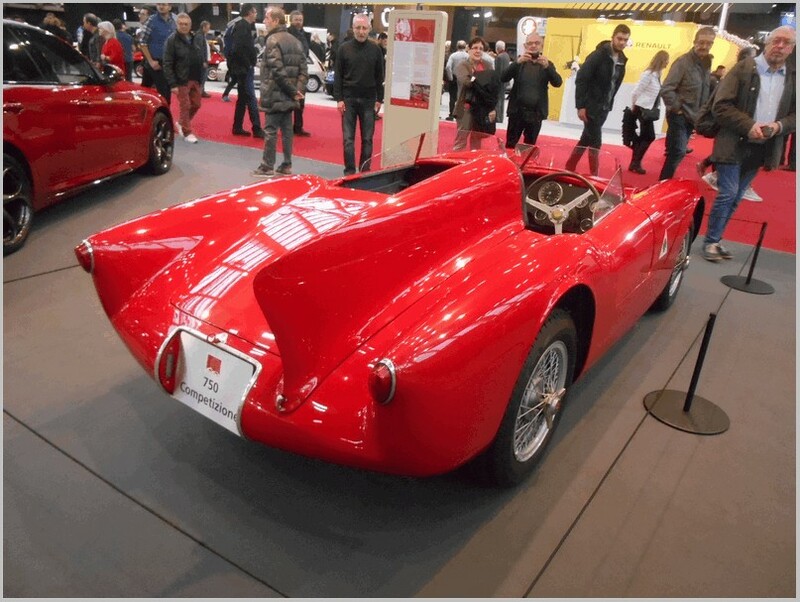 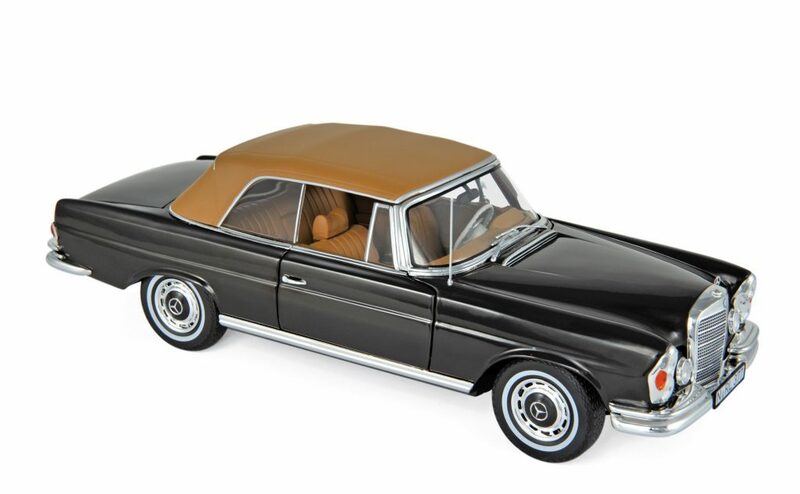 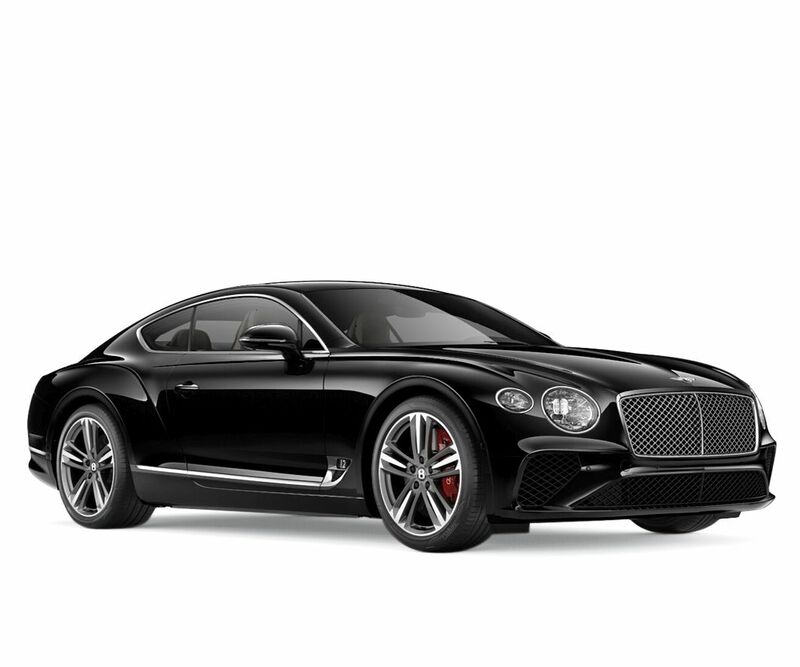 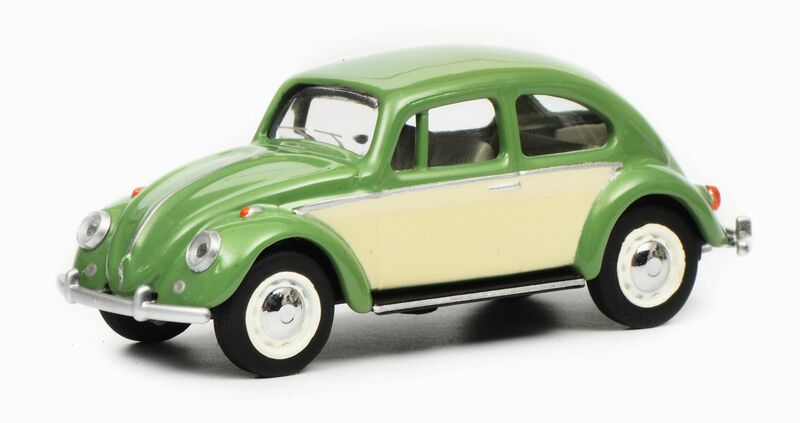 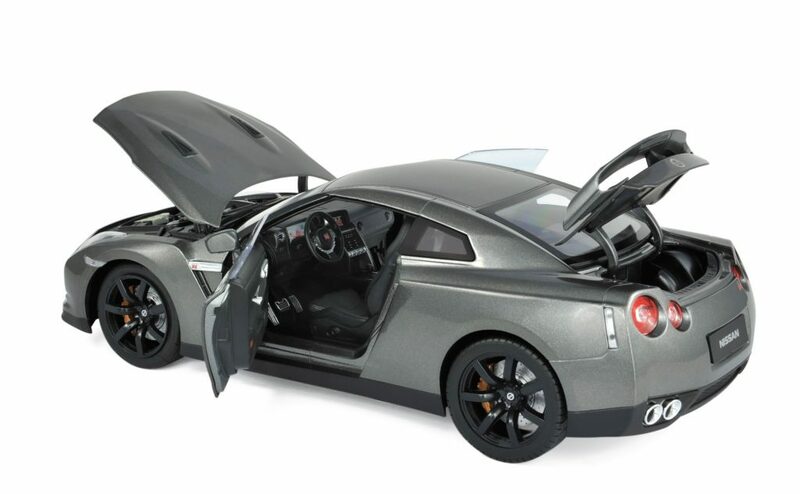 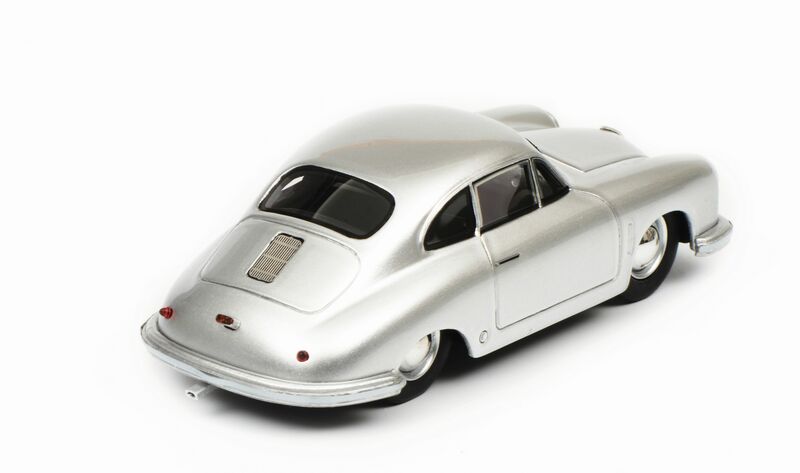 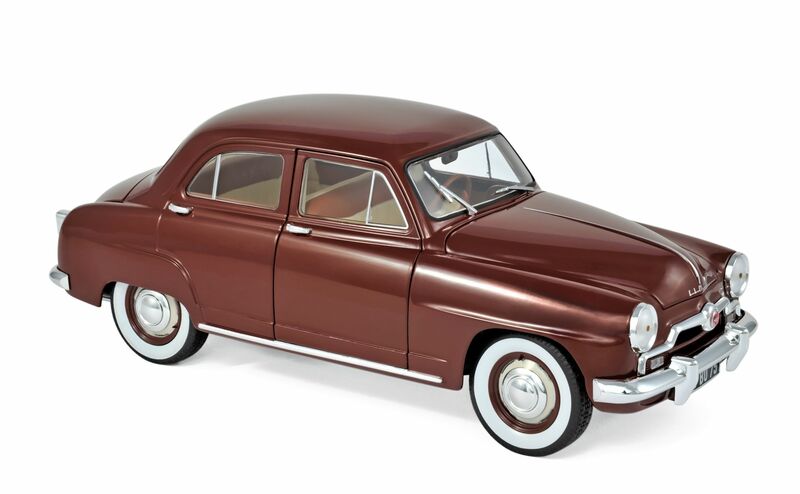 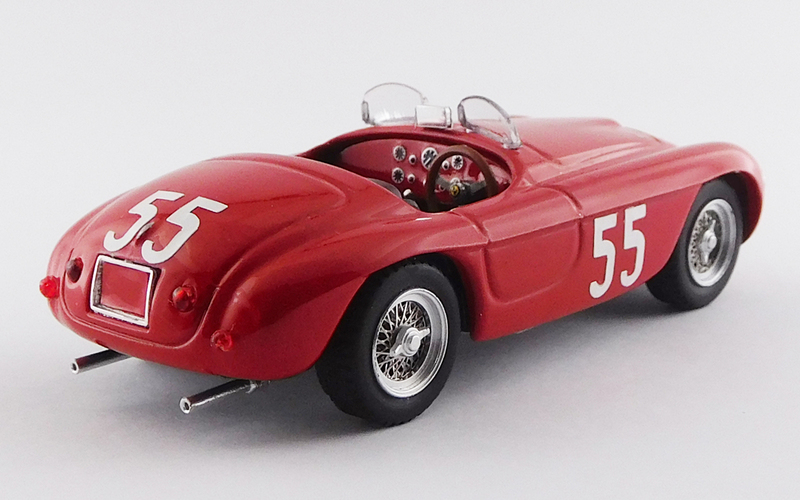 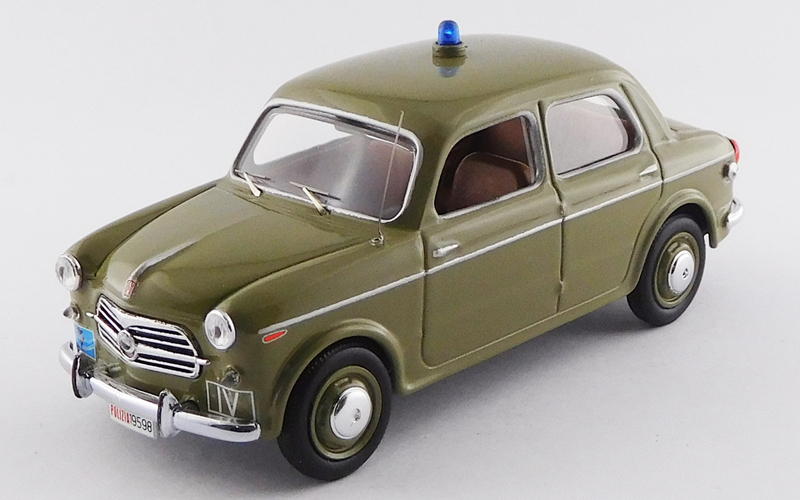 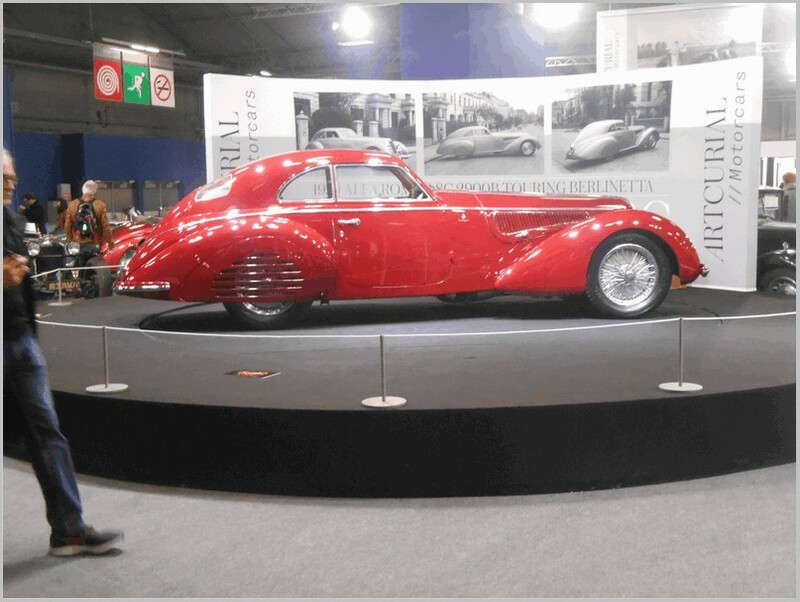 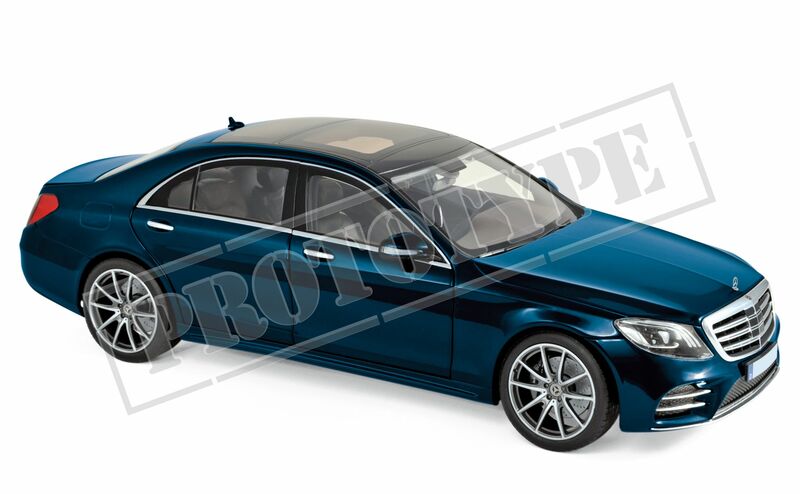 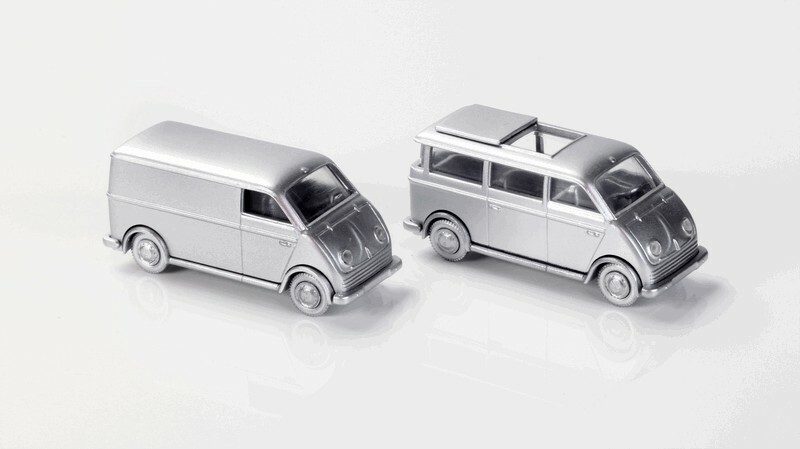 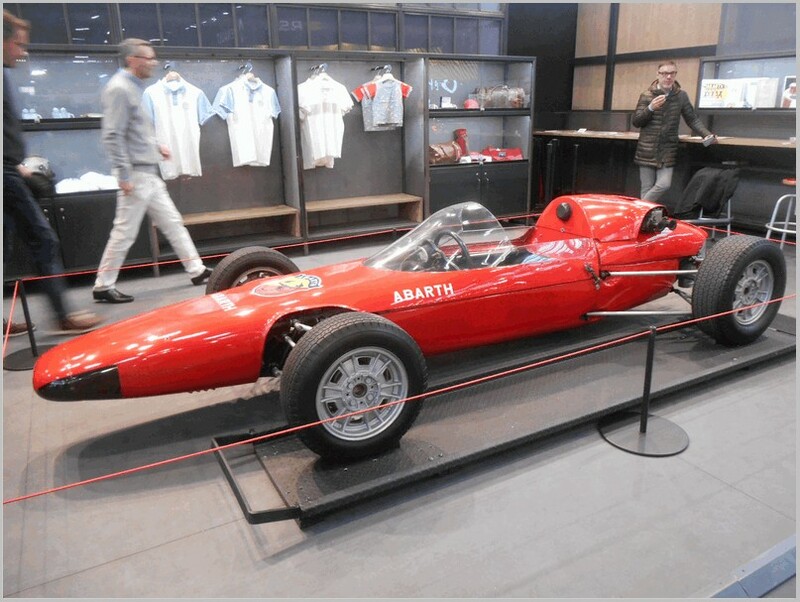 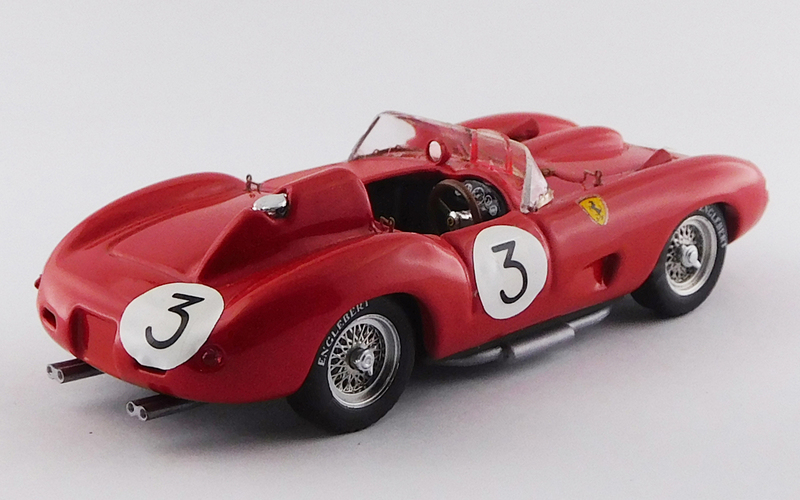 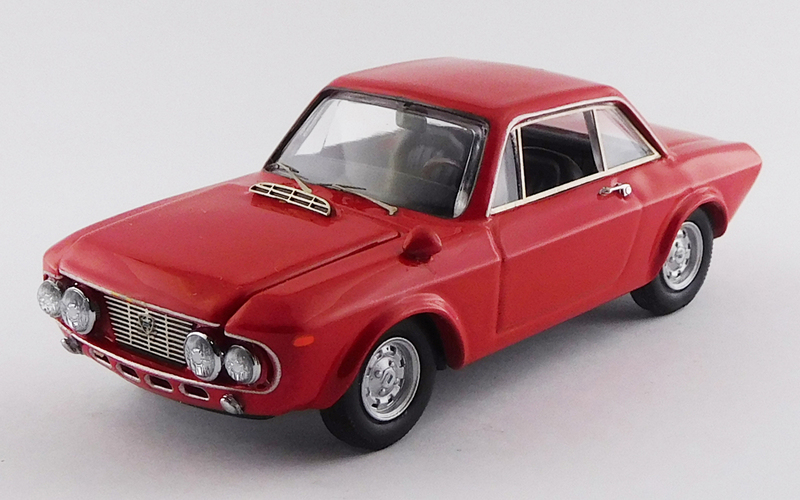 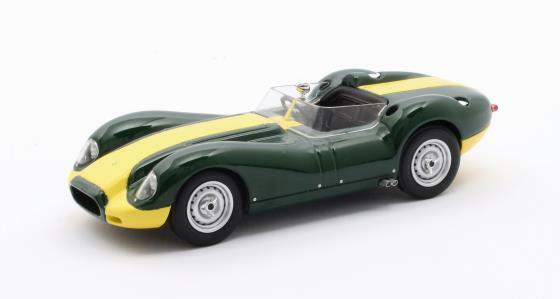 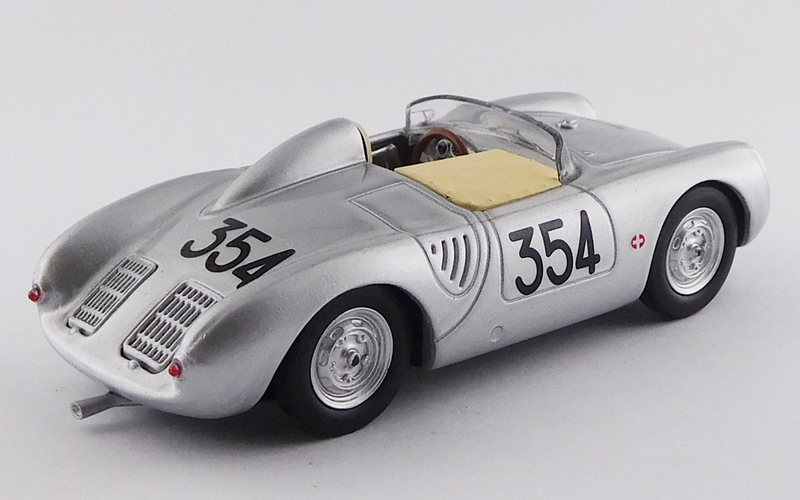 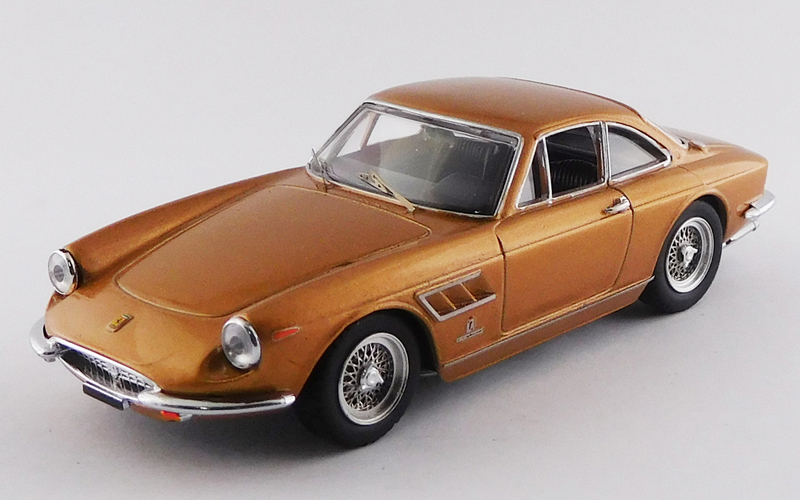 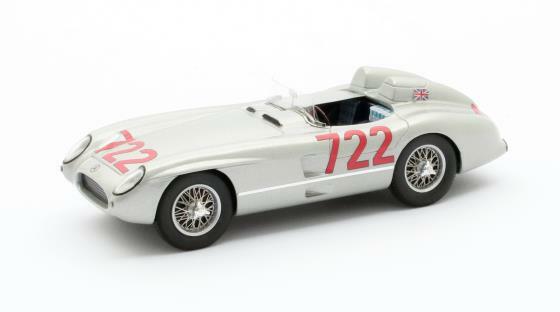 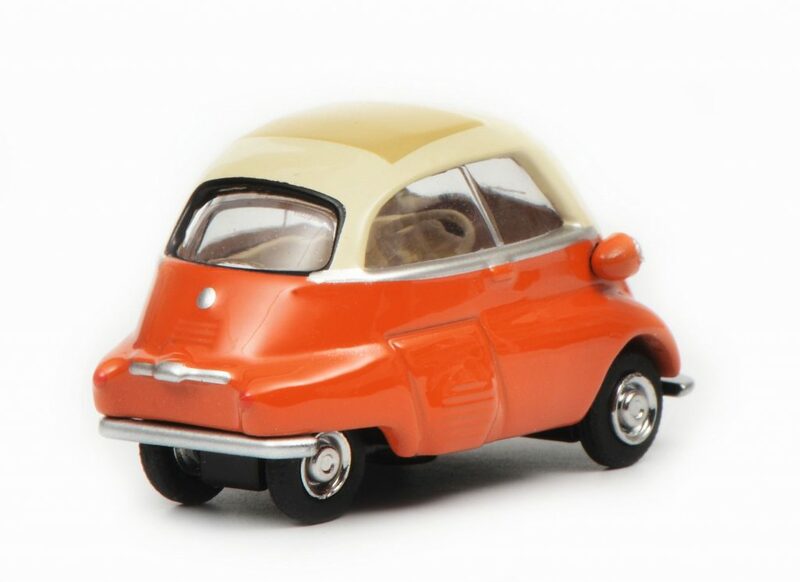 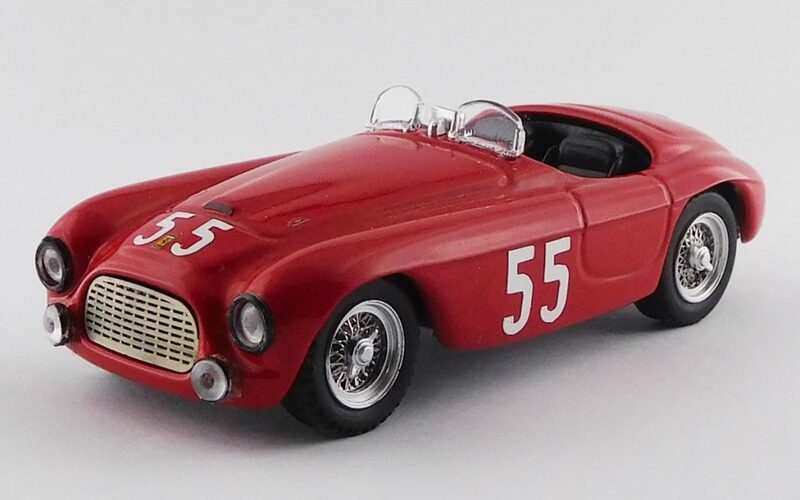 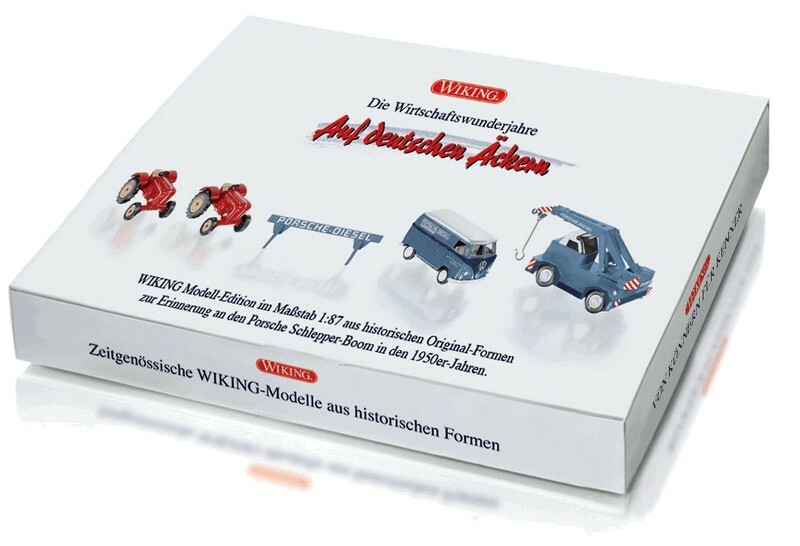 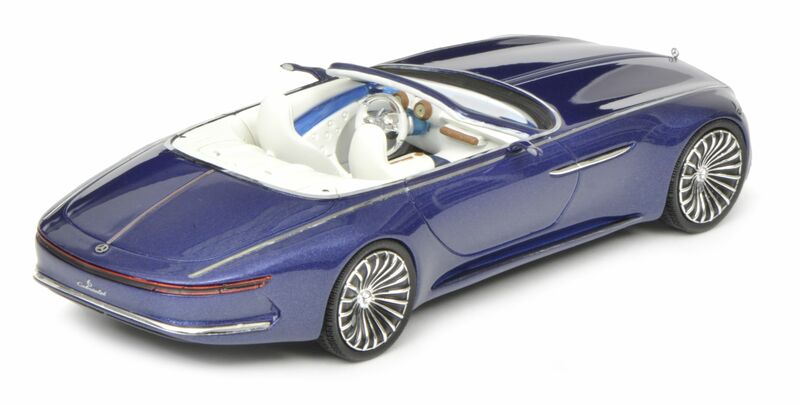 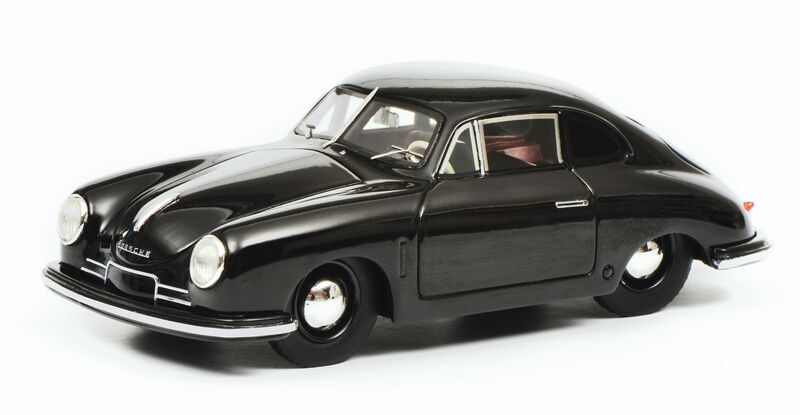 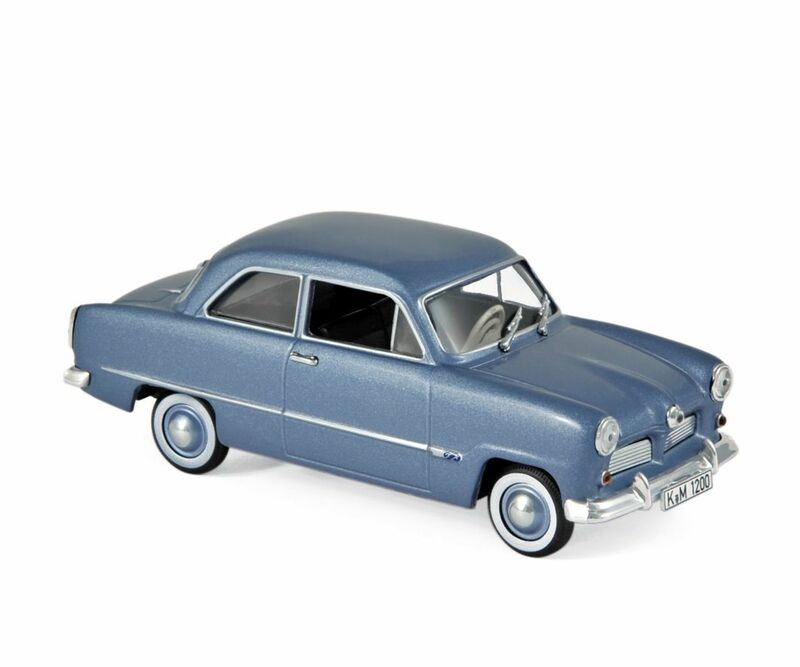 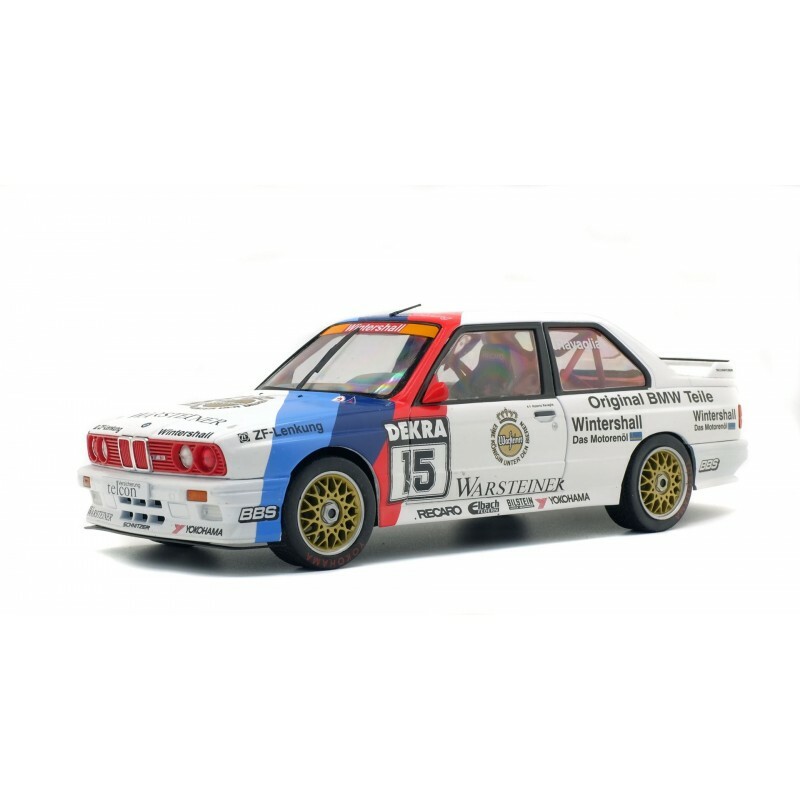 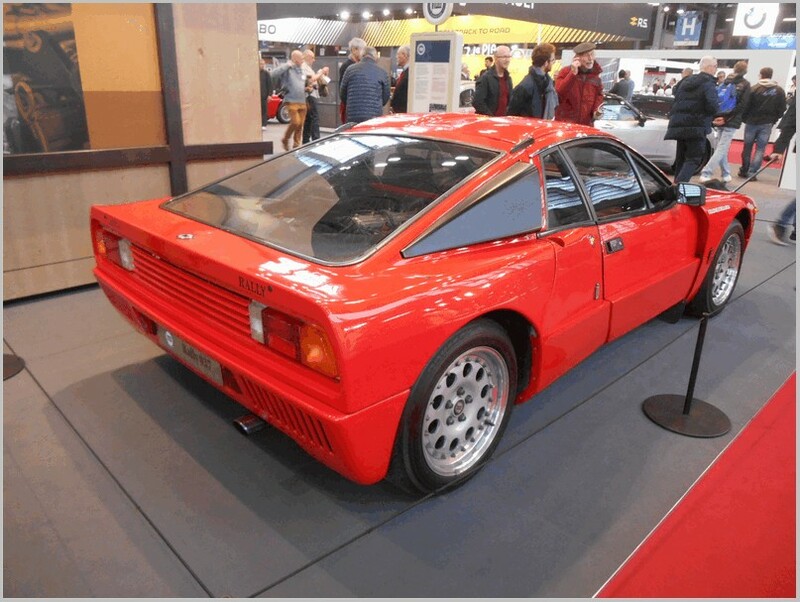 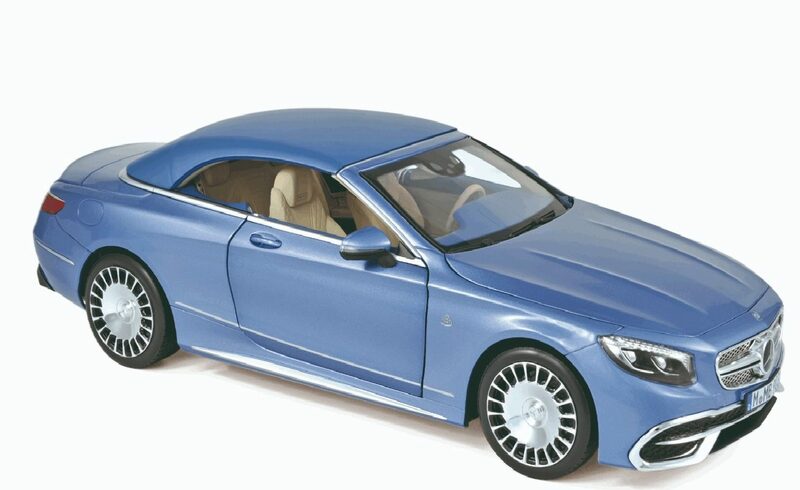 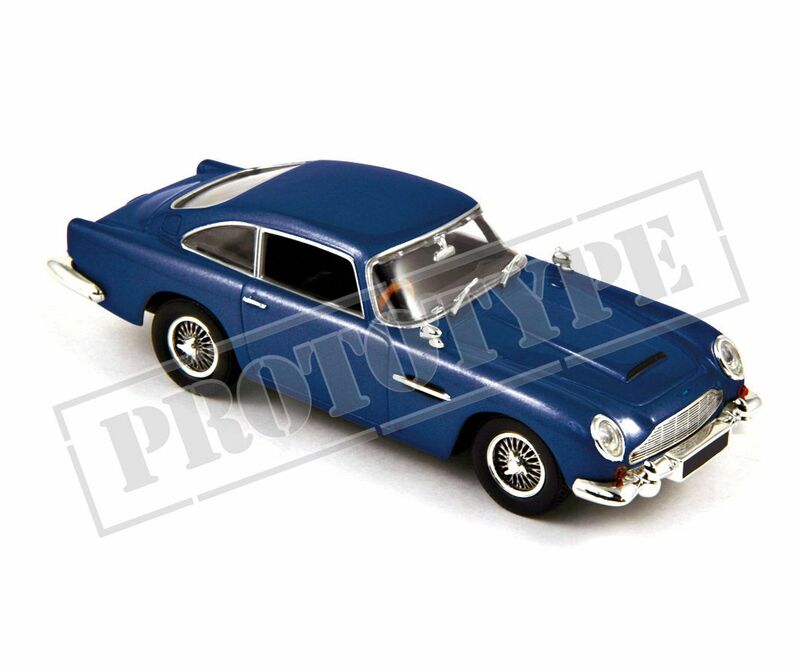 The last model in the collection will be an ‘Alfa Romeo 1600′ which has already been shipped. 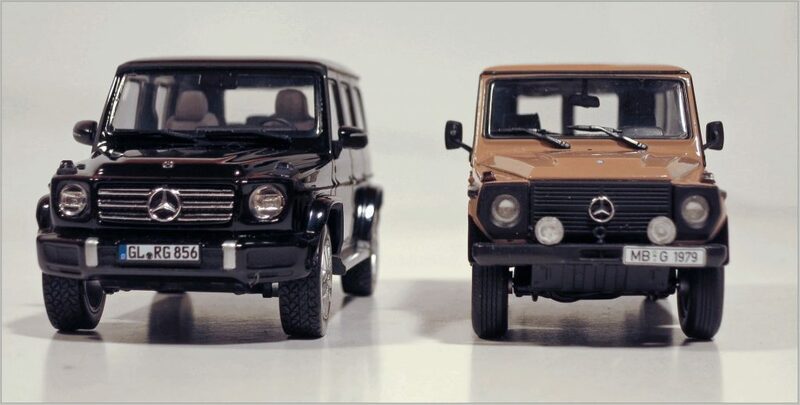 It is anniversary time. 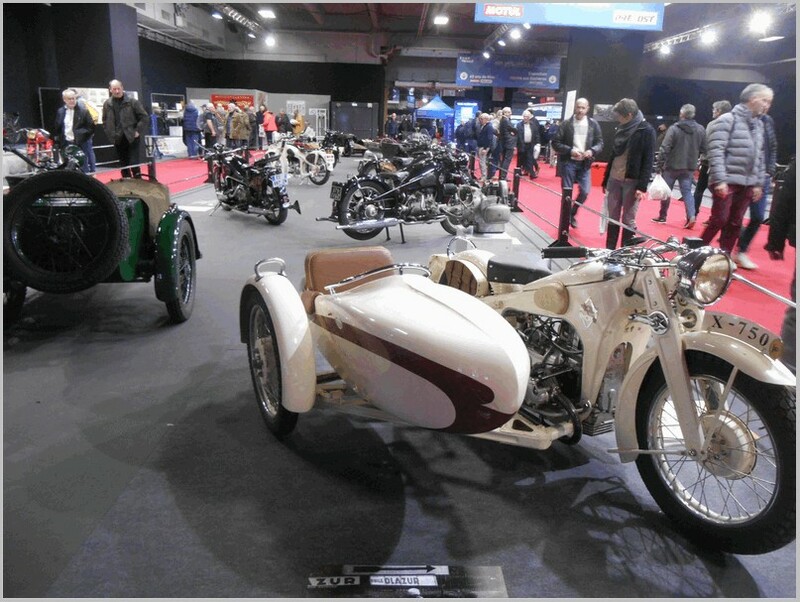 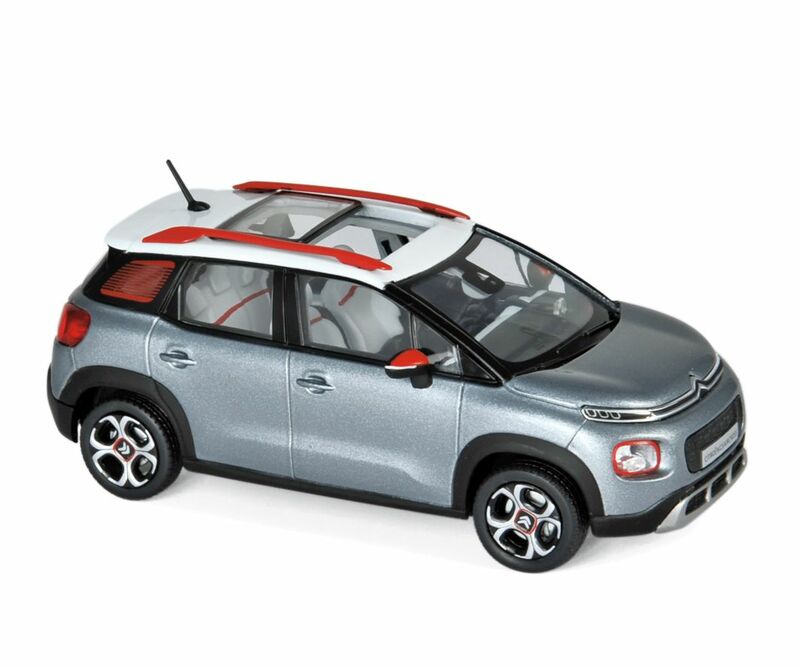 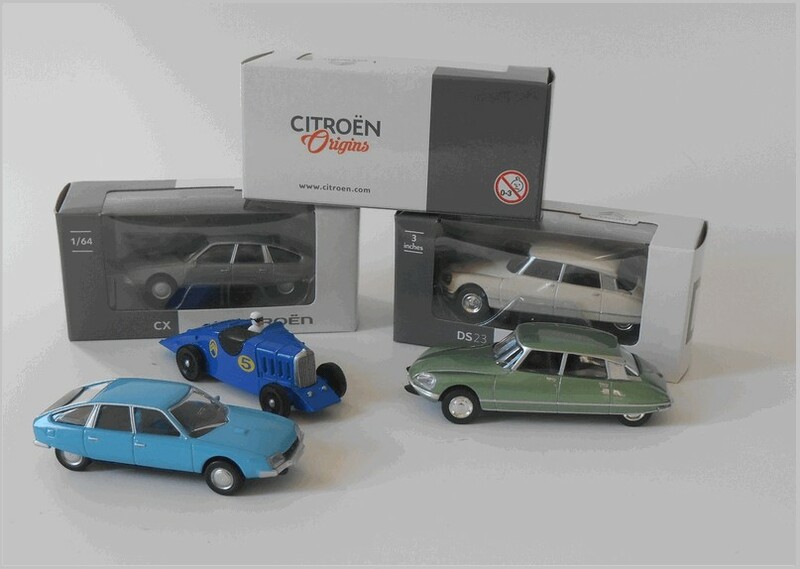 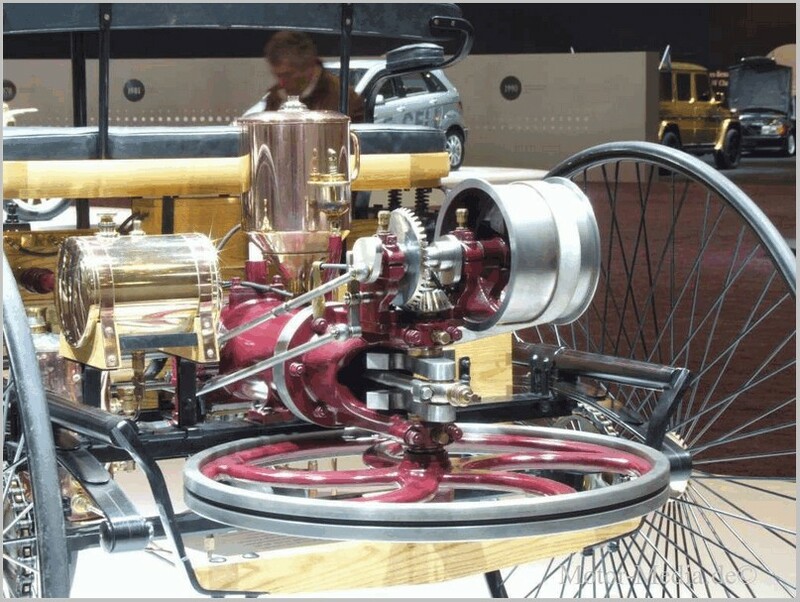 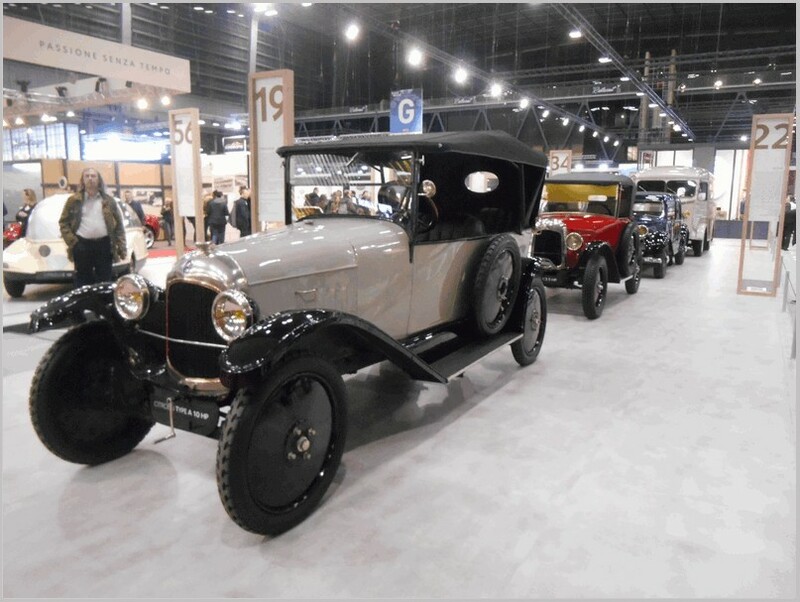 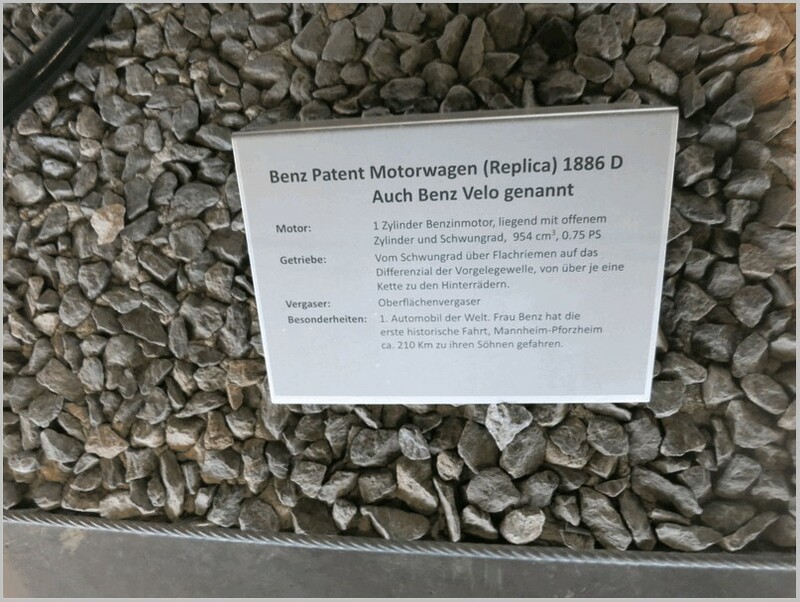 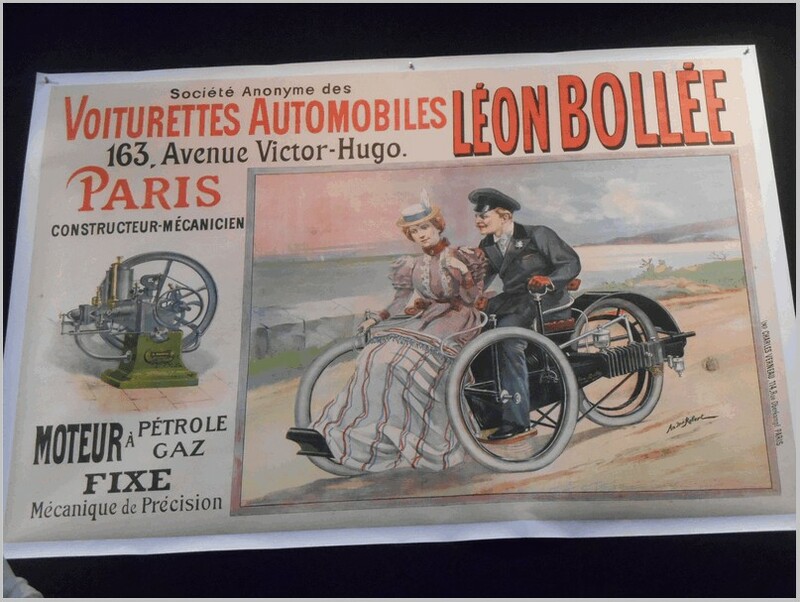 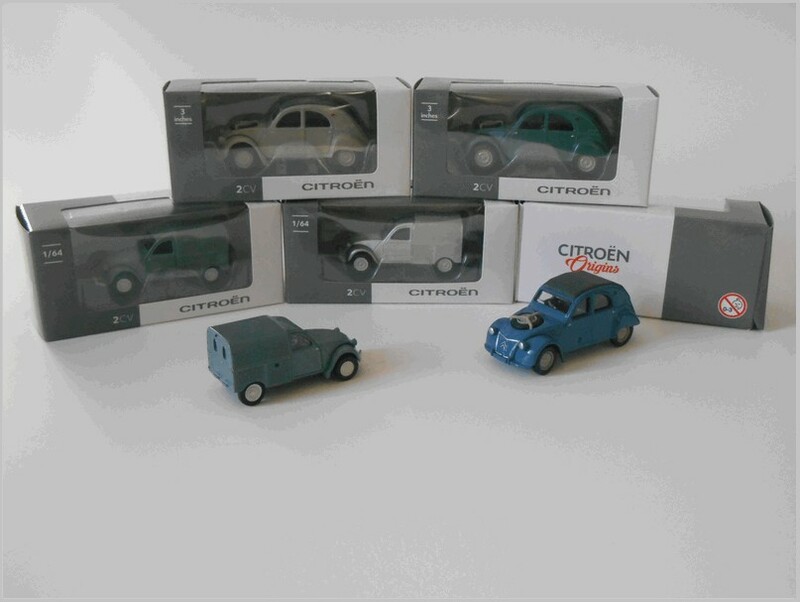 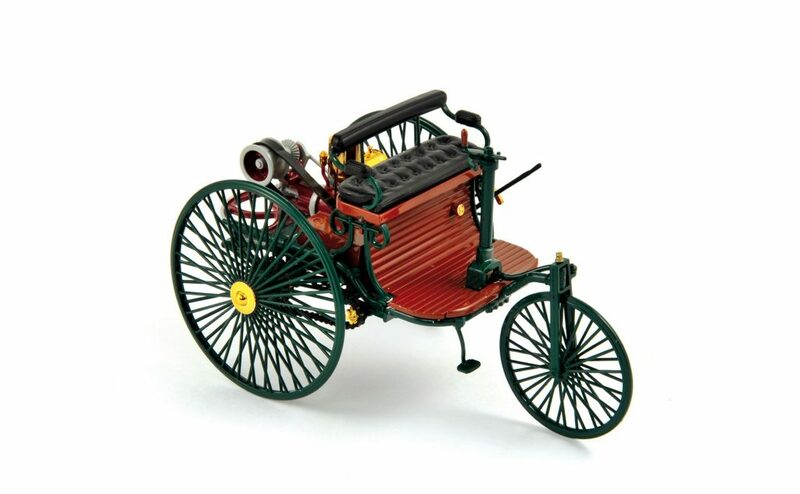 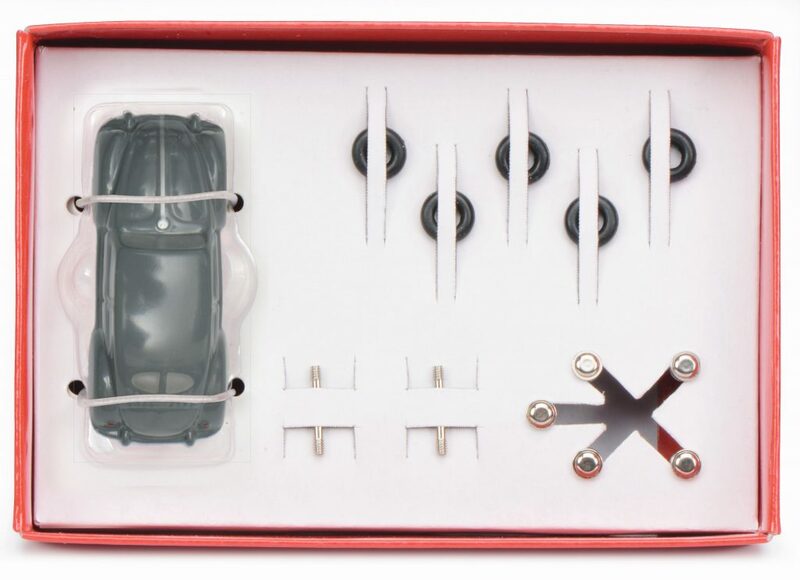 2019 is the year that Citroën celebrates its first centenary, and it is nice to see that among all the media presentations and public events that there is place for model collectors with an array of new models in the “three inches” (or “fit the box”) category, all under the “Origins” label, the official “1919-2019” theme. 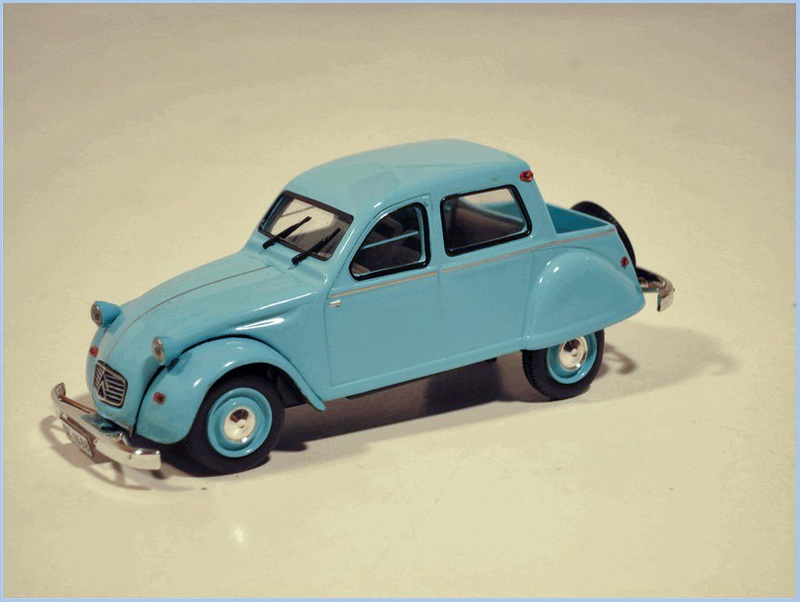 After the 2CV and the Traction already seen at the end of last year, which are re-issues of previous models, it is now time for a copious harvest of completely new ones. 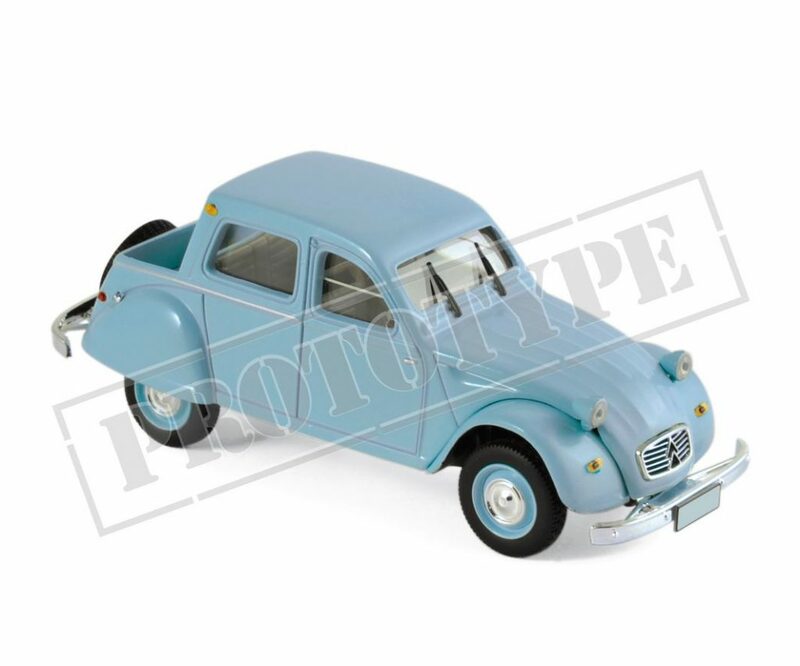 The 2CV AZL 4×4 Sahara (code AMC 019 1026) is available in three different colours, like the 2CV Fourgonnette (AMC 019 1107), while the 1947 bus U23 (AMC 019 1099) is available in two different two-colour liveries, very nice, one of them sports the Citroen logo on the side. 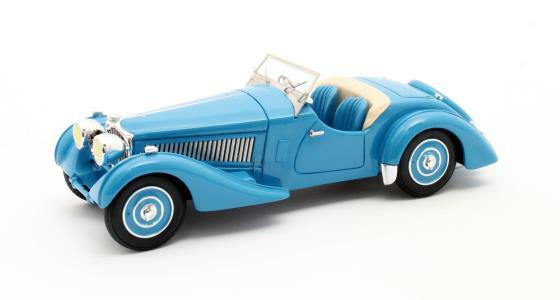 Another new issue is the 1933 “La Petite Rosalie”, a record car to promote the new 8CV, in blue with a white clad driver (AMC 019 1097). 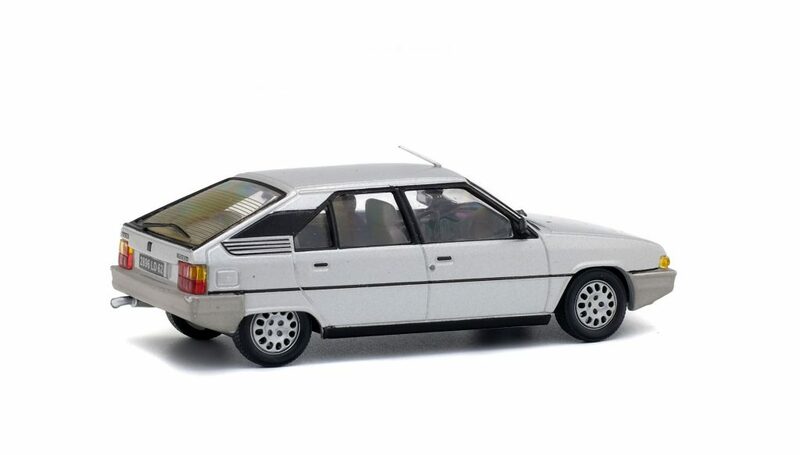 Also new is the CX (AMC 019 1191) which is a bit small, and is available in two colours. 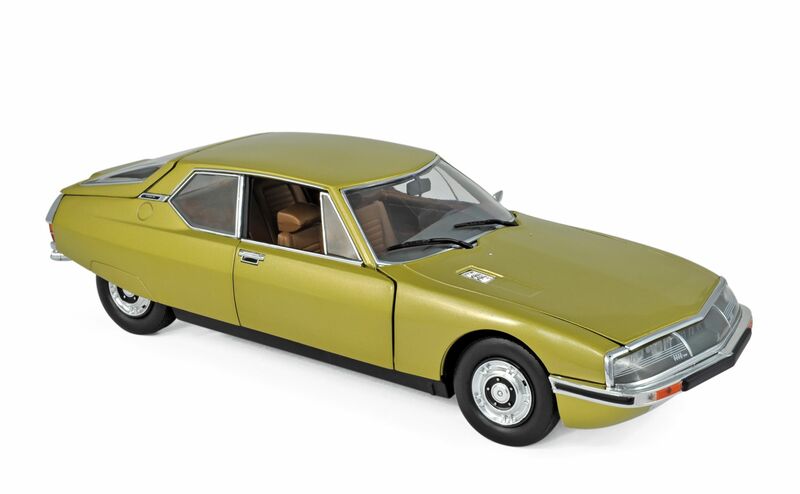 Among further re-issues there are the DS23 Pallas (AMC 019 1192) in two colours, and the Mehari (AMC 019 1194) also in two colours. 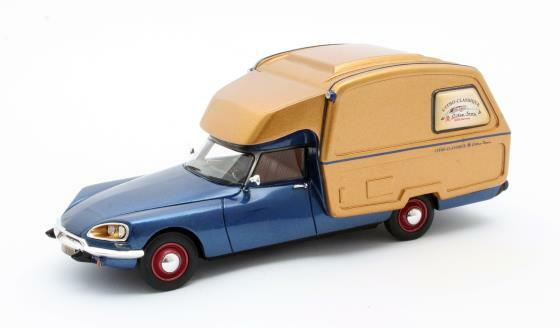 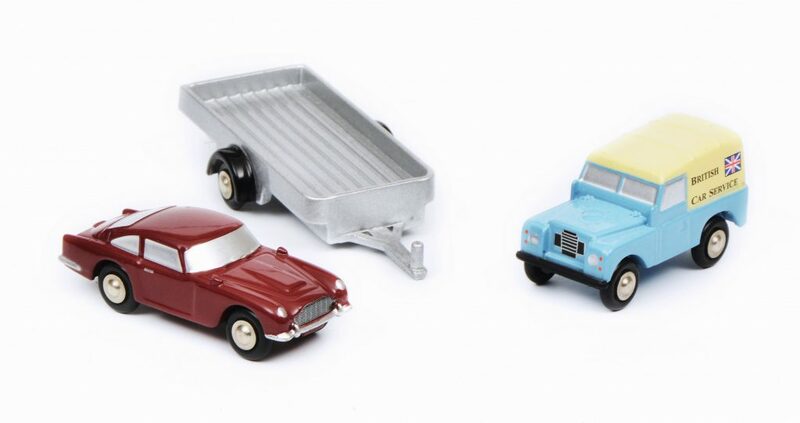 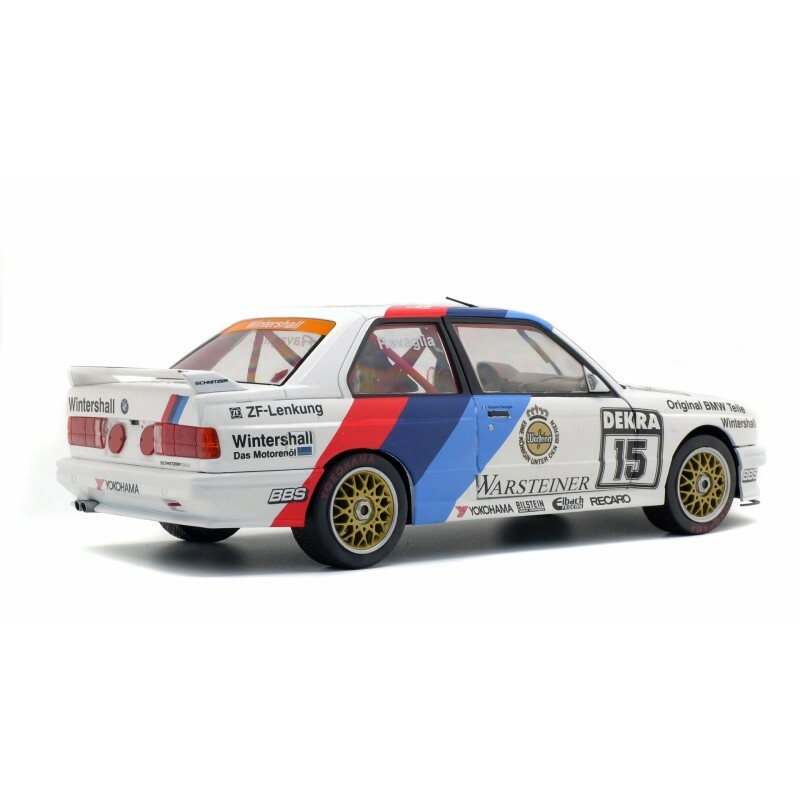 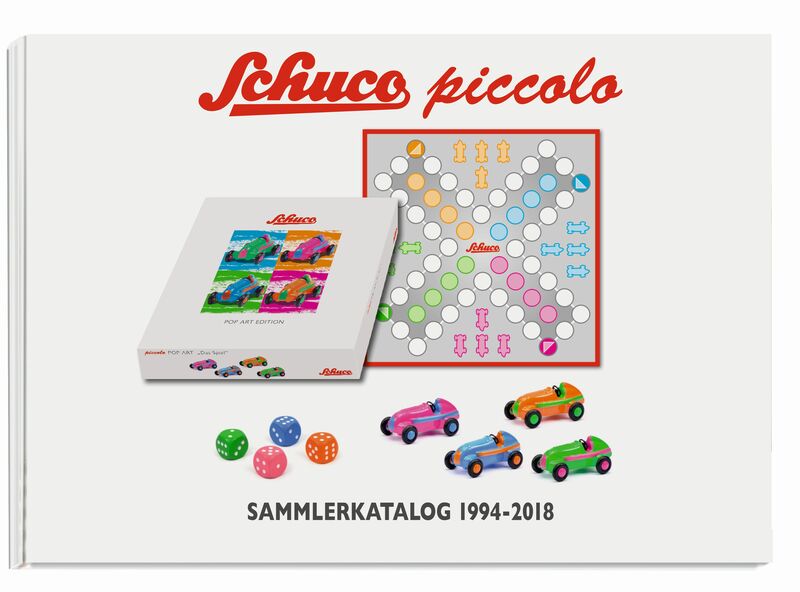 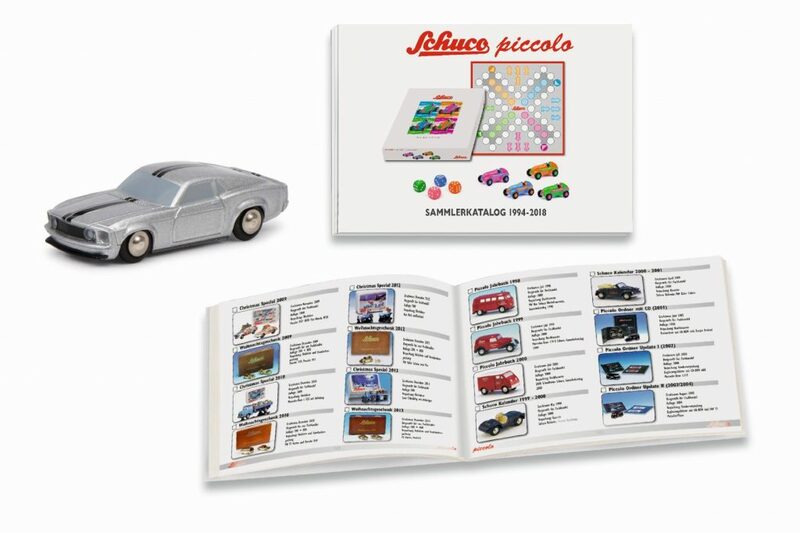 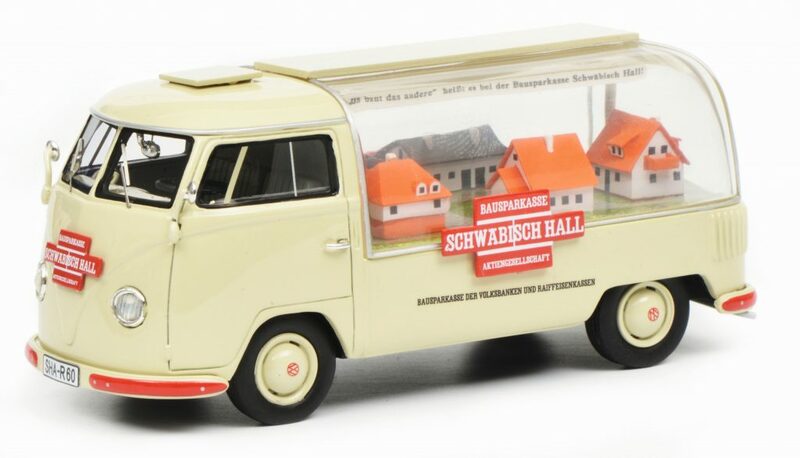 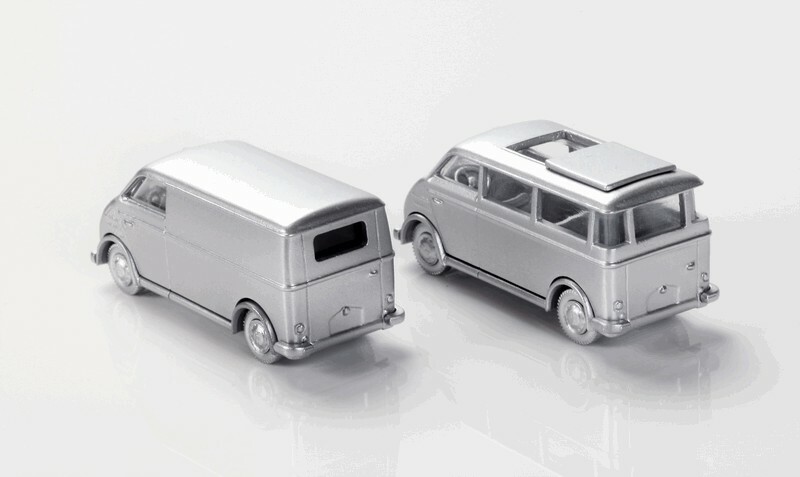 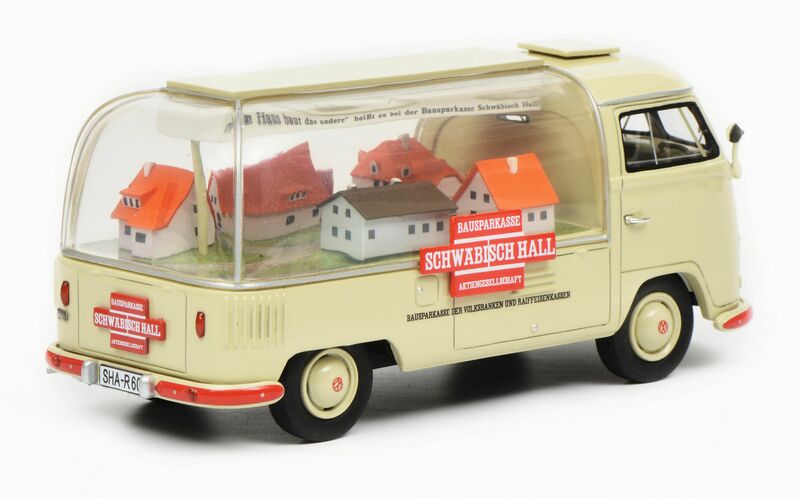 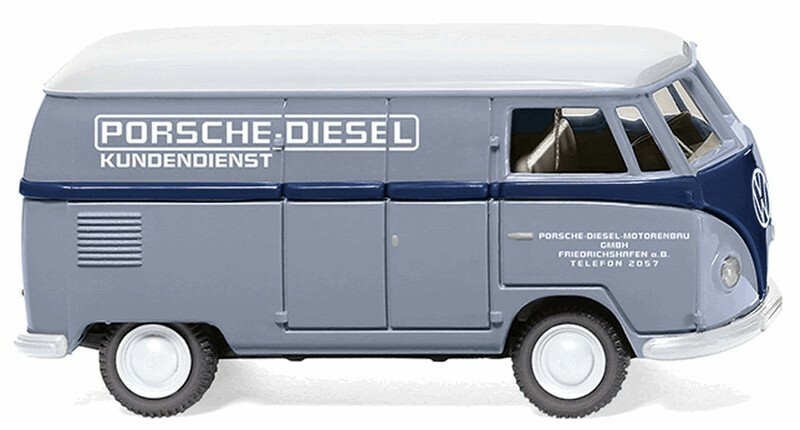 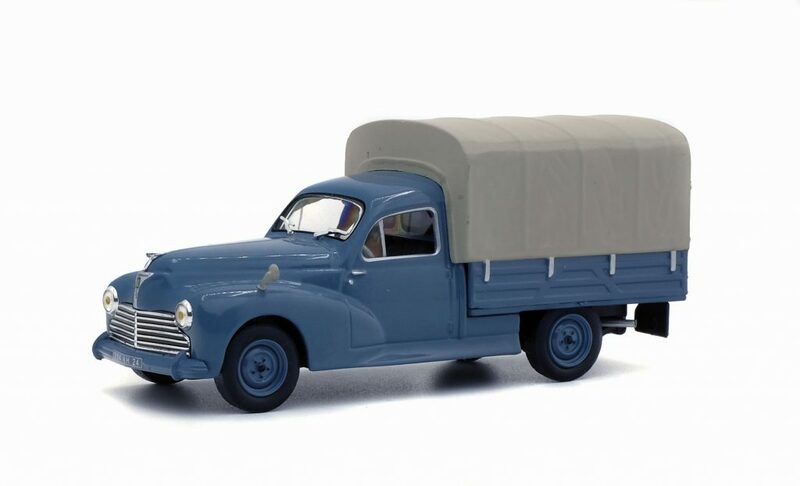 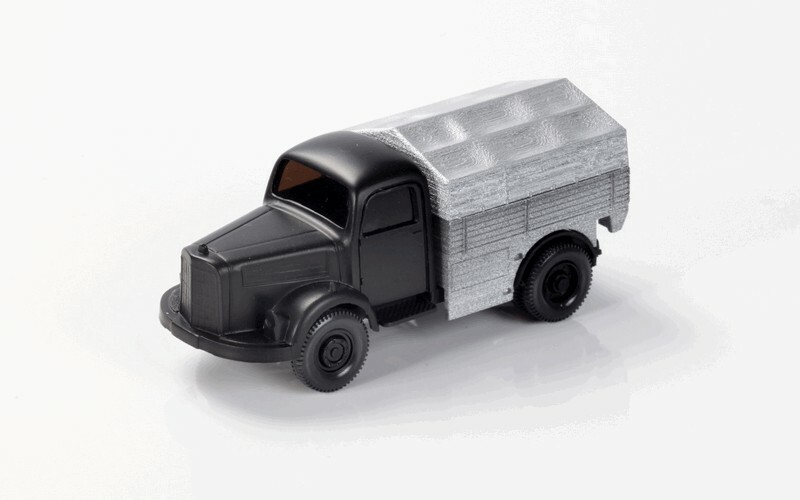 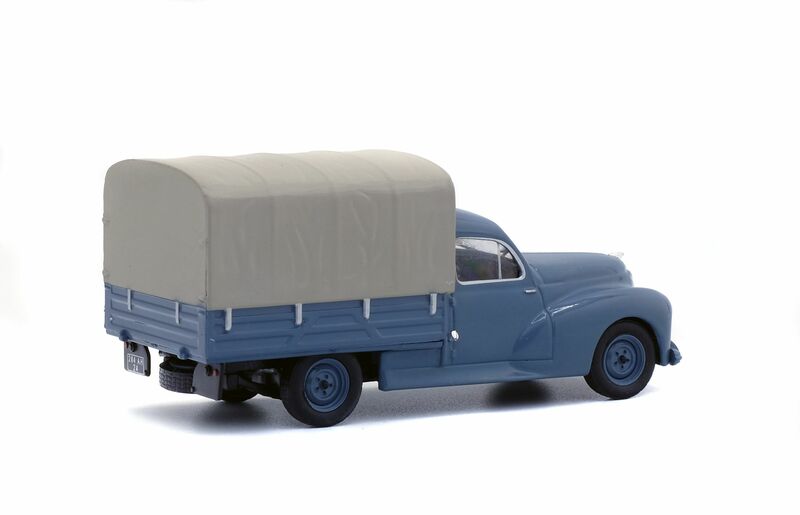 Very likely there will be other re-issues, perhaps the SM coupé and the HY van, which are already available in the “public” collection. 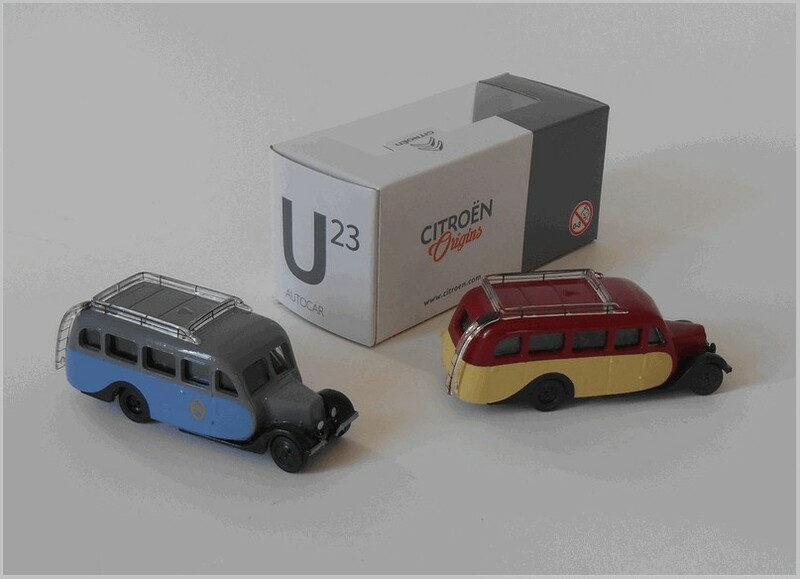 A well deserved applause to Citroën. 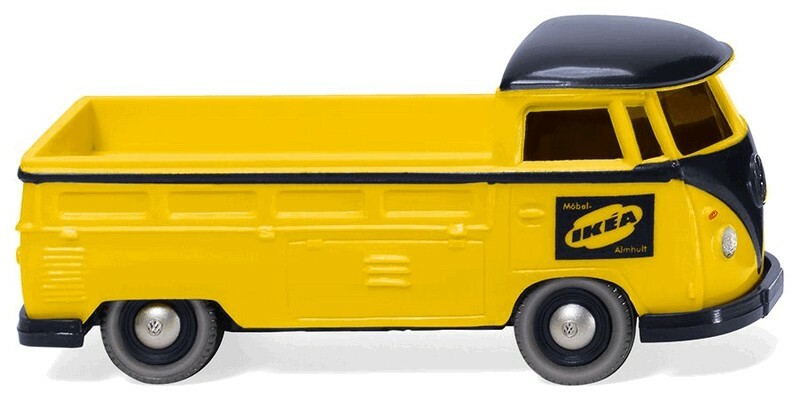 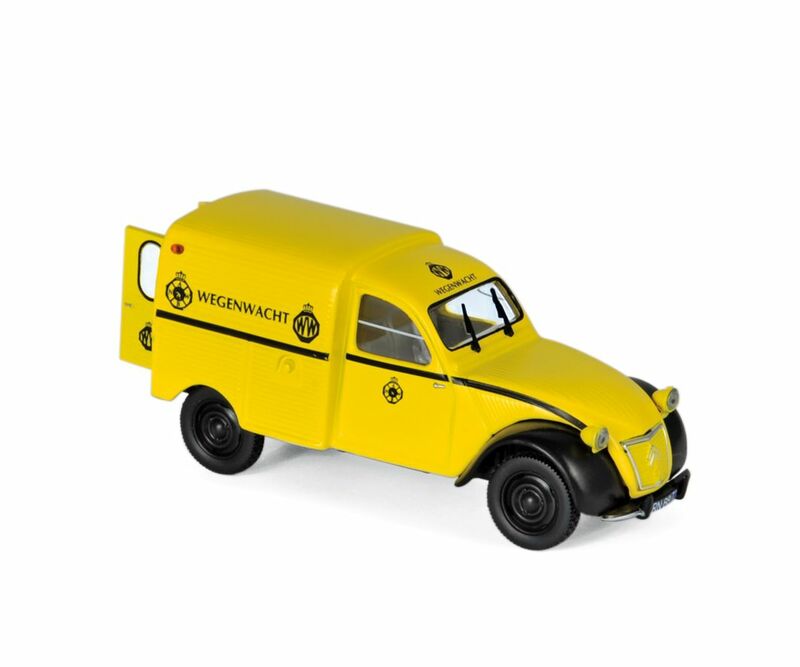 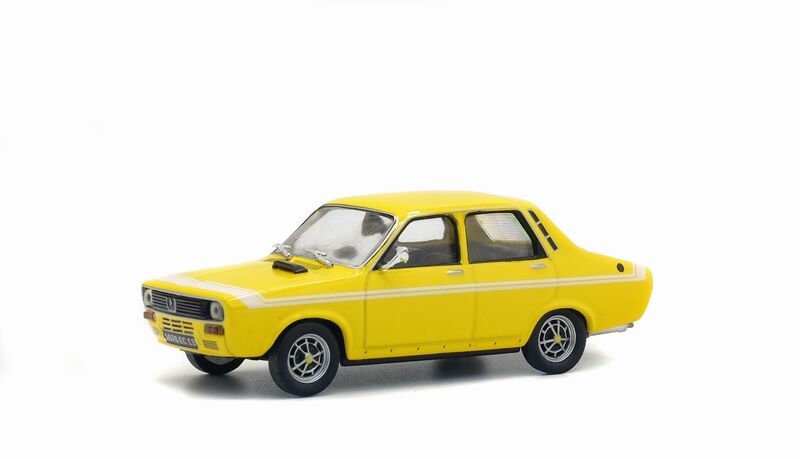 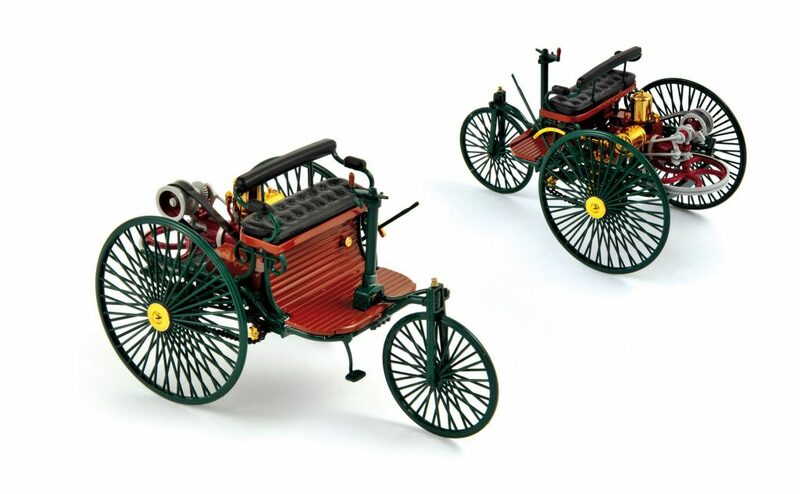 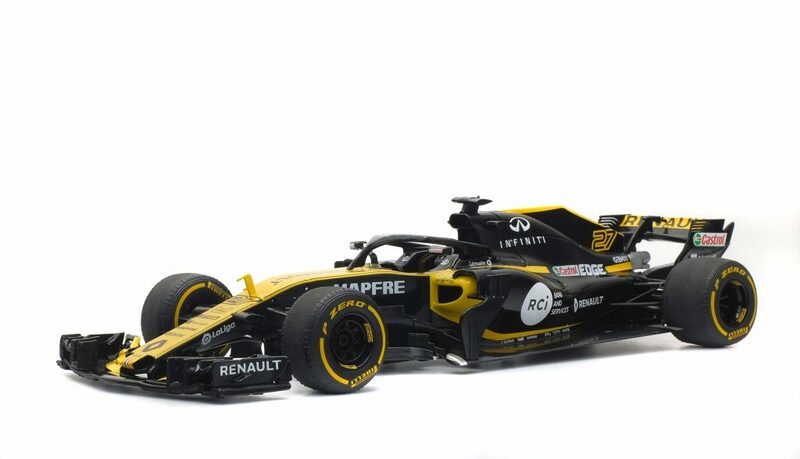 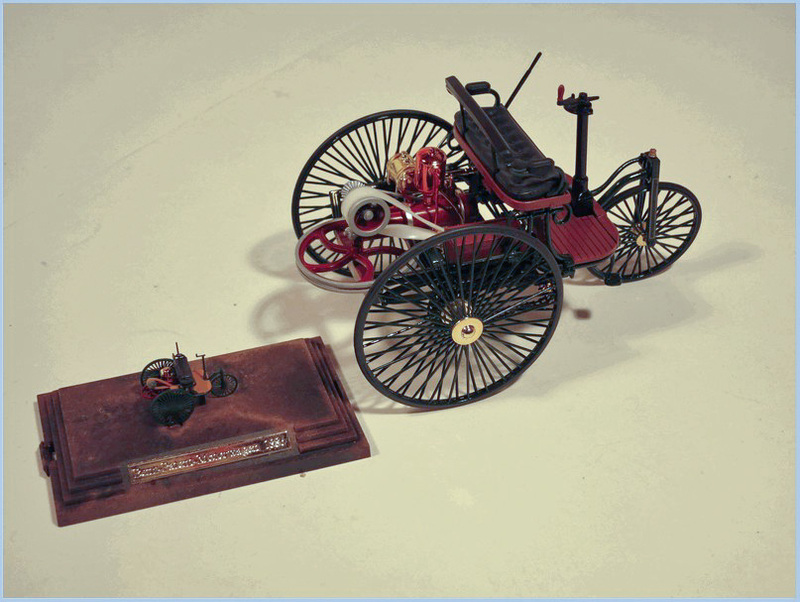 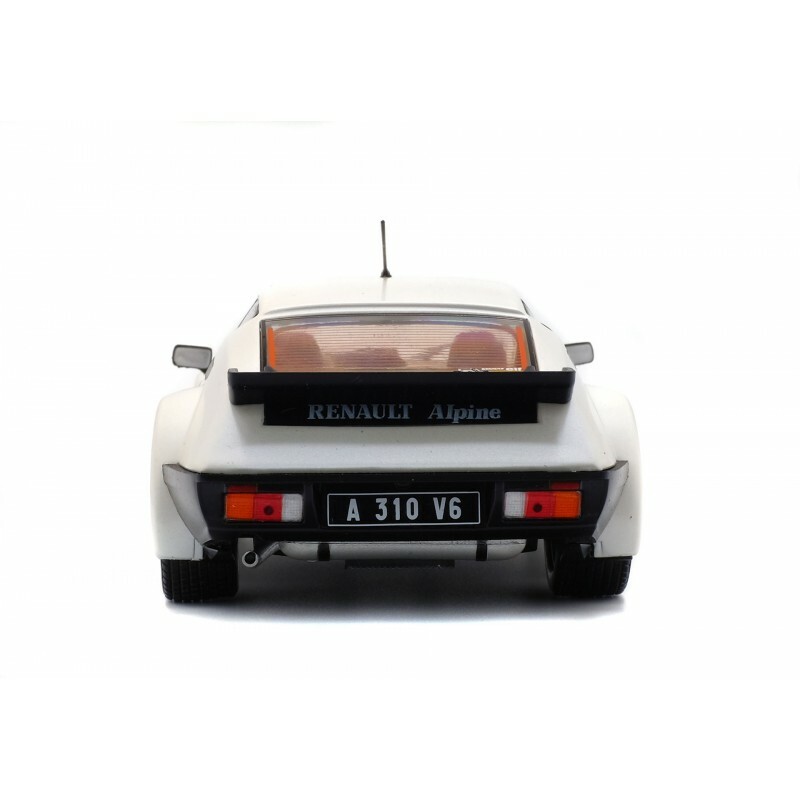 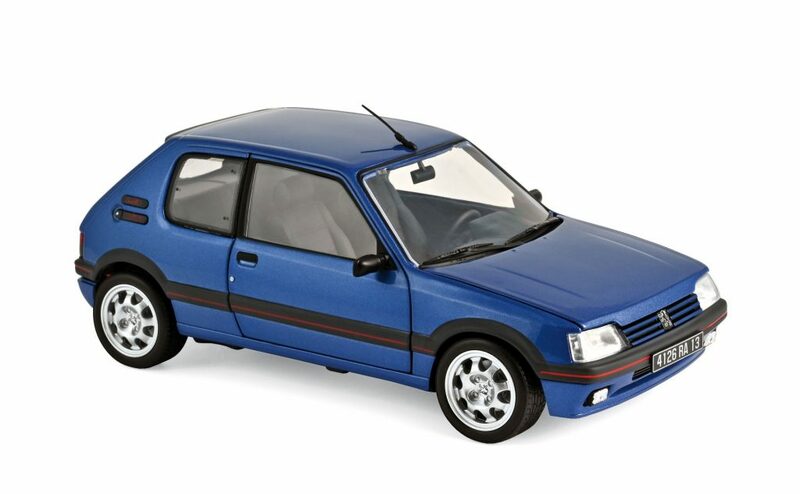 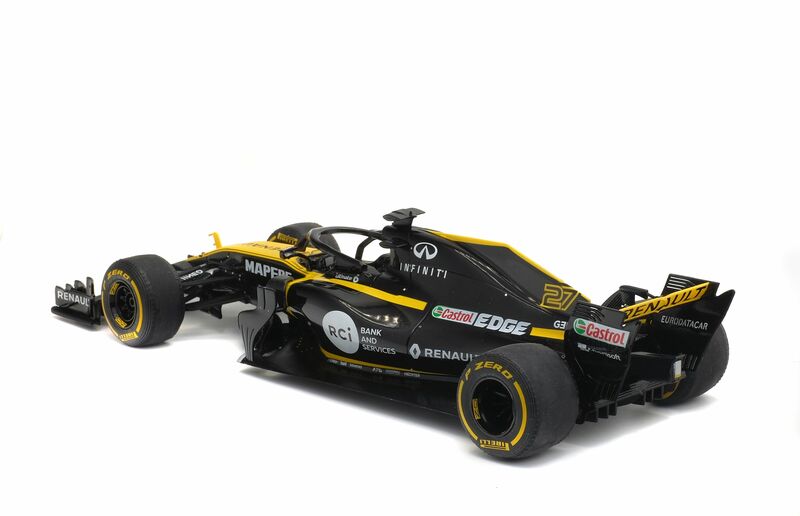 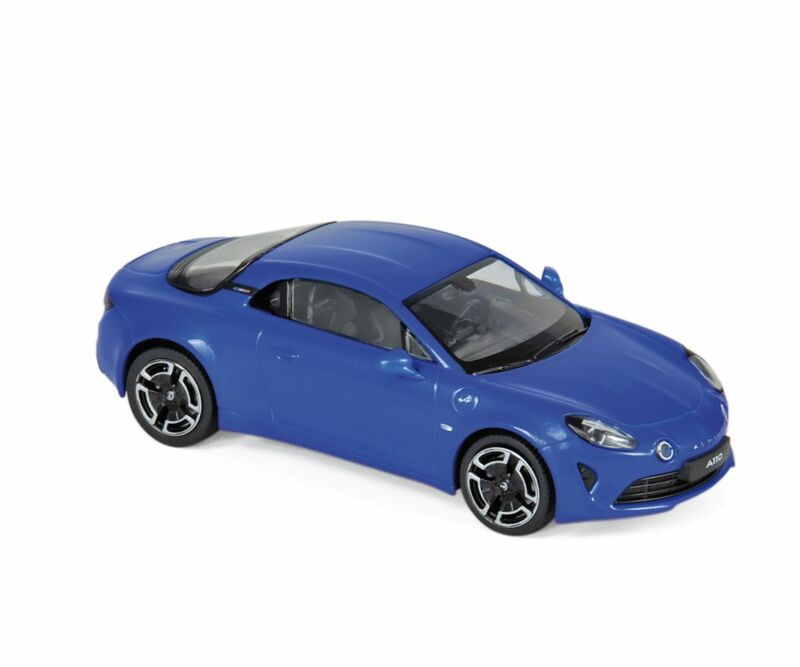 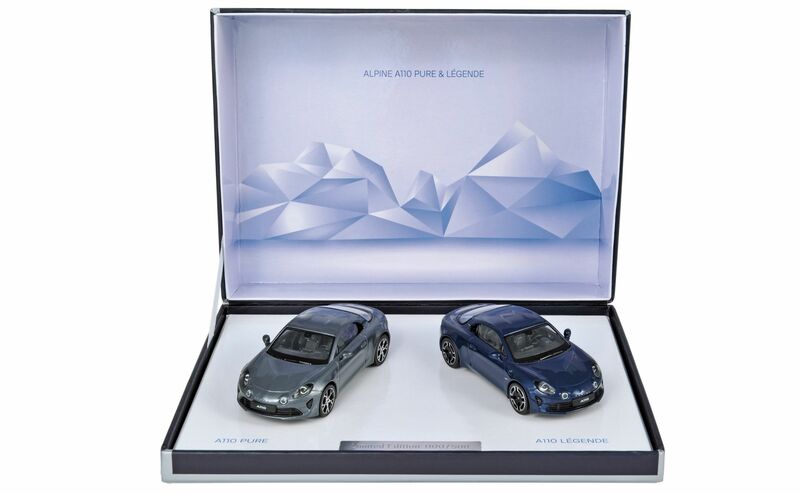 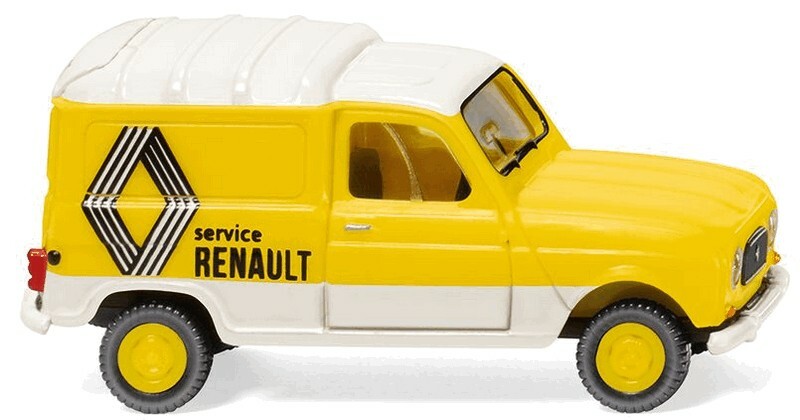 Last year Renault celebrated its 120 years, but chose to release only two 1:55 scale models, the R4 and the R5, both by Welly and already seen, each in four different colours, with a special “120 years” box, similar to the type usually used by Norev for Renault. 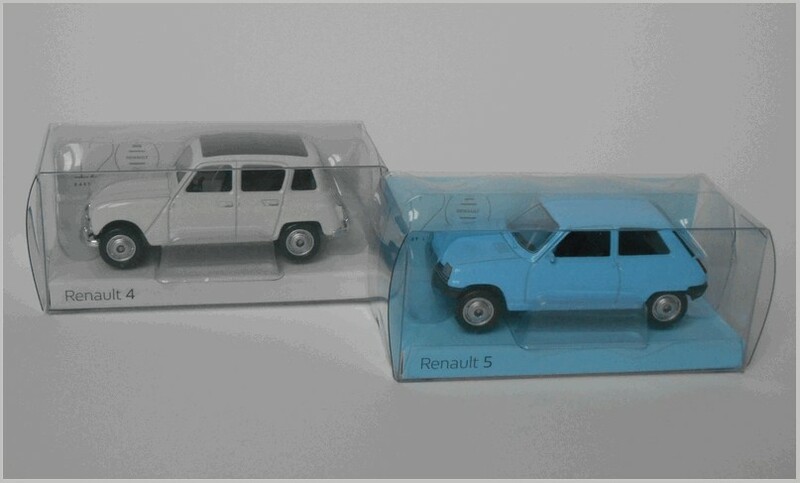 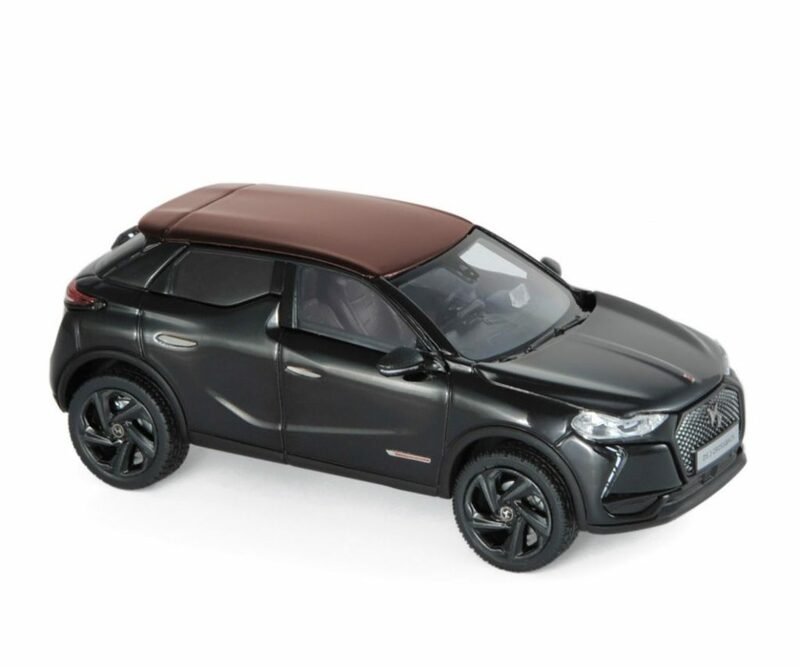 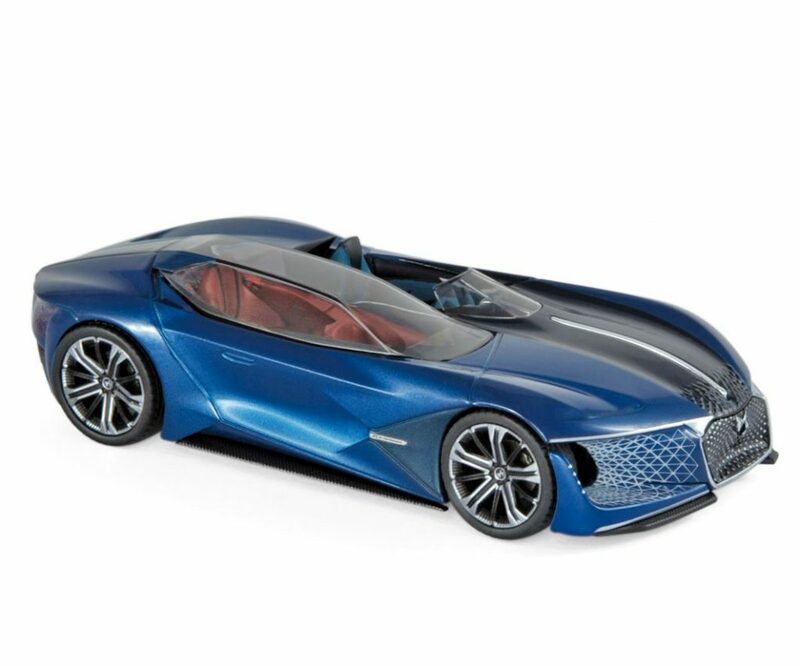 Back to Norev “dealer” releases : Renault completed its “concept cars” series with the RS 2027 Vision (code 315381) and the 2017 Symbioz (code 315382) and released a set (code 315383) completed with the 2016 Trezor (code 315380), already seen. 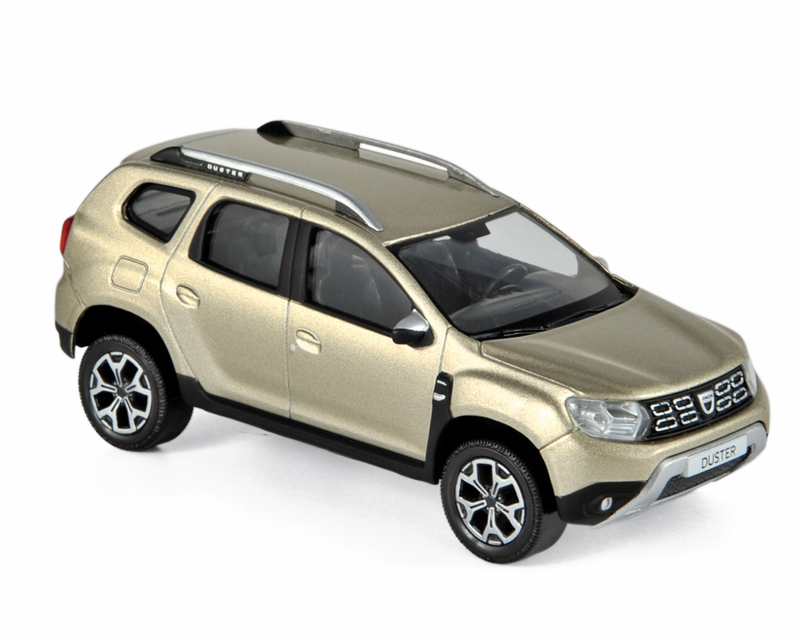 Previously there was the 2018 Megane RS, in orange (code 315148) or yellow (code 315149), while Citroën released a second issue of the 2018 C5 Aircross (code AMC 019 1183) in four different colours. 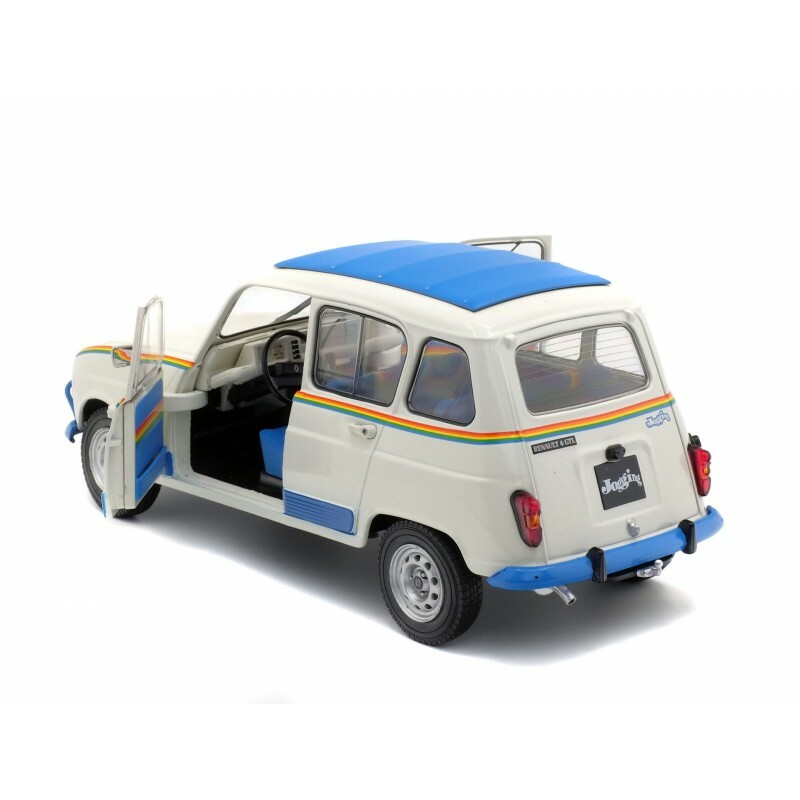 Small, but very very nice. 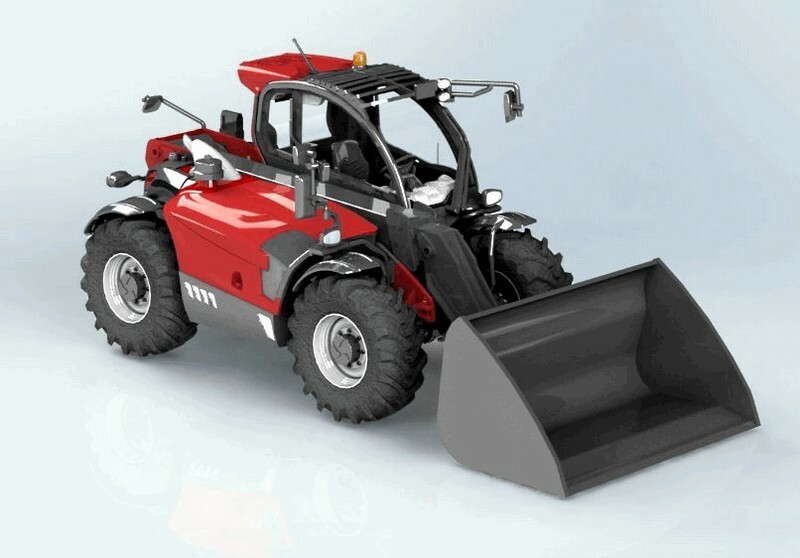 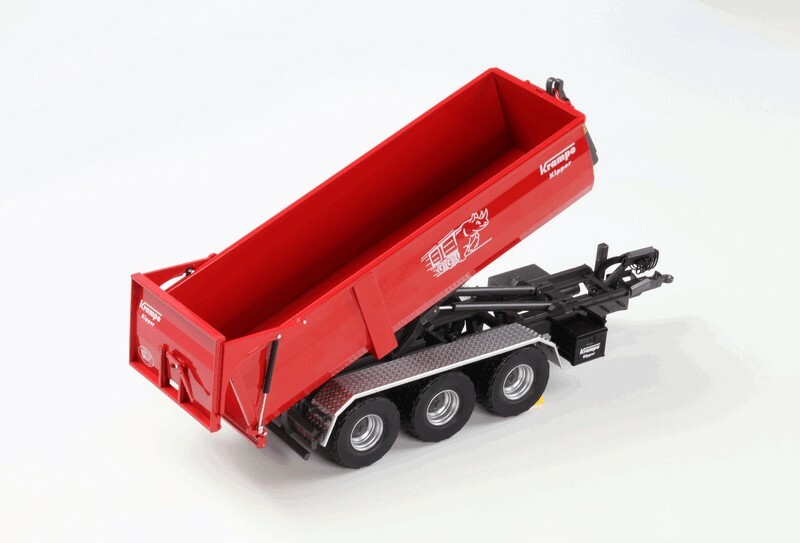 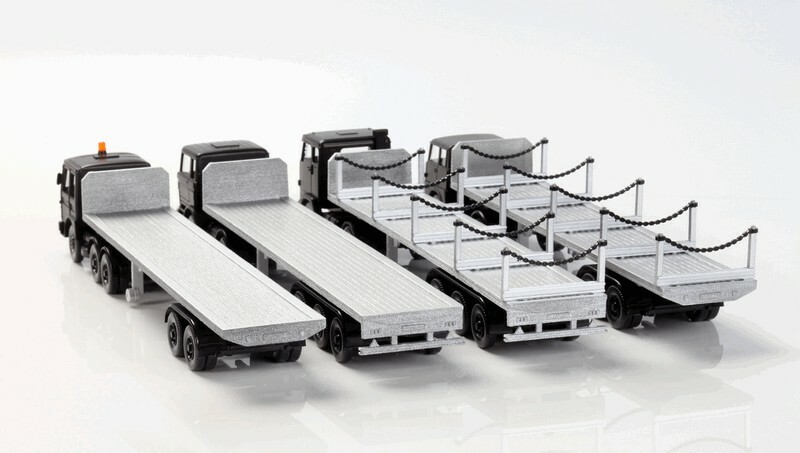 Here are the models announced by Norev for introduction in January 2019. 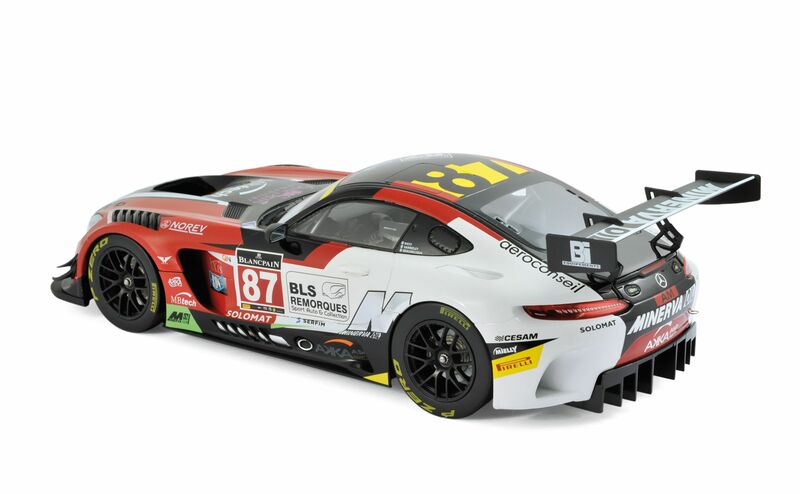 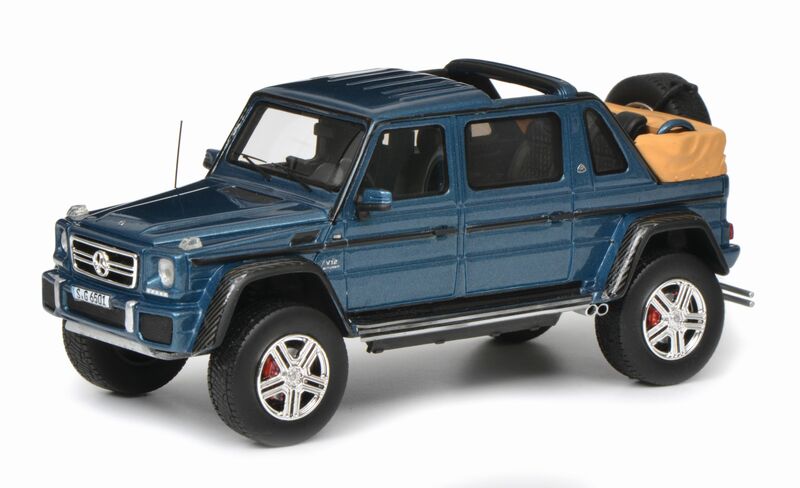 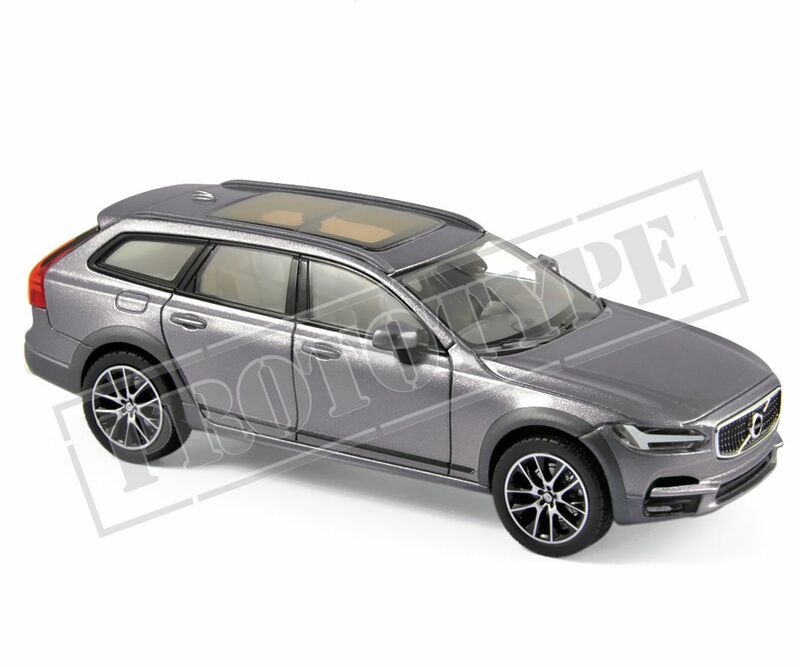 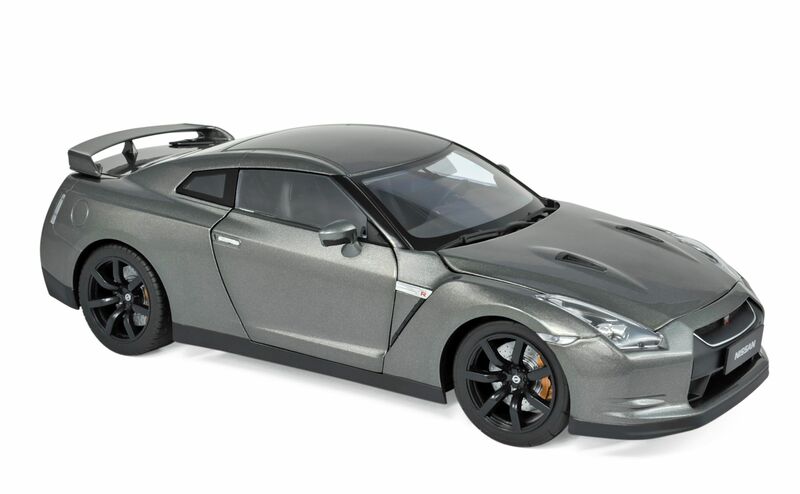 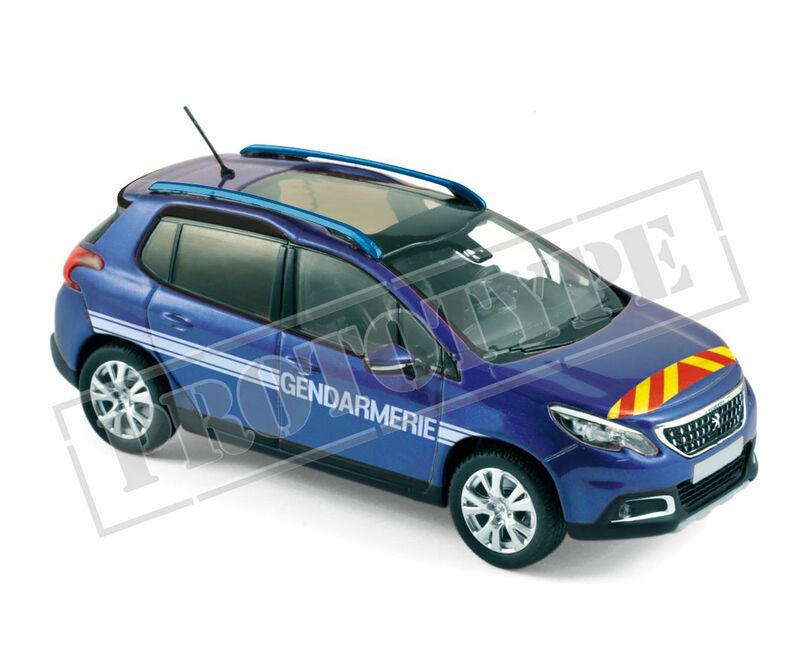 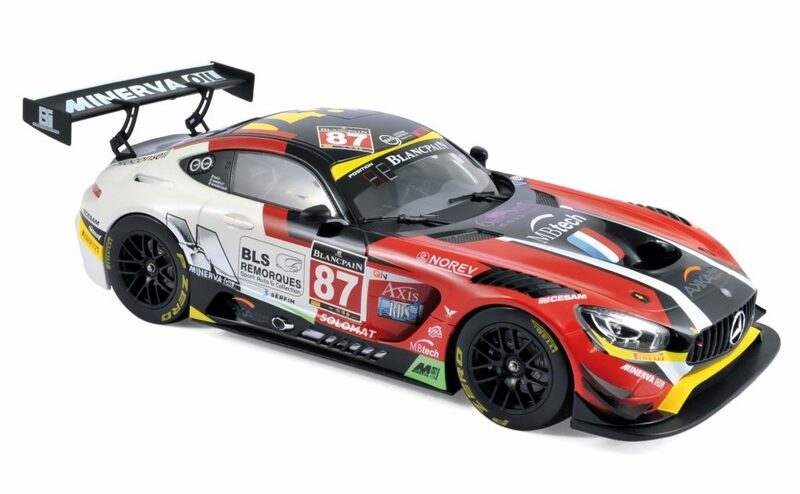 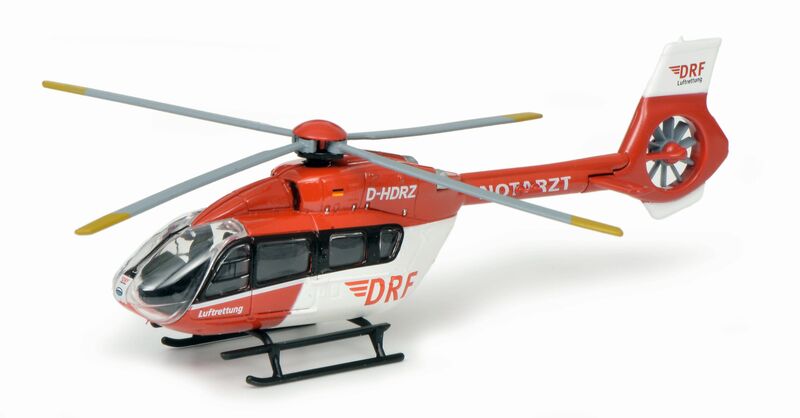 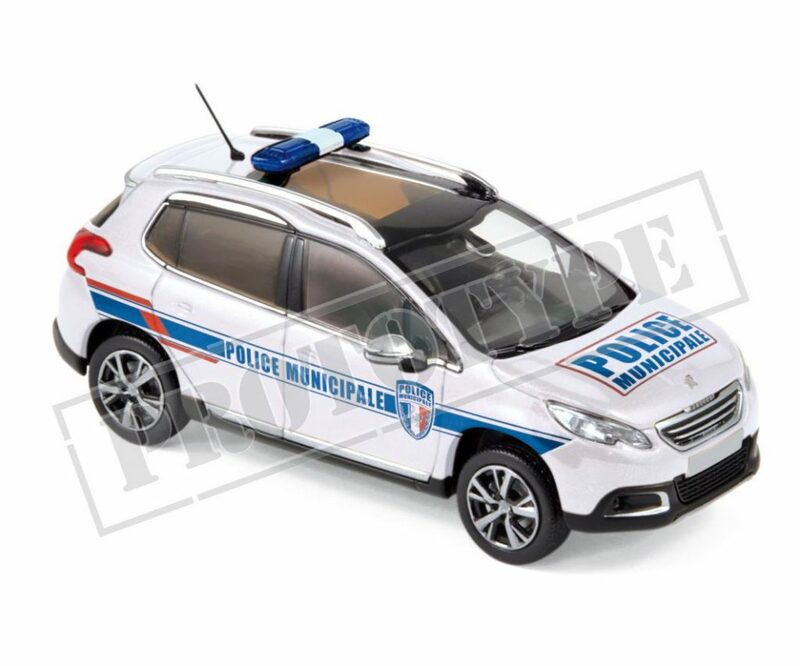 As usual these are diecast models made in China for France unless otherwise stated. 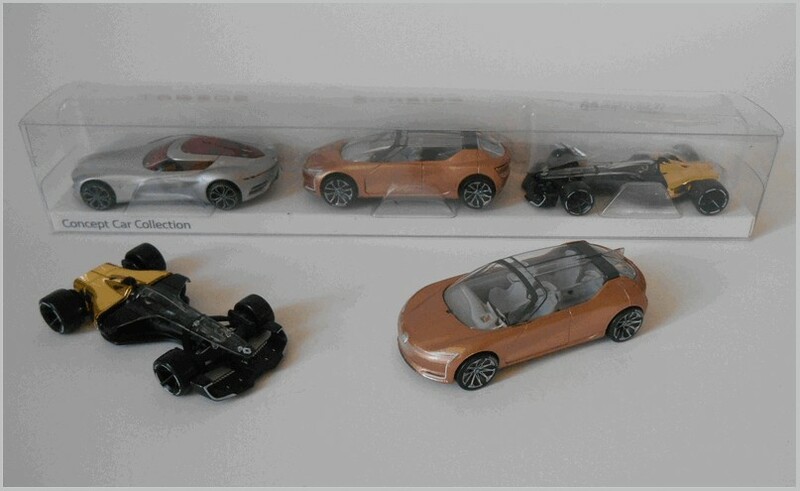 Many pictures are of pre-production samples and those are over printed to make it clear that changes may occur before the models ship. 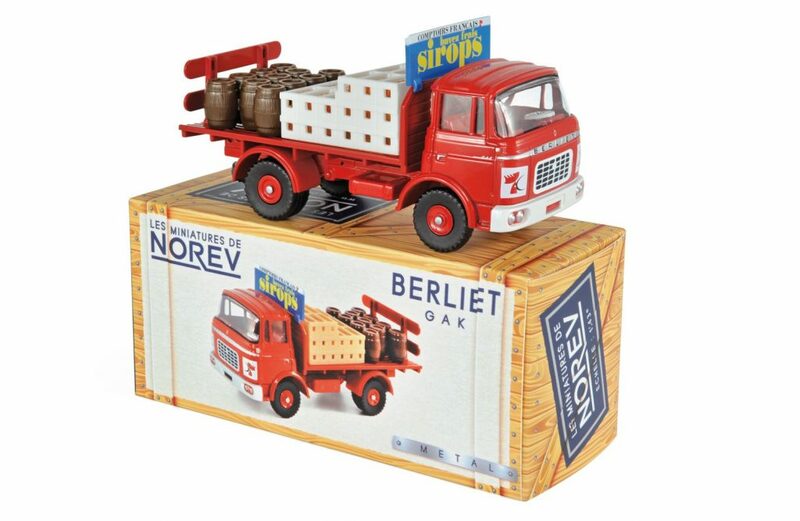 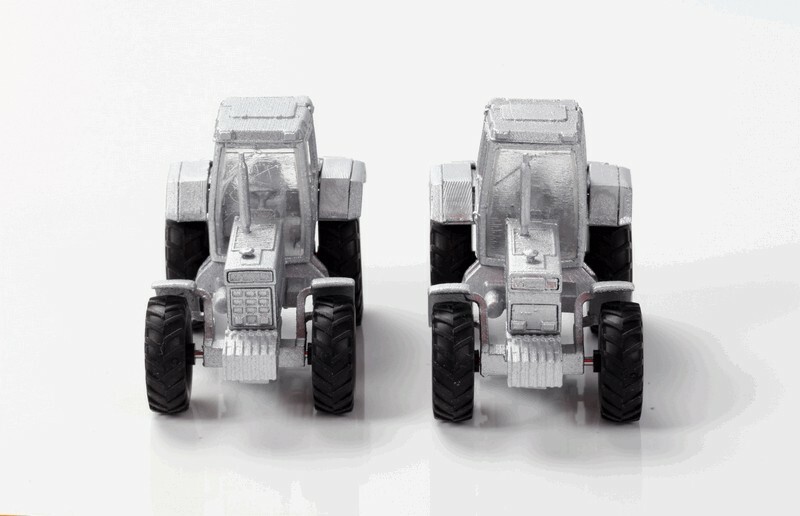 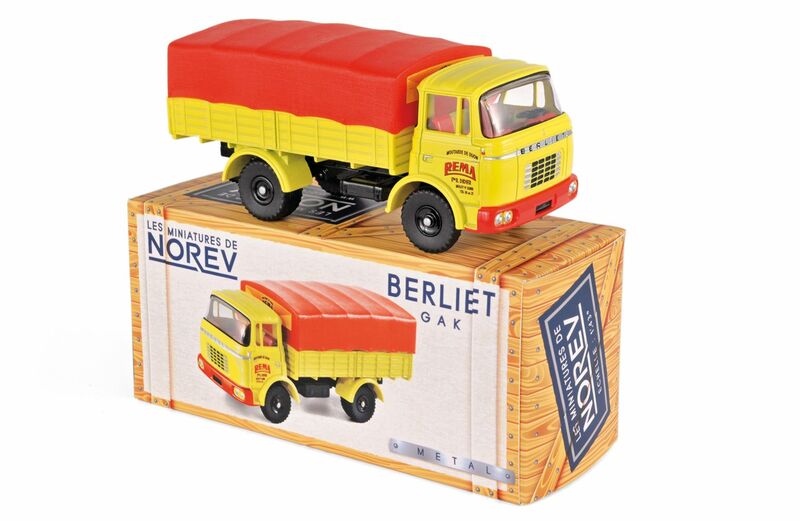 This range is modelled on the Atlas Dinky or Dan Toys ranges both actually made in Norev’s Chinese plant too. 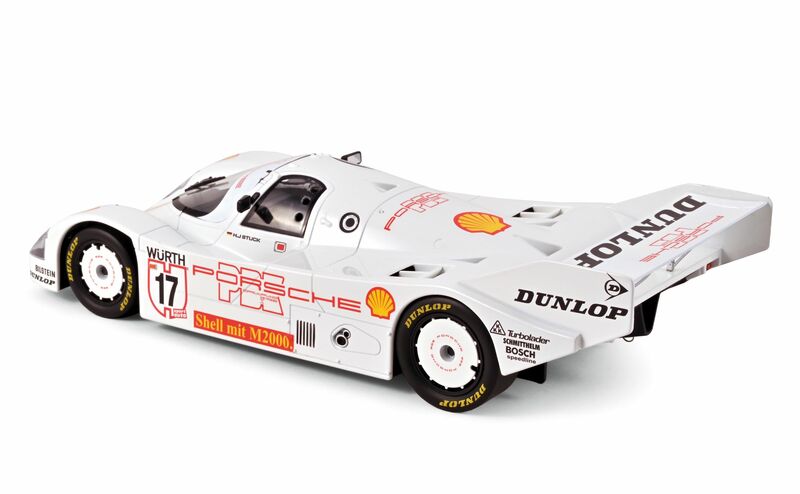 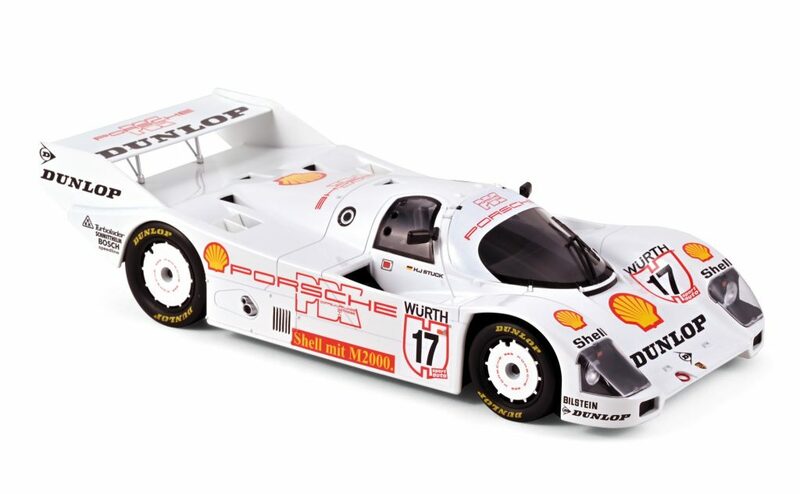 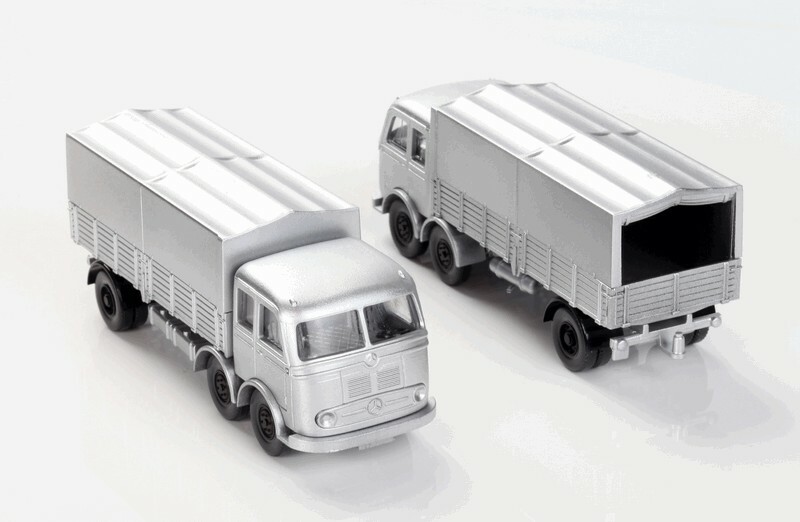 These versions carry interesting period liveries in boxes in a style used by Norev when they made their models in plastic. 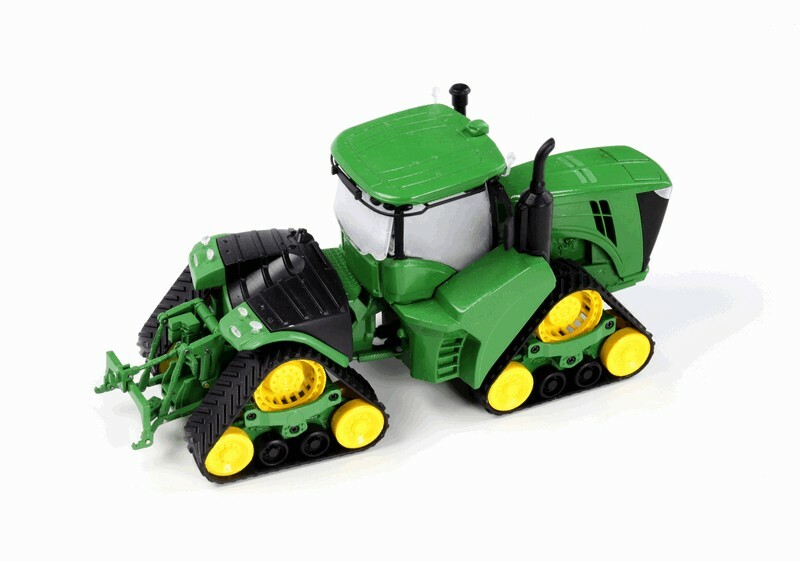 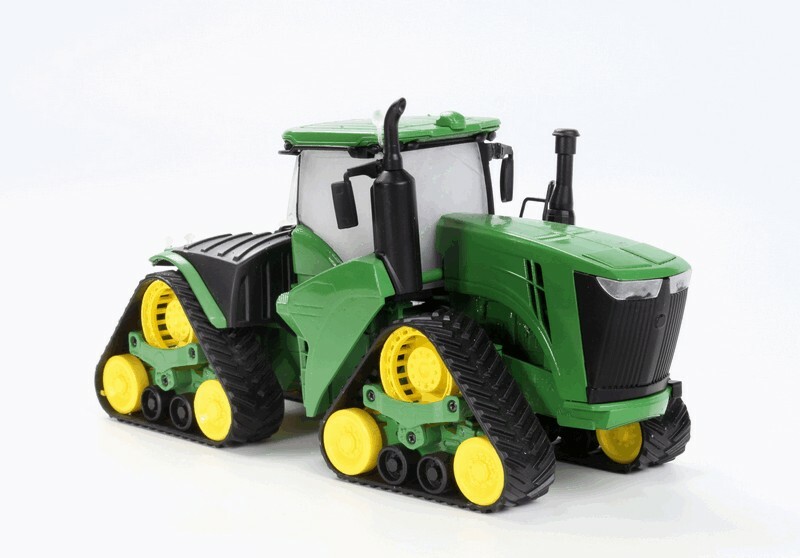 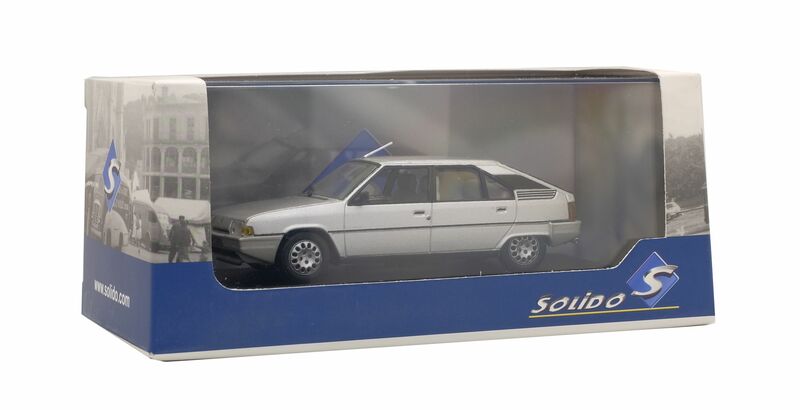 The Solido models shown should all be available now. 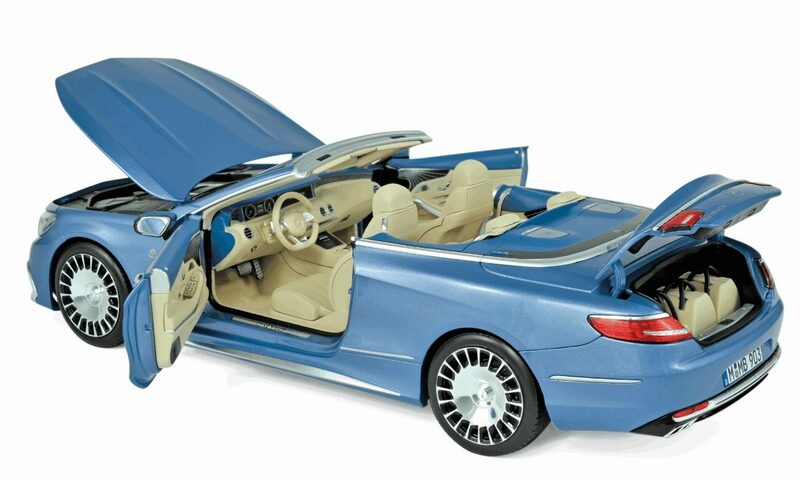 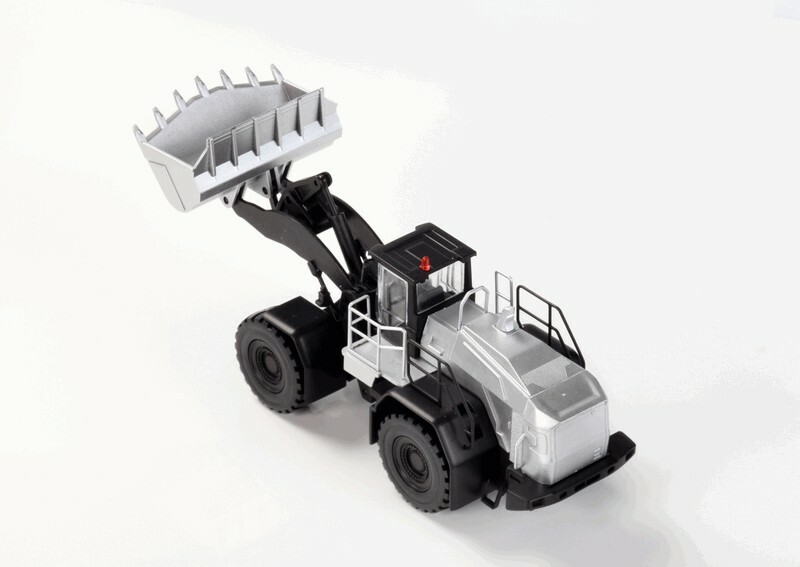 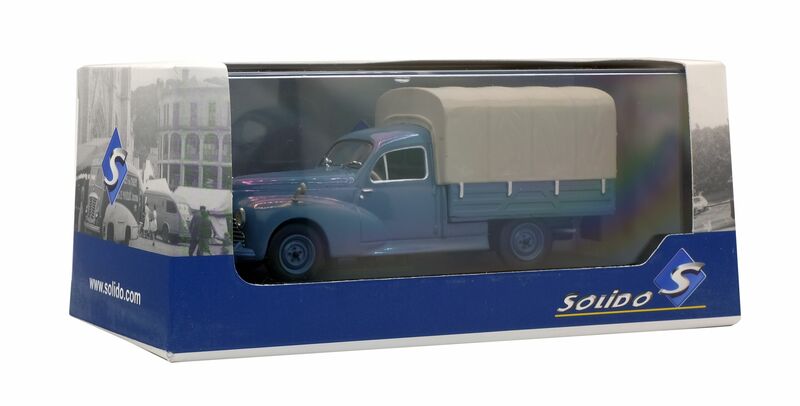 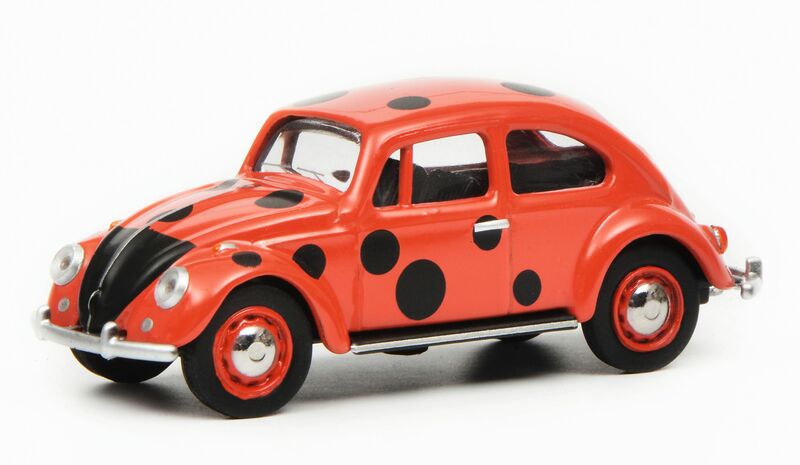 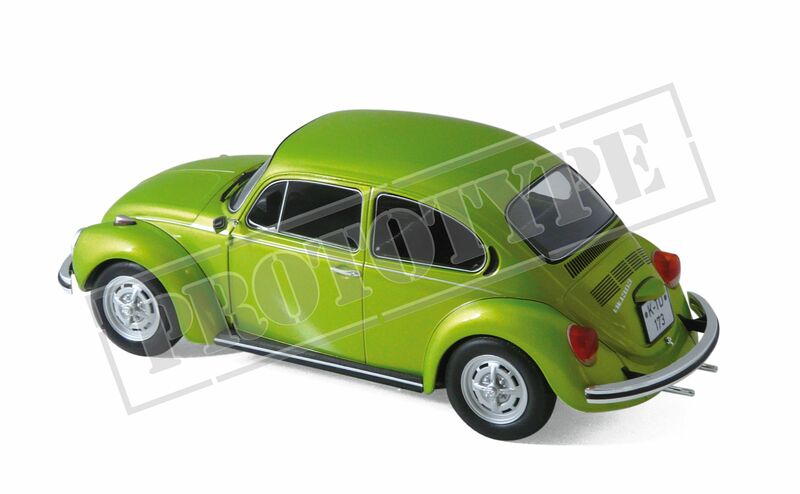 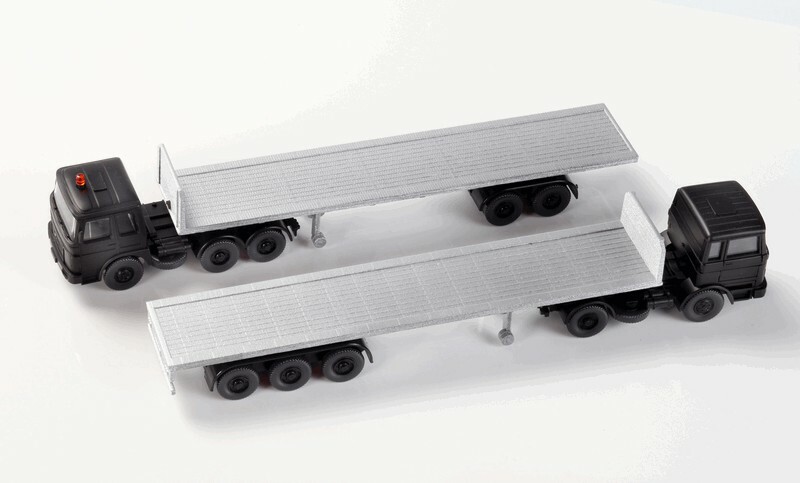 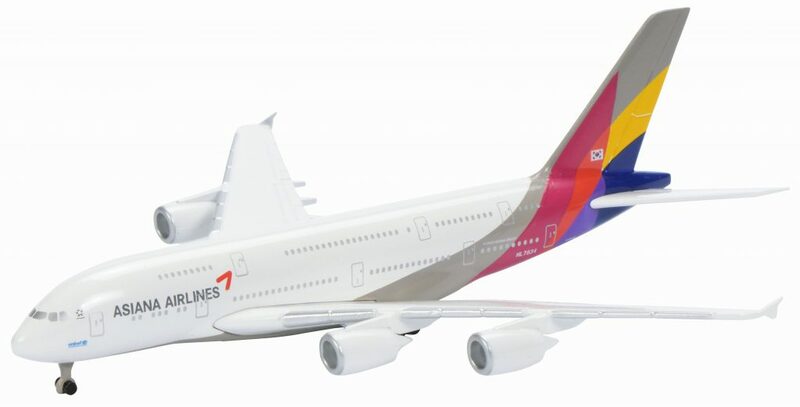 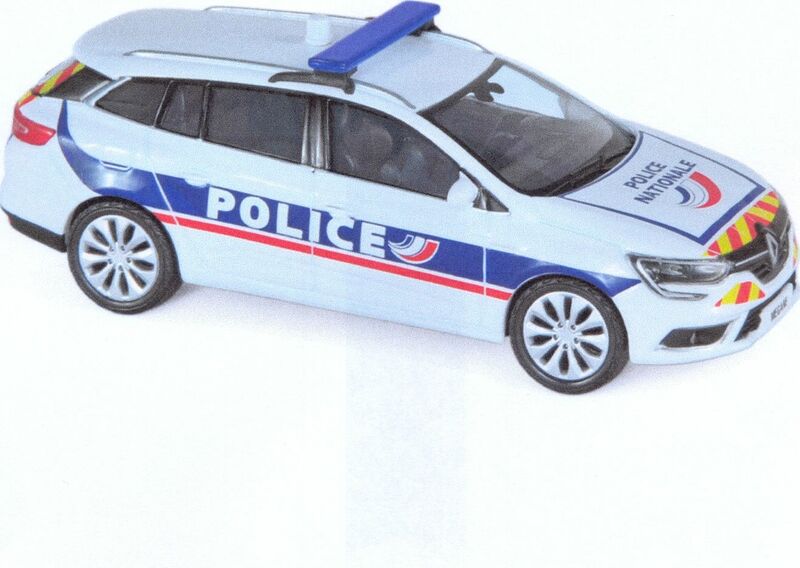 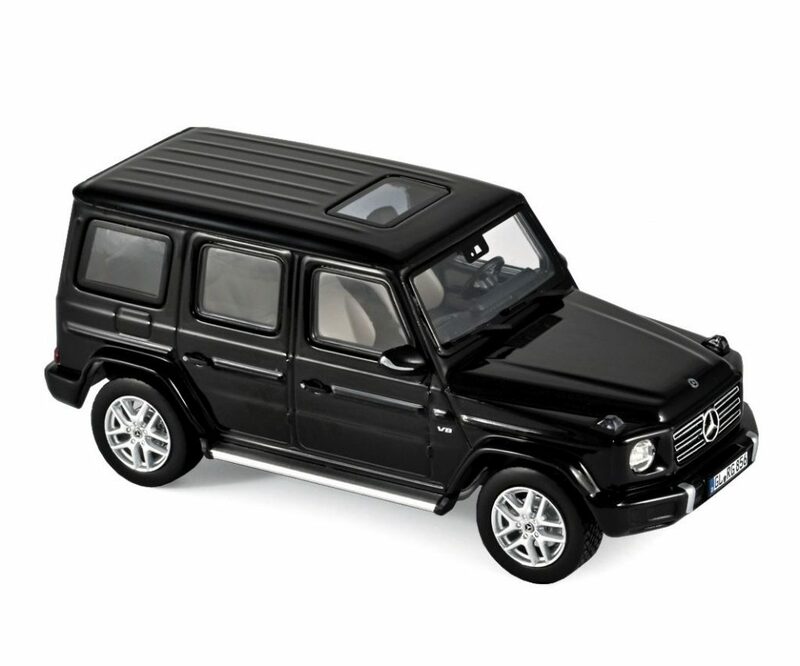 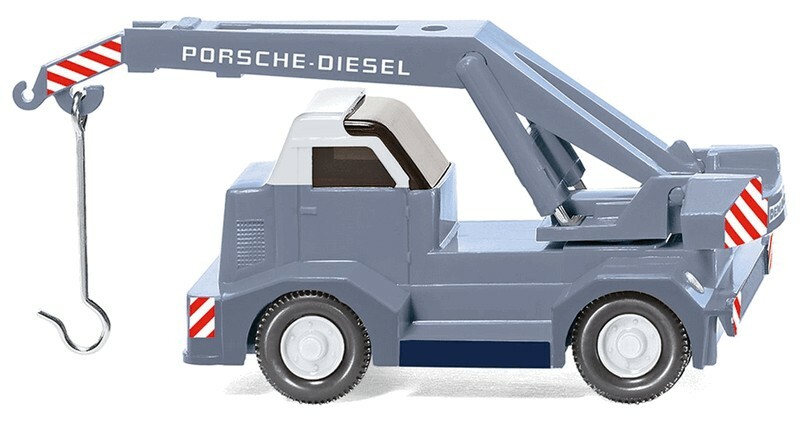 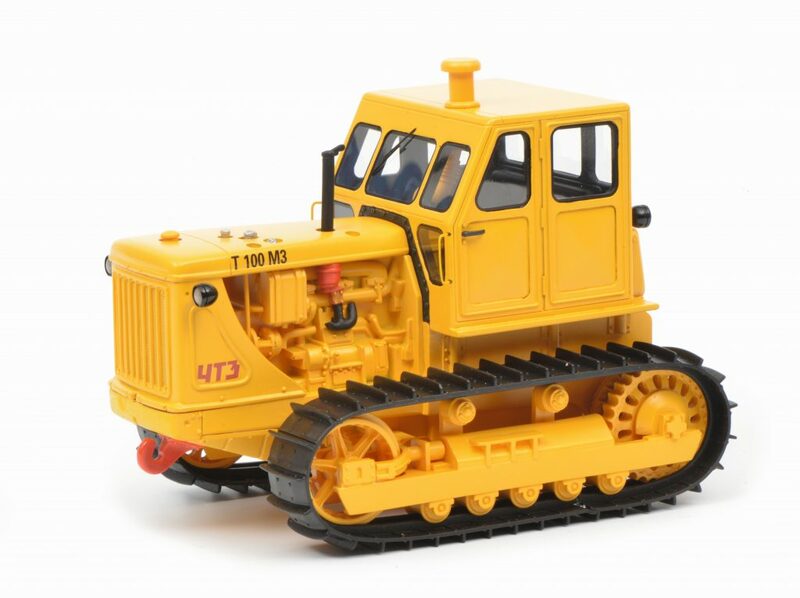 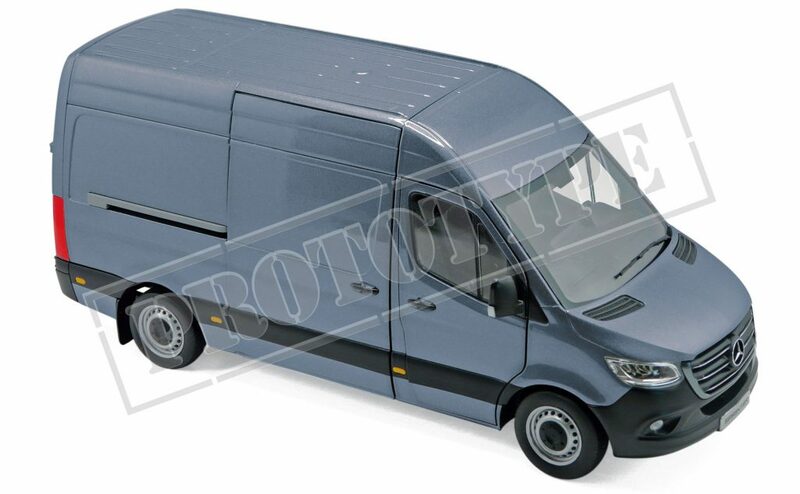 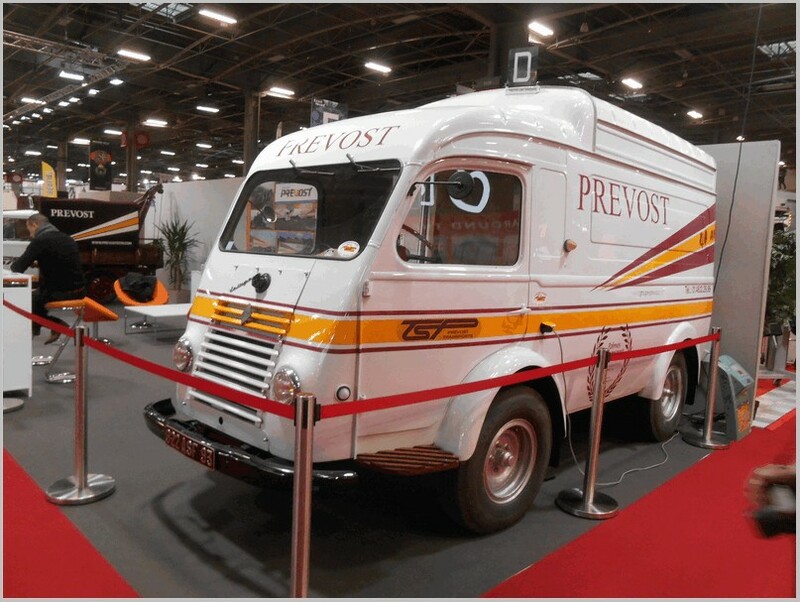 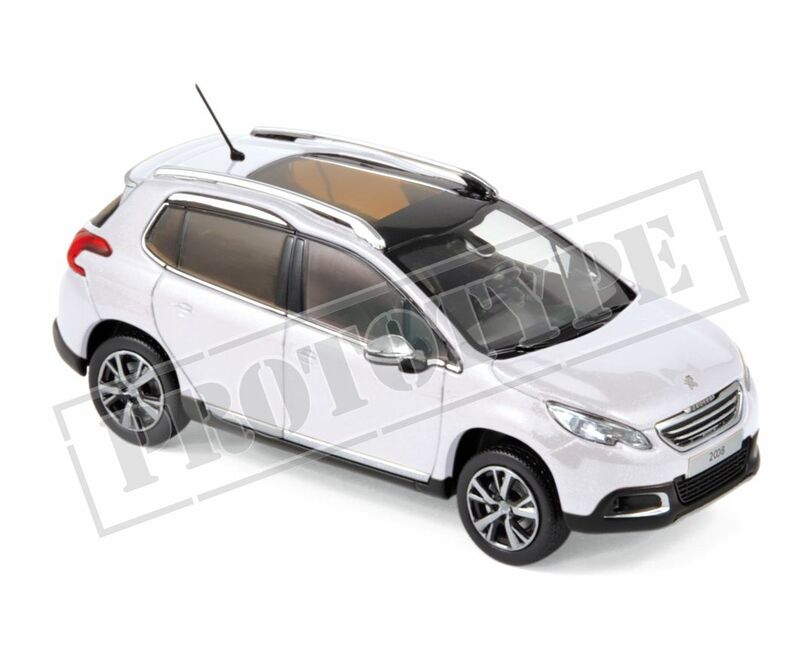 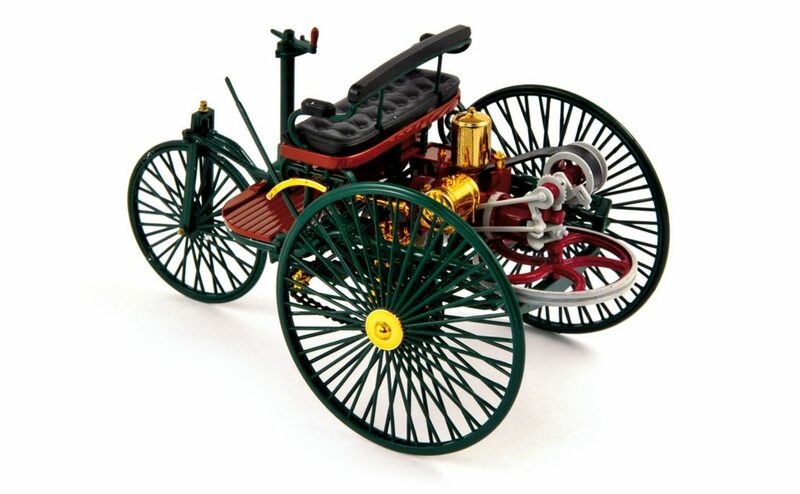 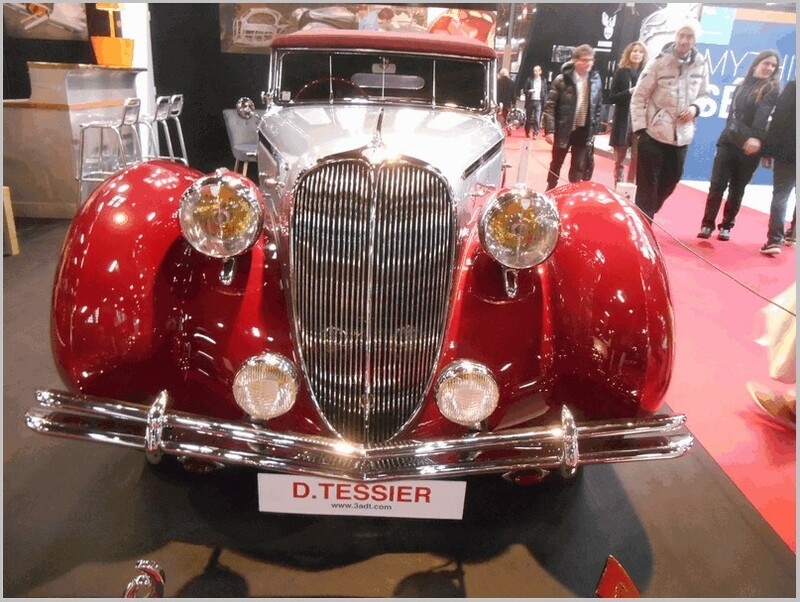 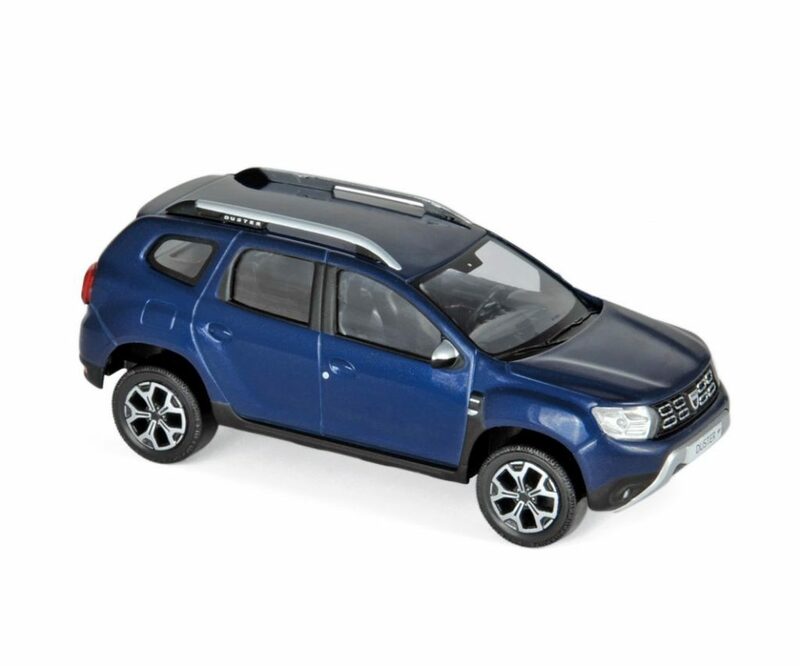 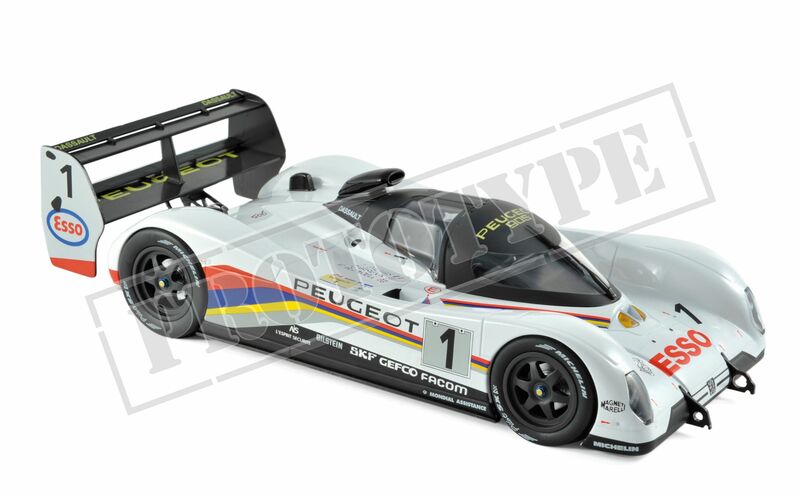 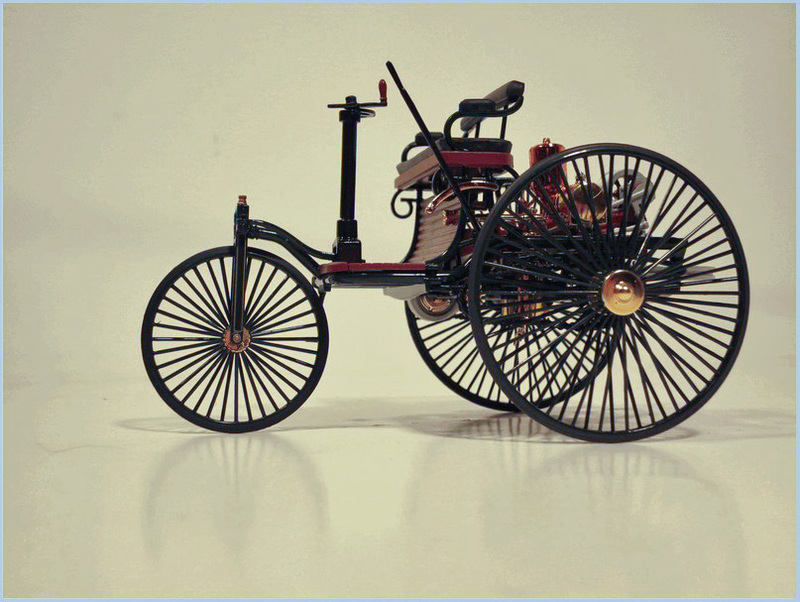 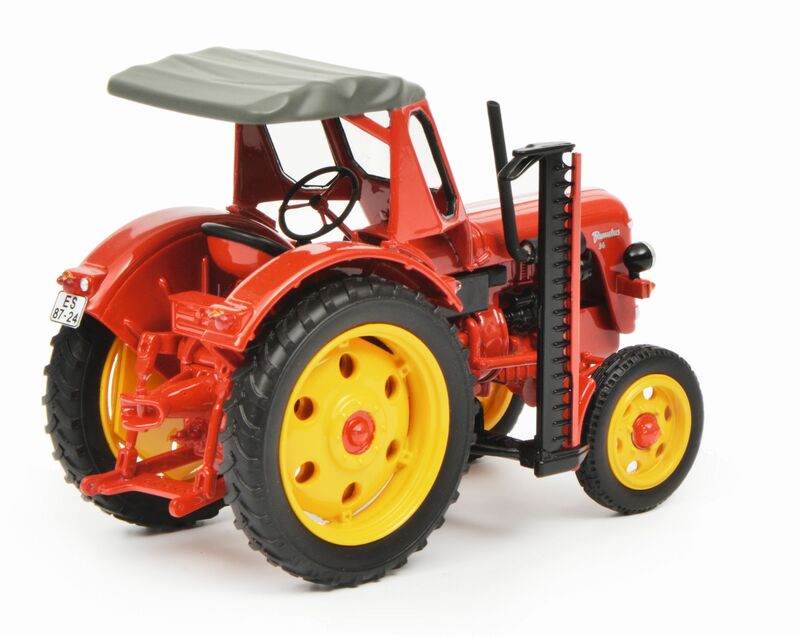 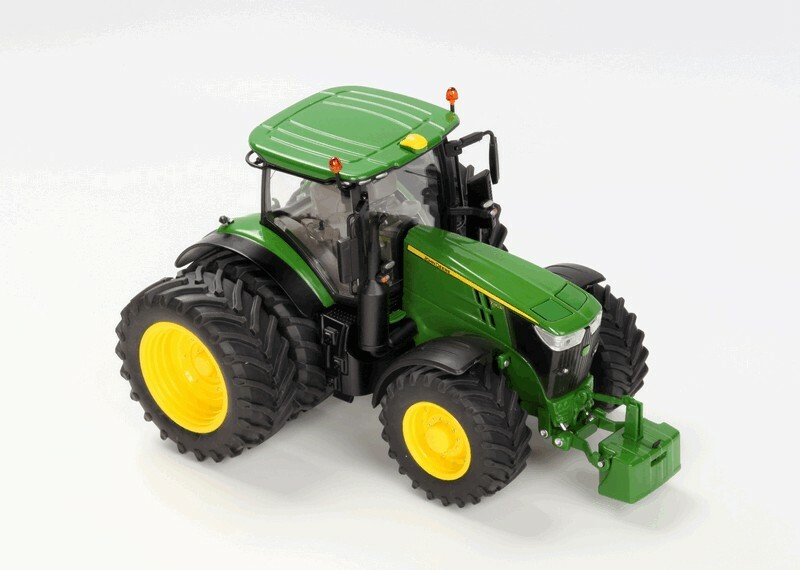 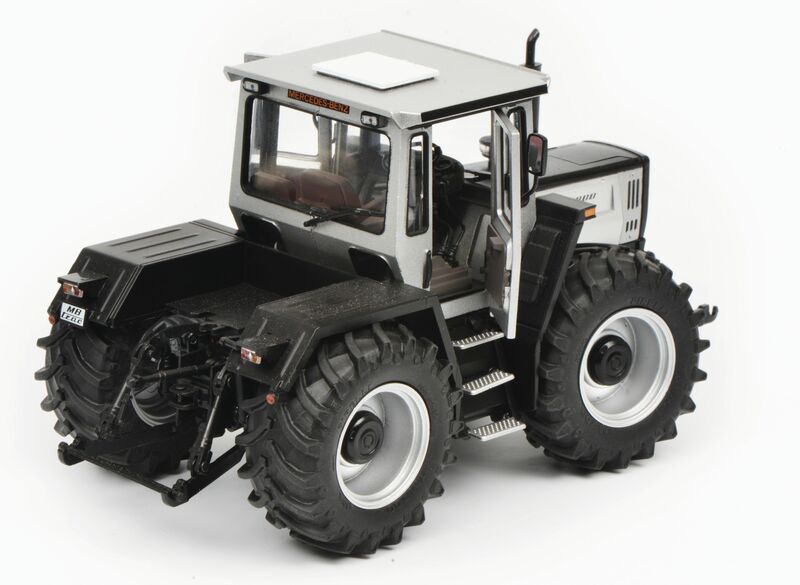 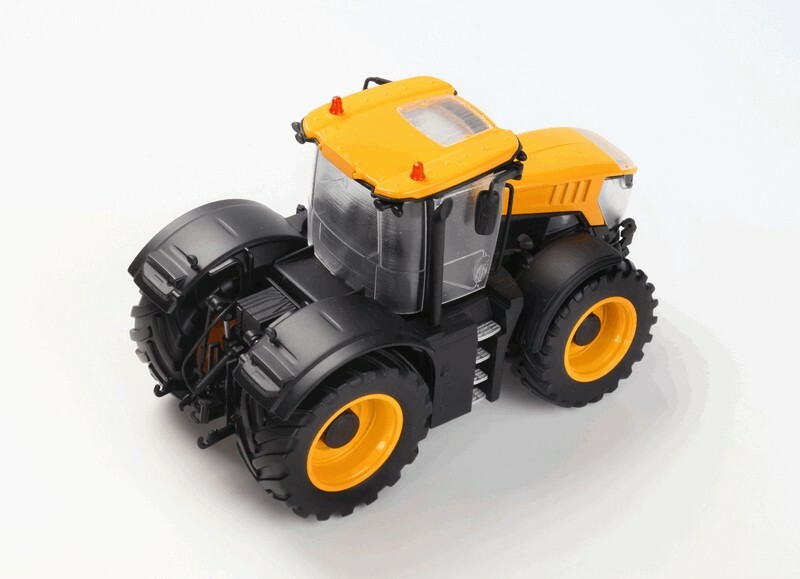 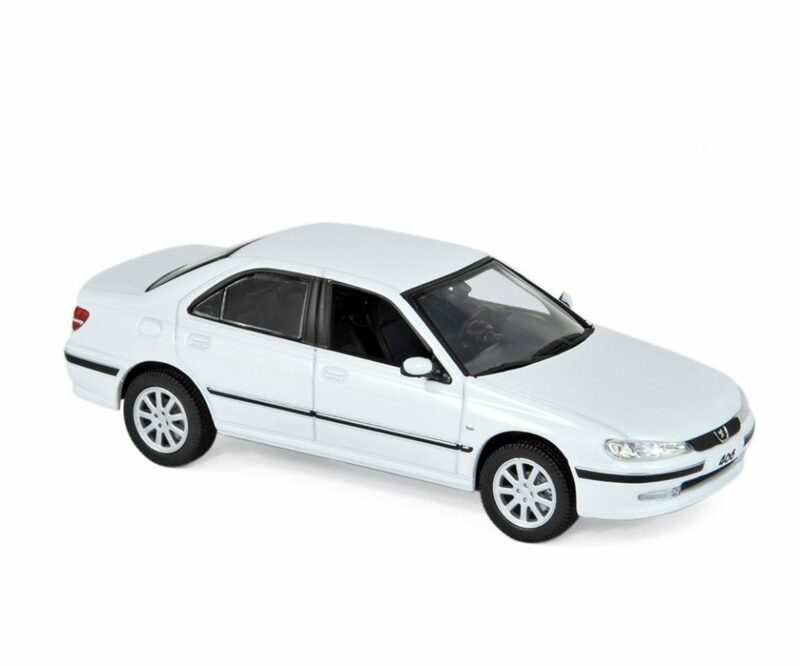 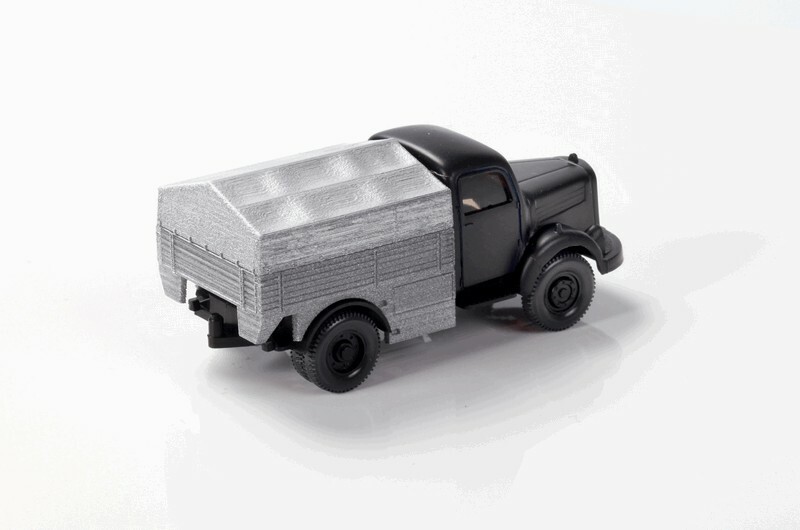 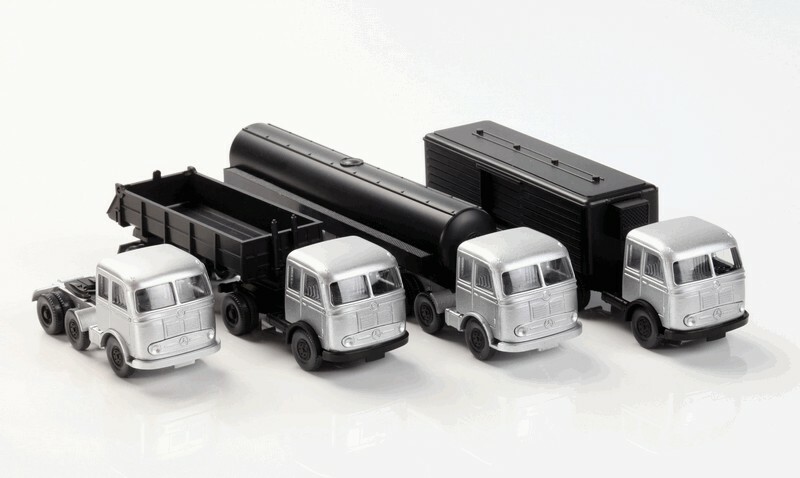 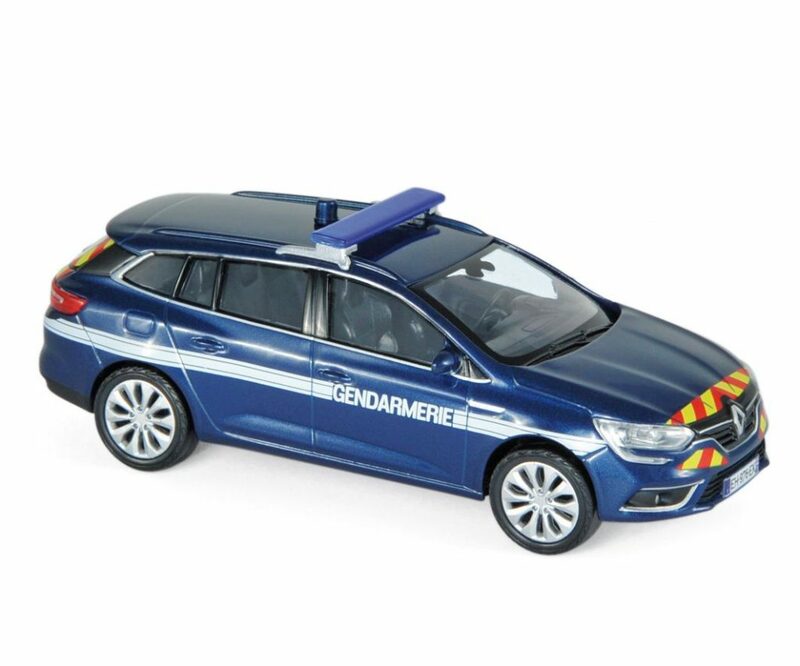 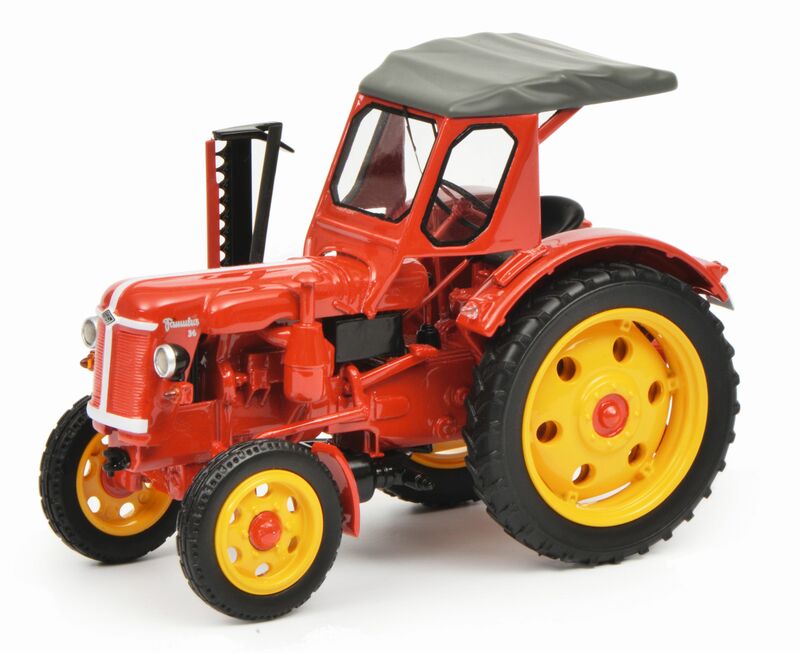 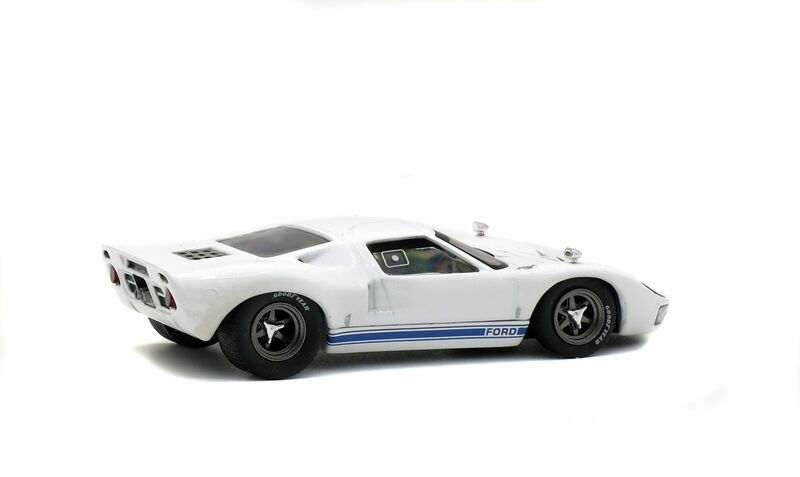 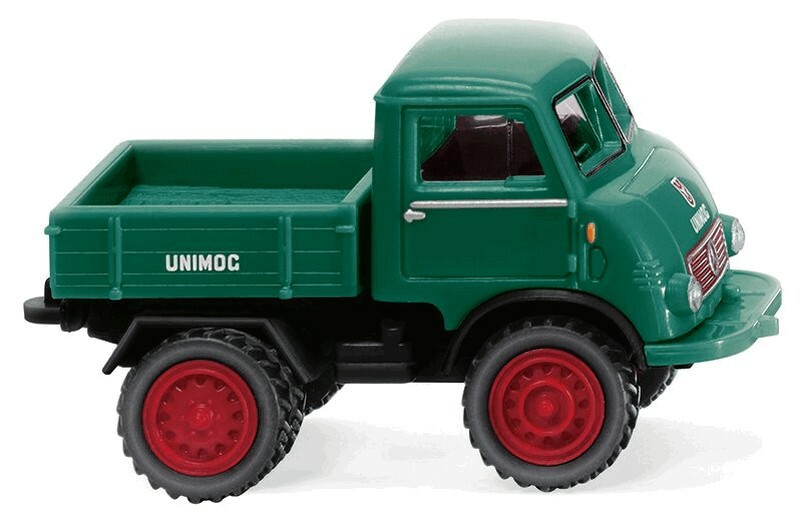 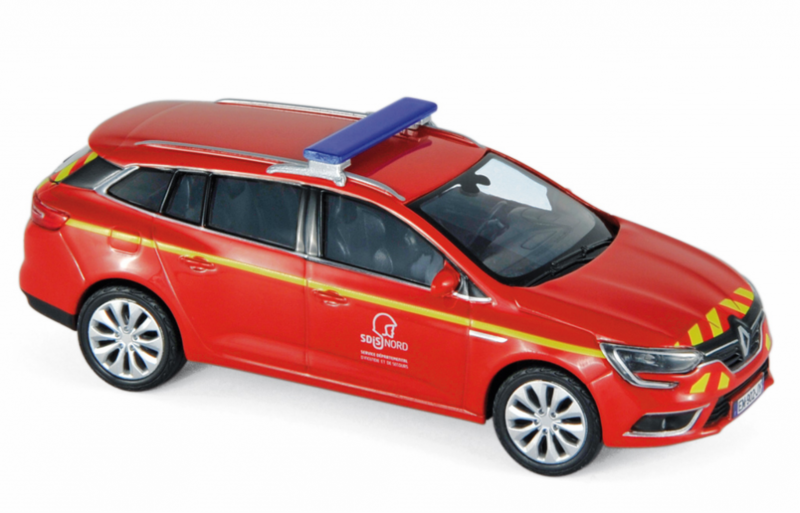 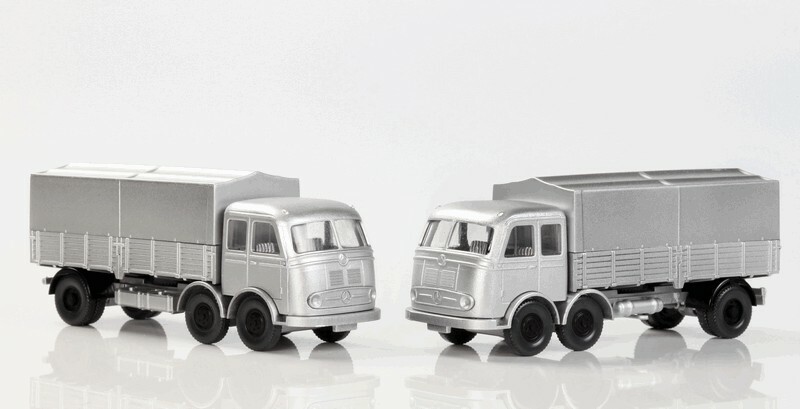 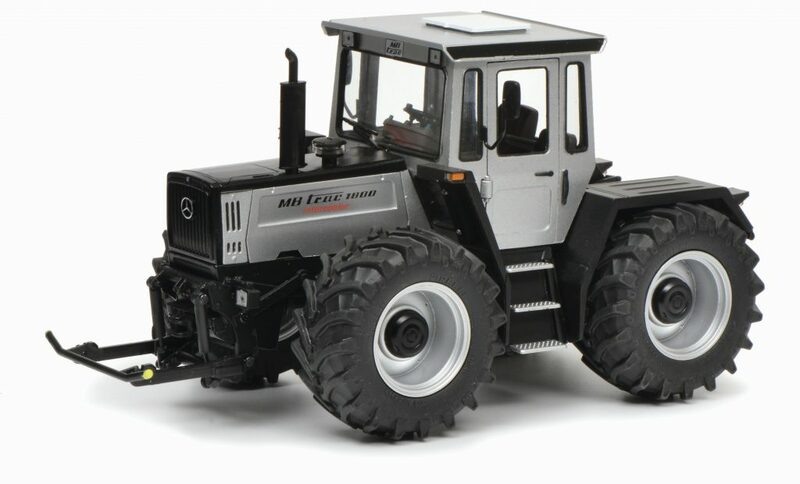 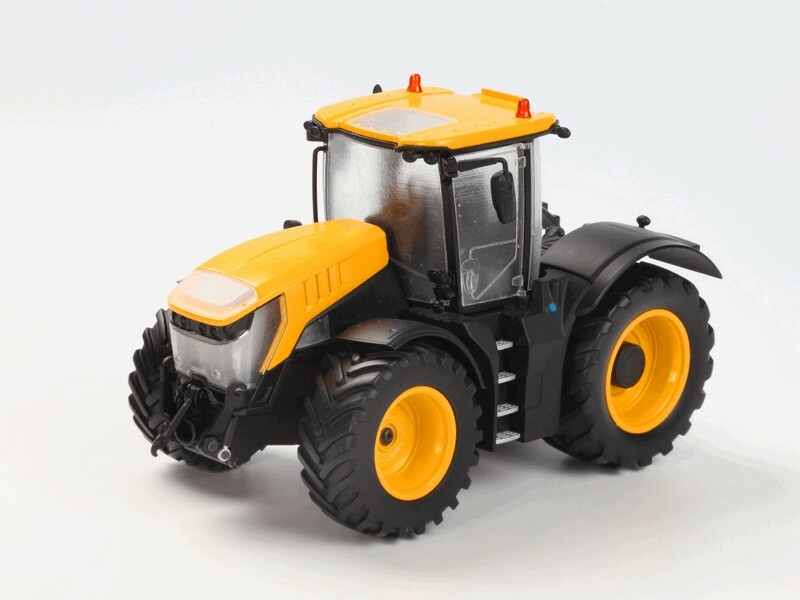 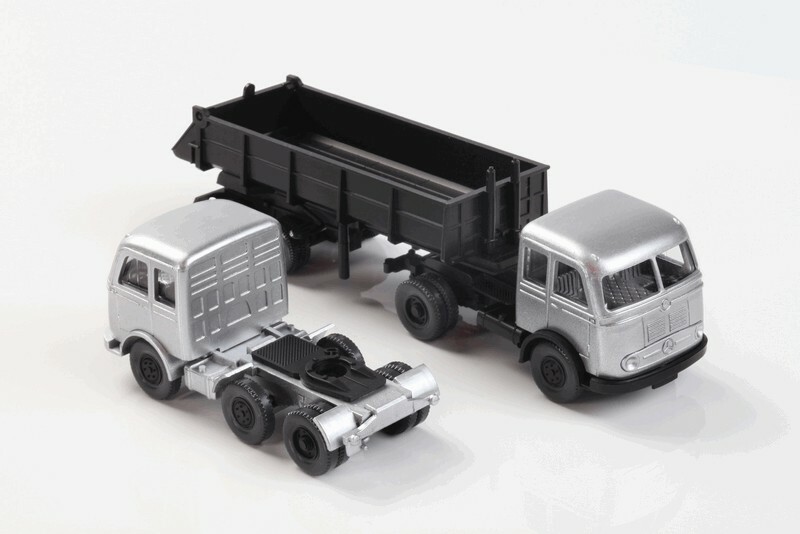 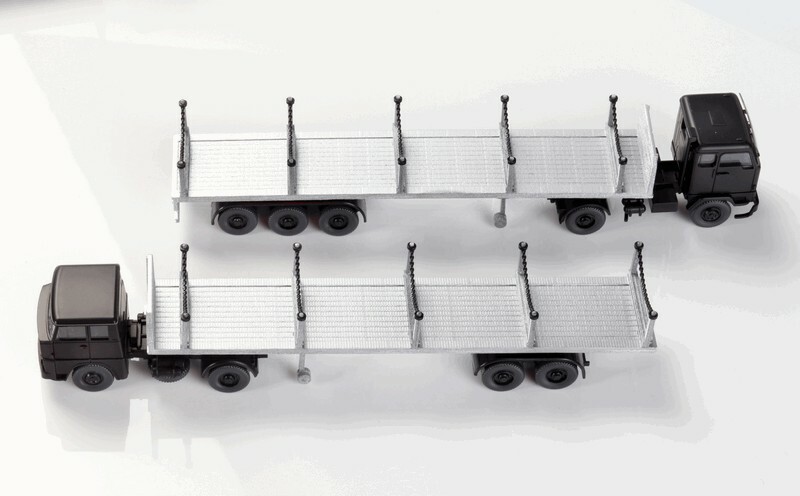 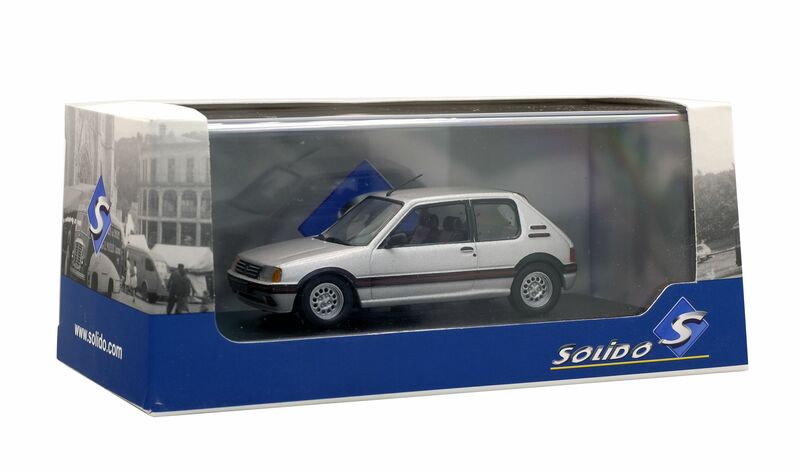 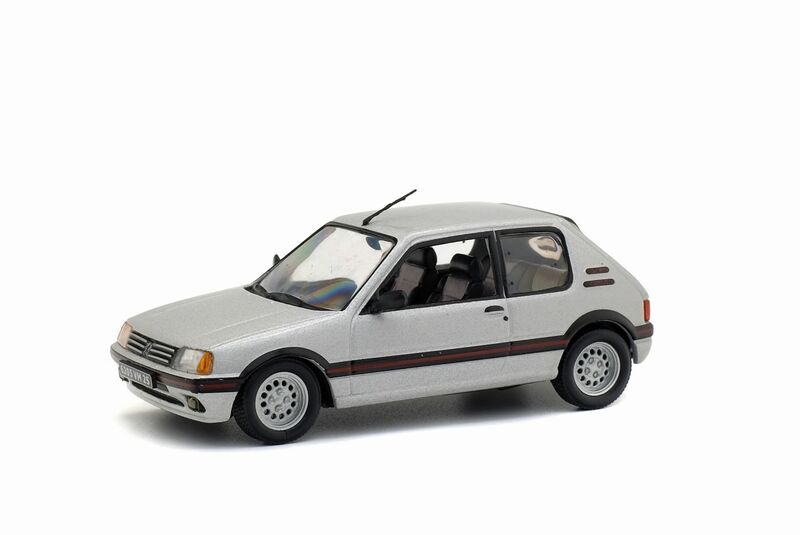 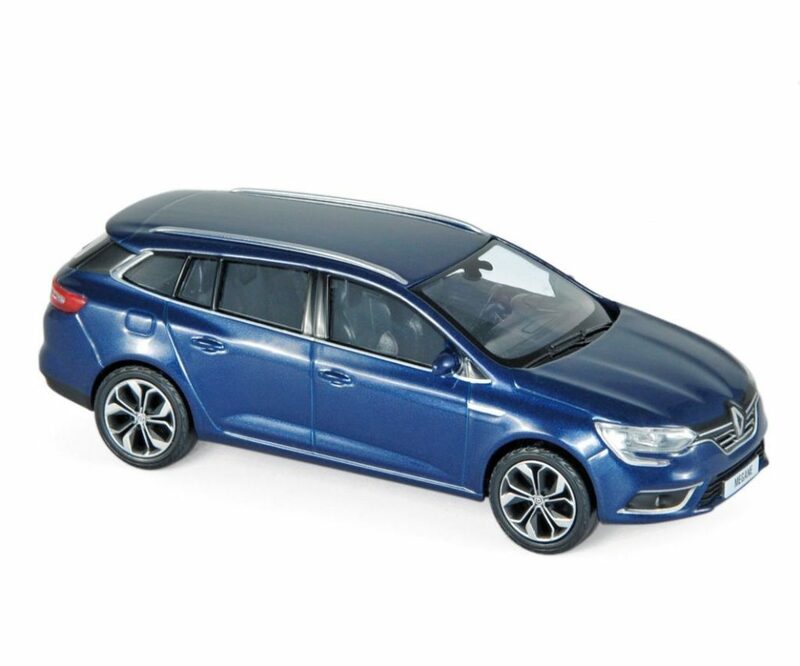 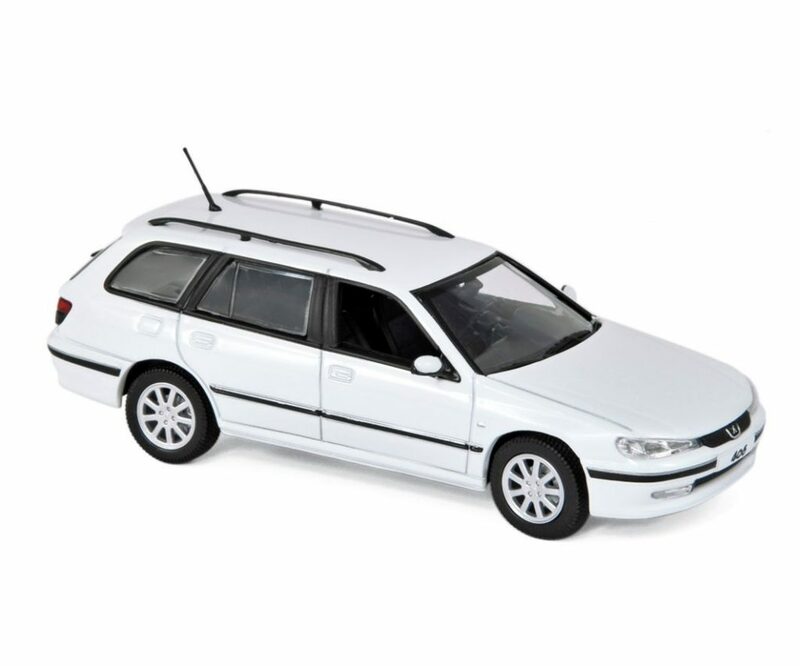 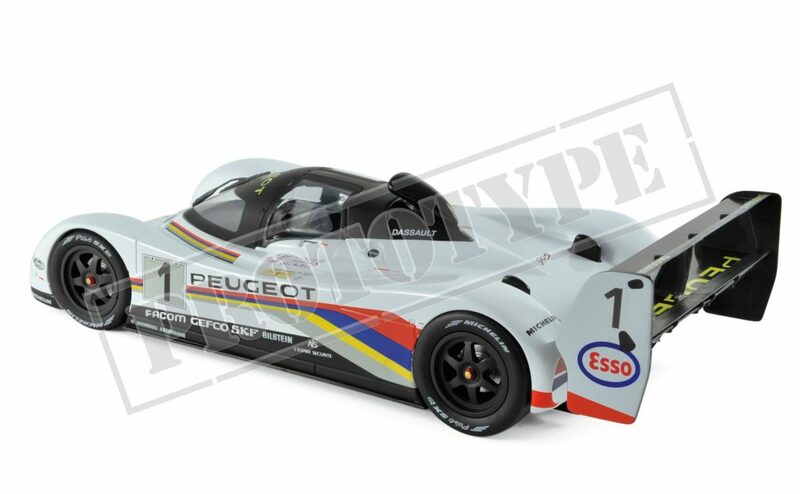 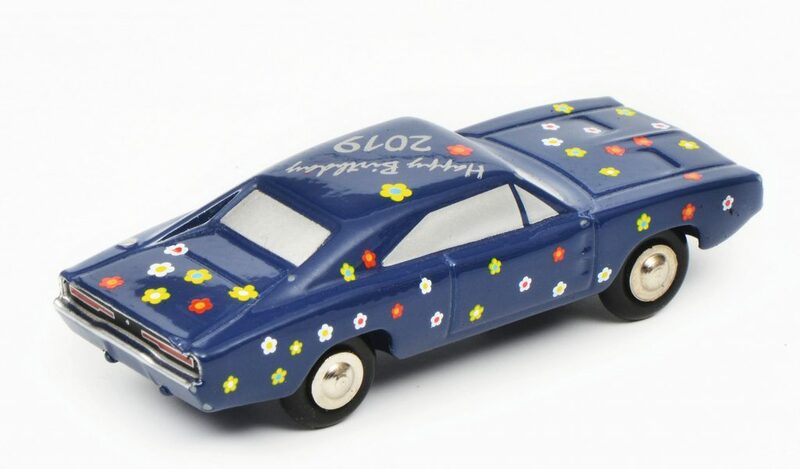 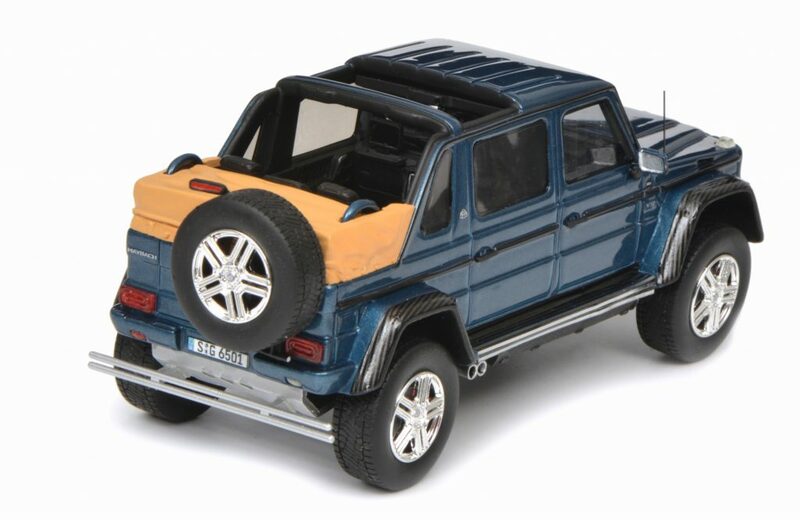 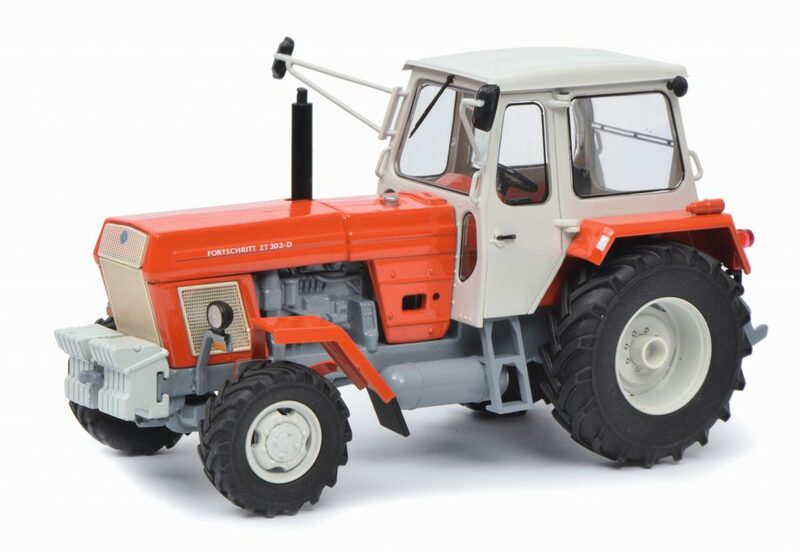 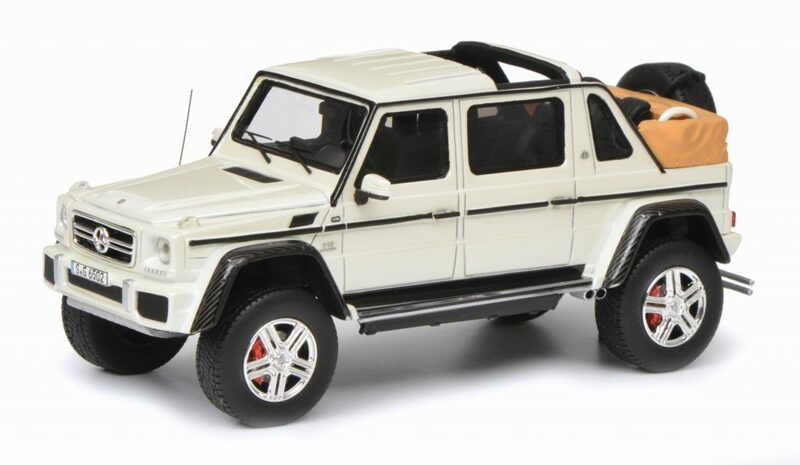 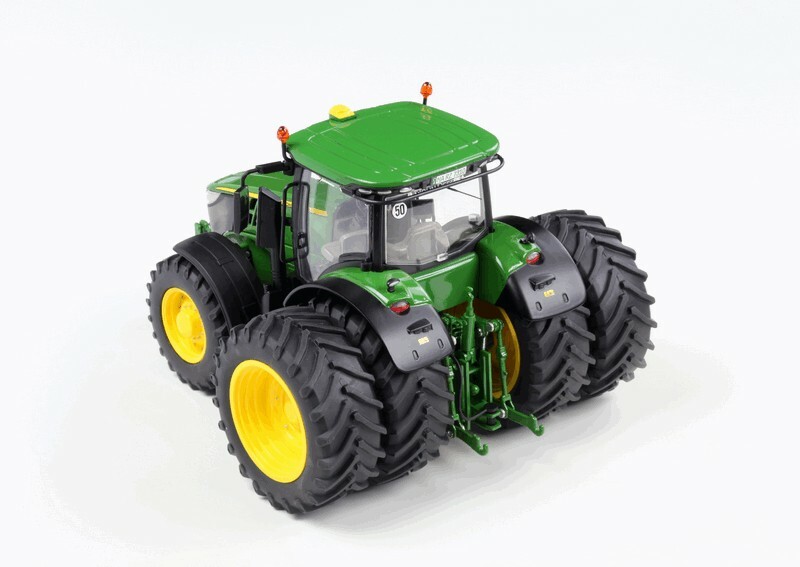 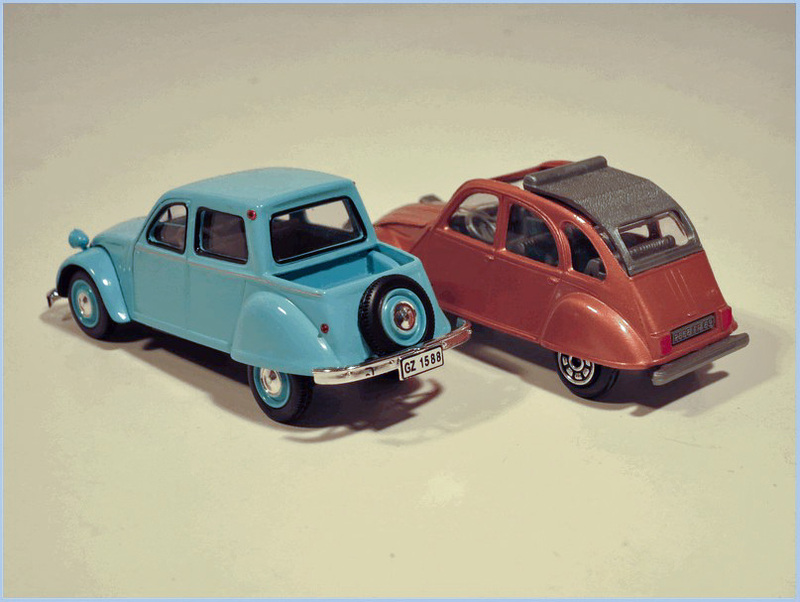 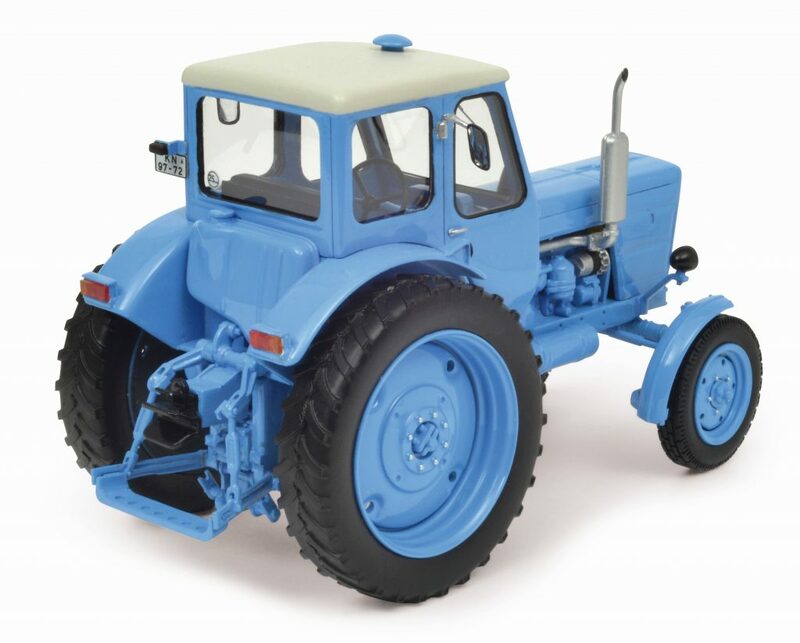 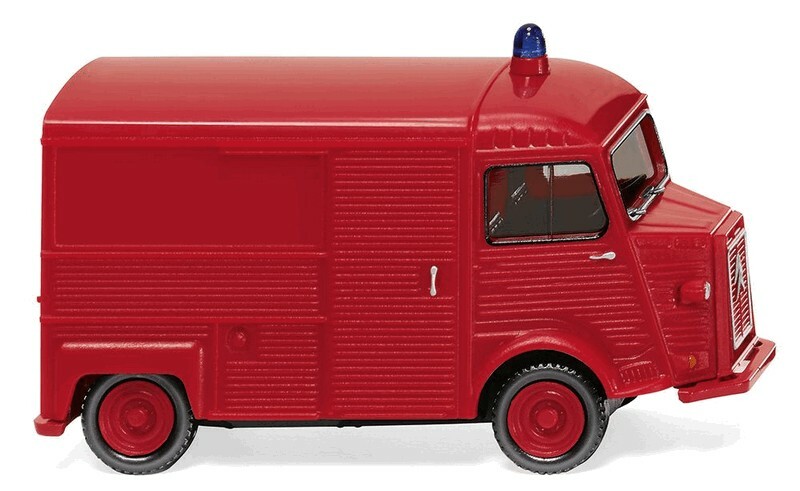 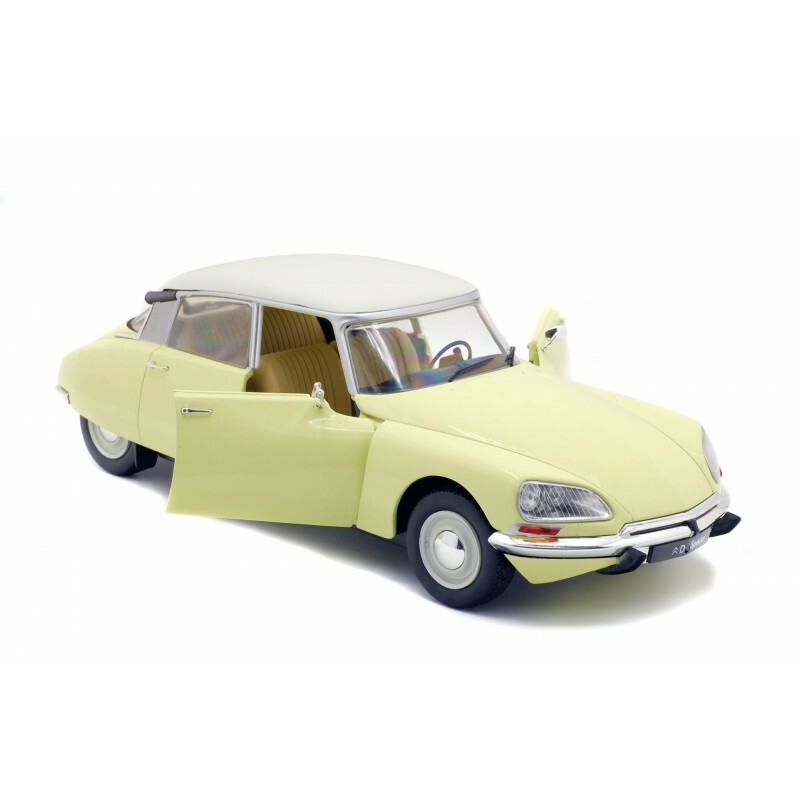 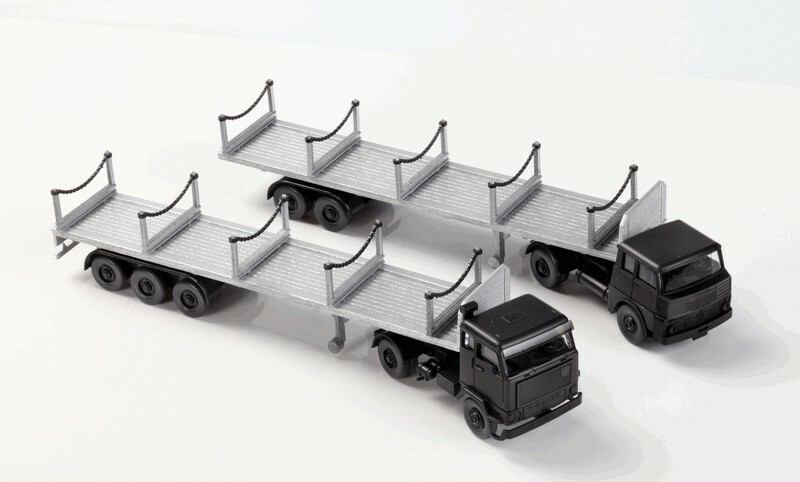 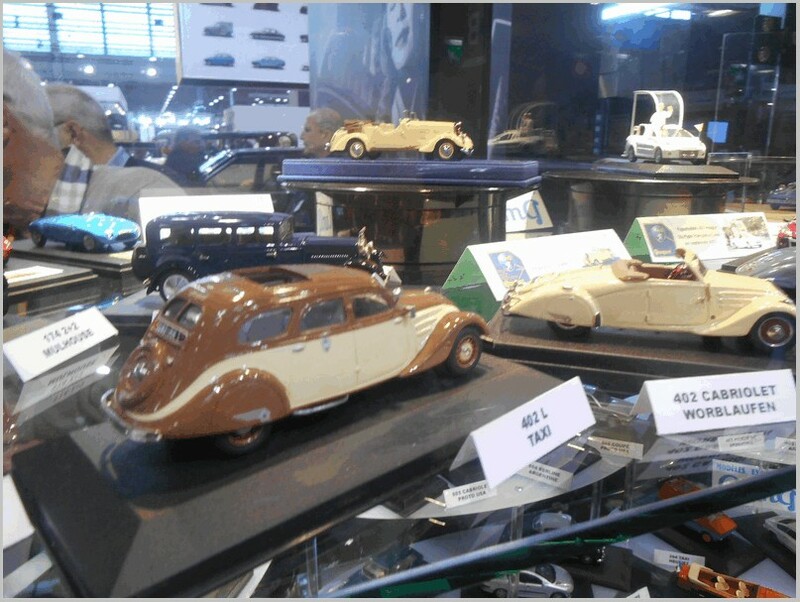 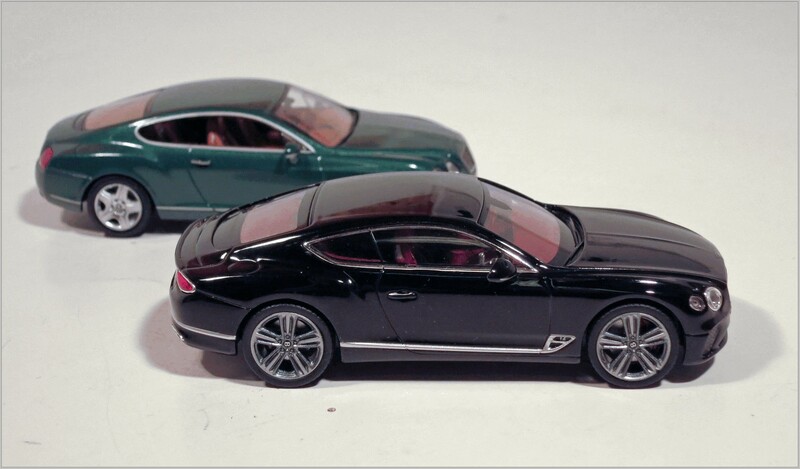 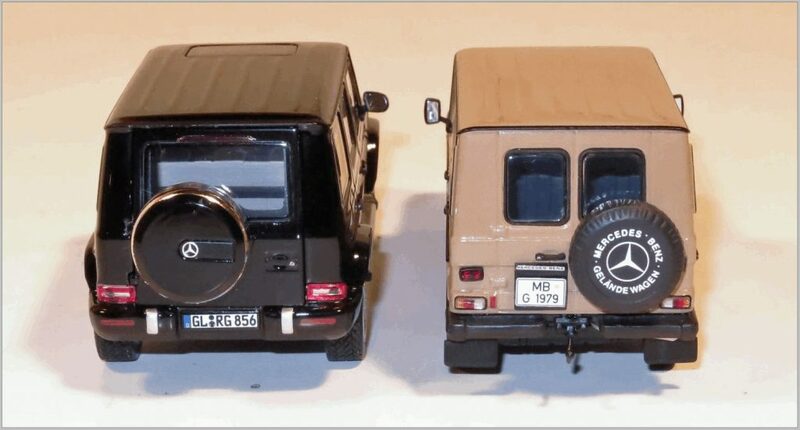 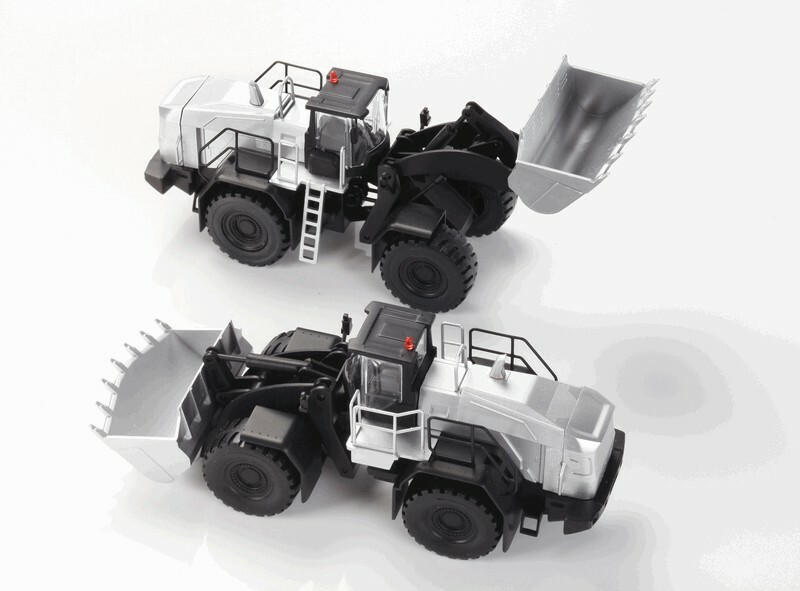 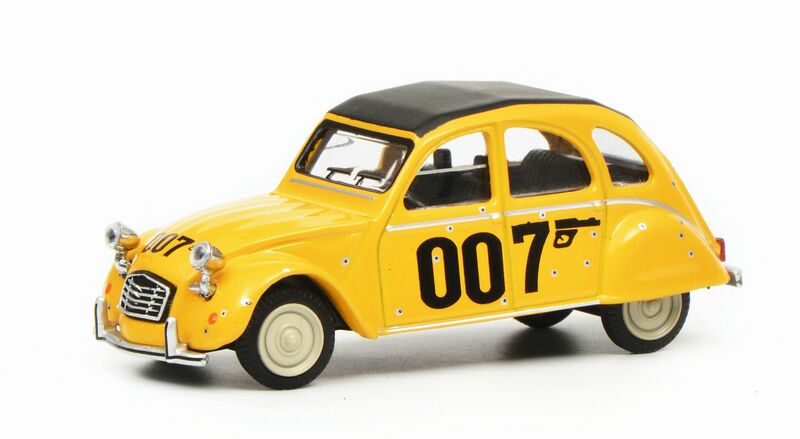 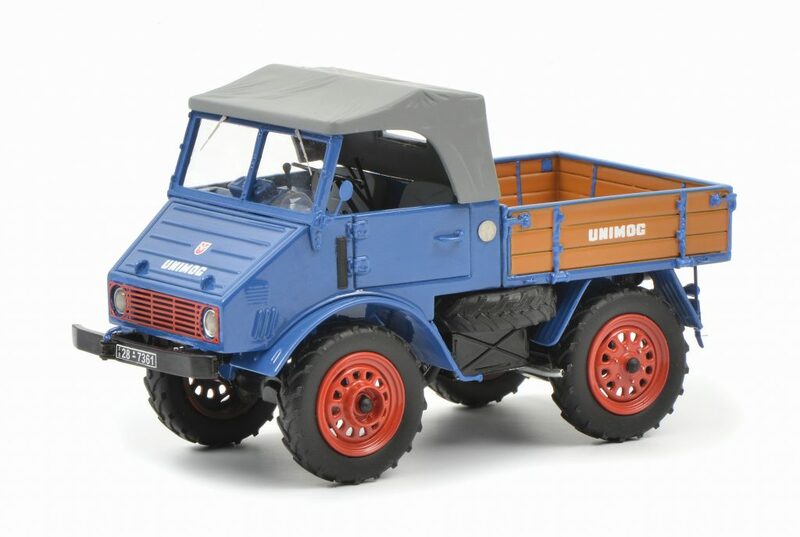 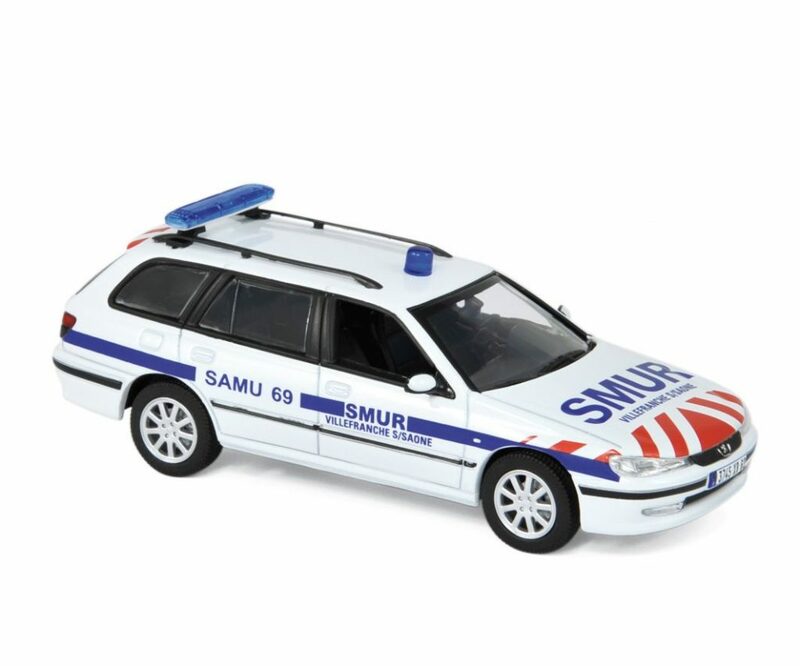 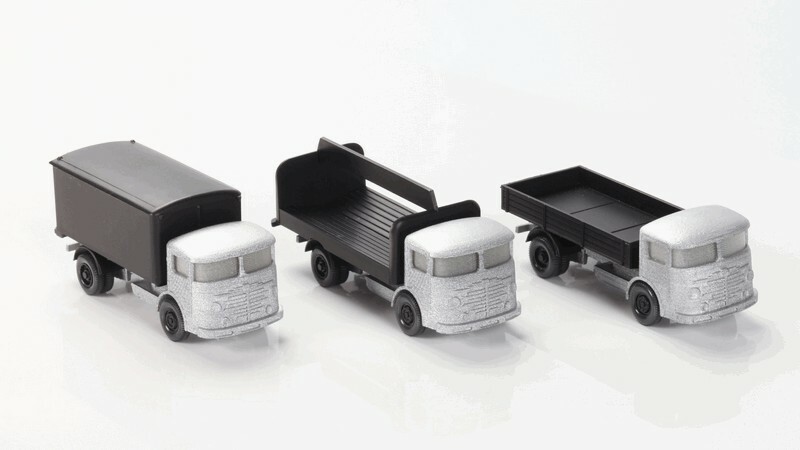 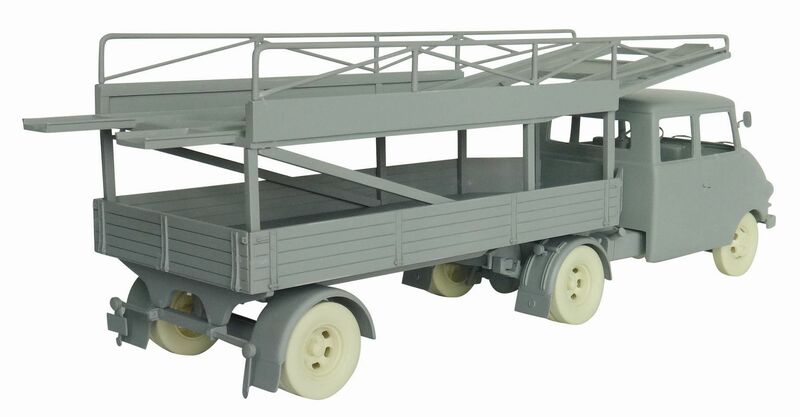 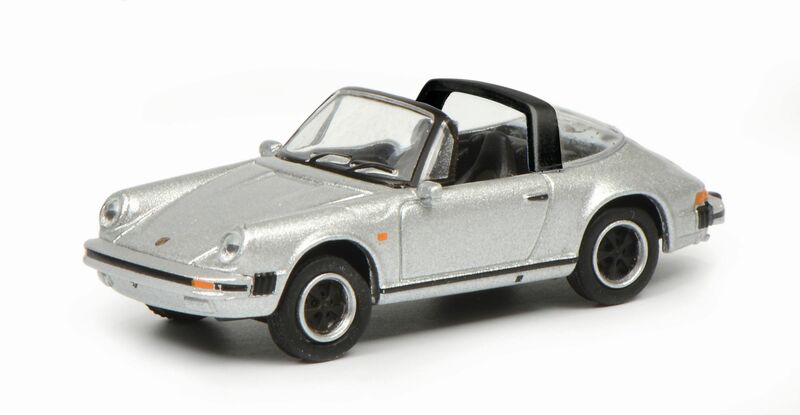 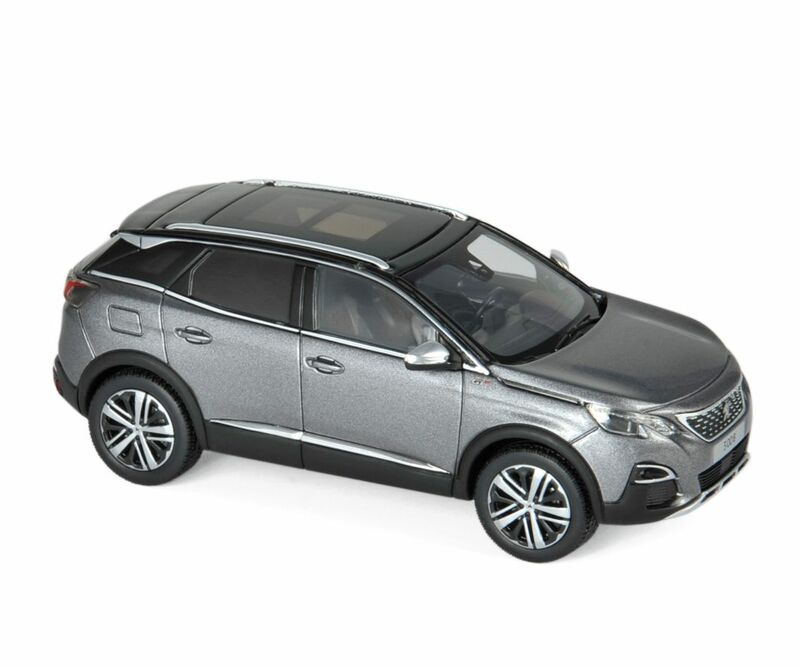 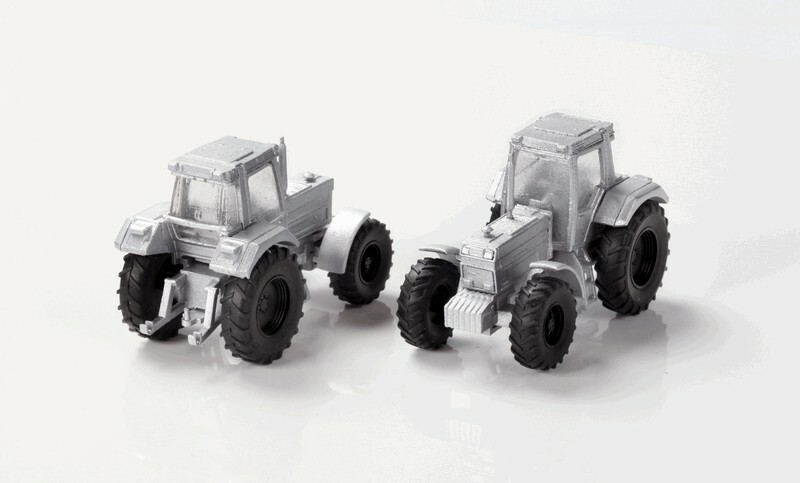 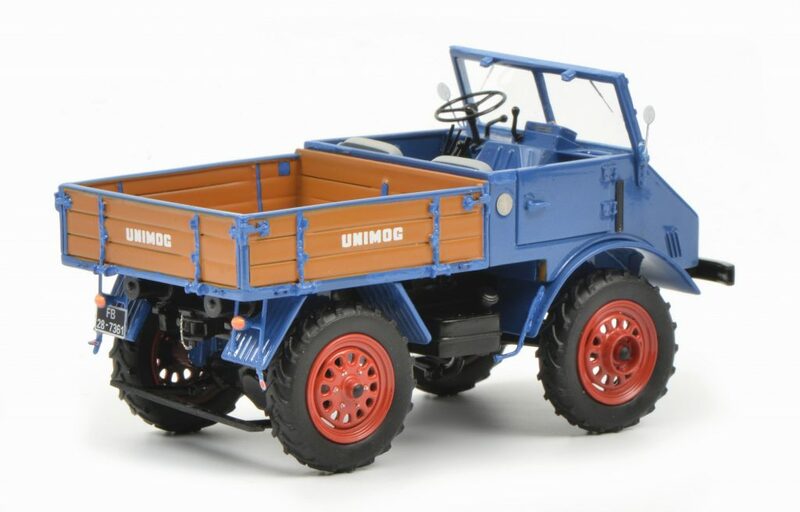 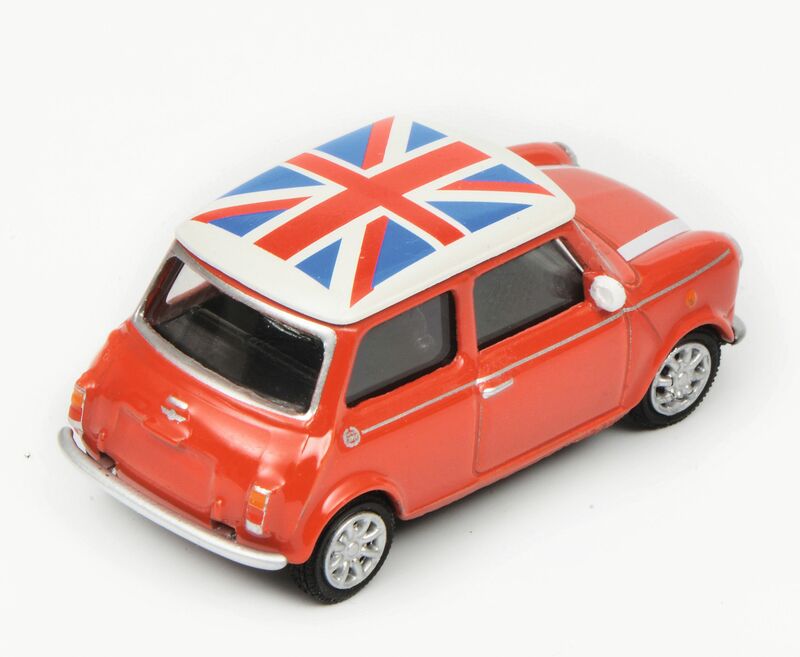 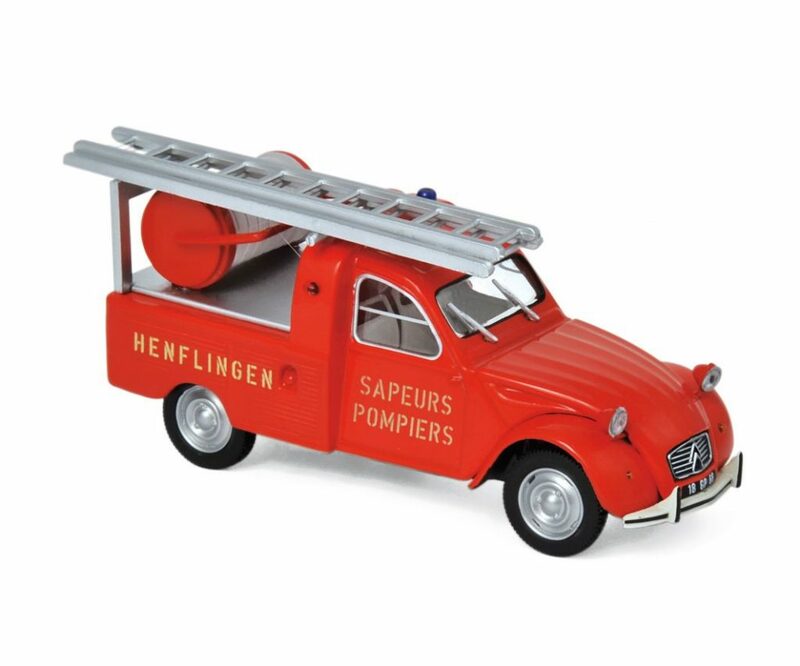 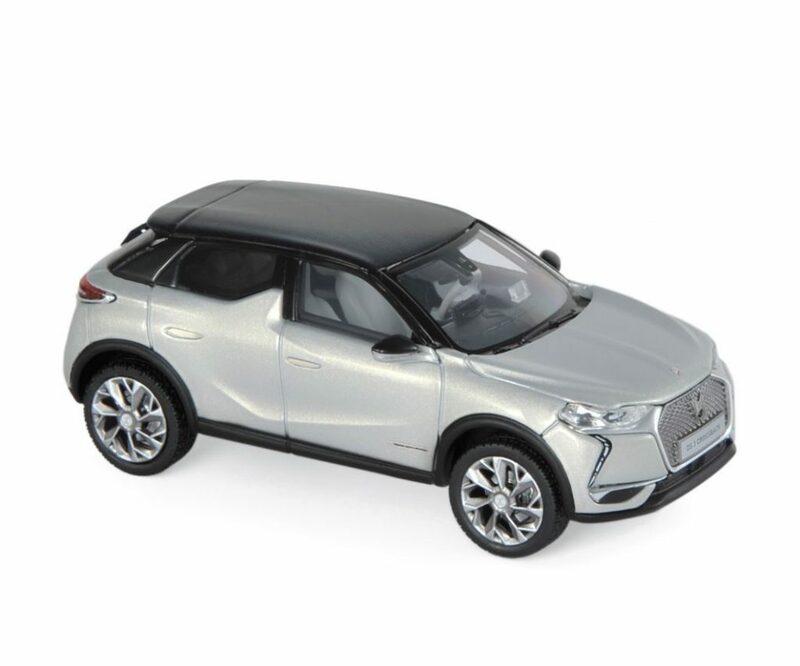 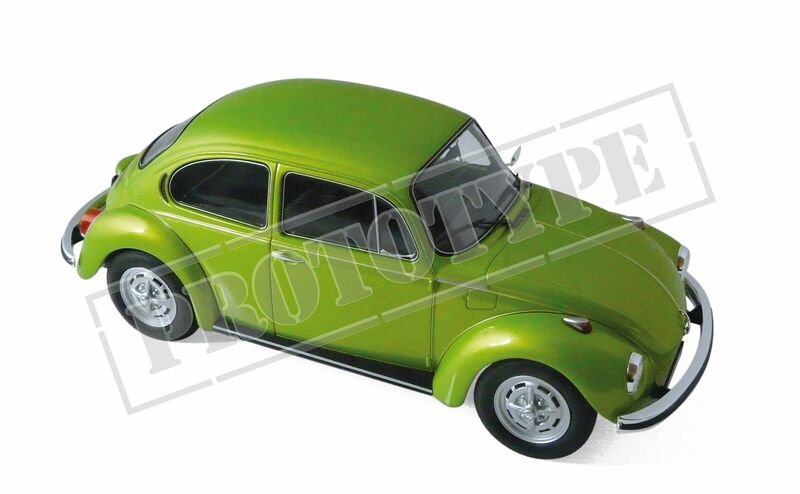 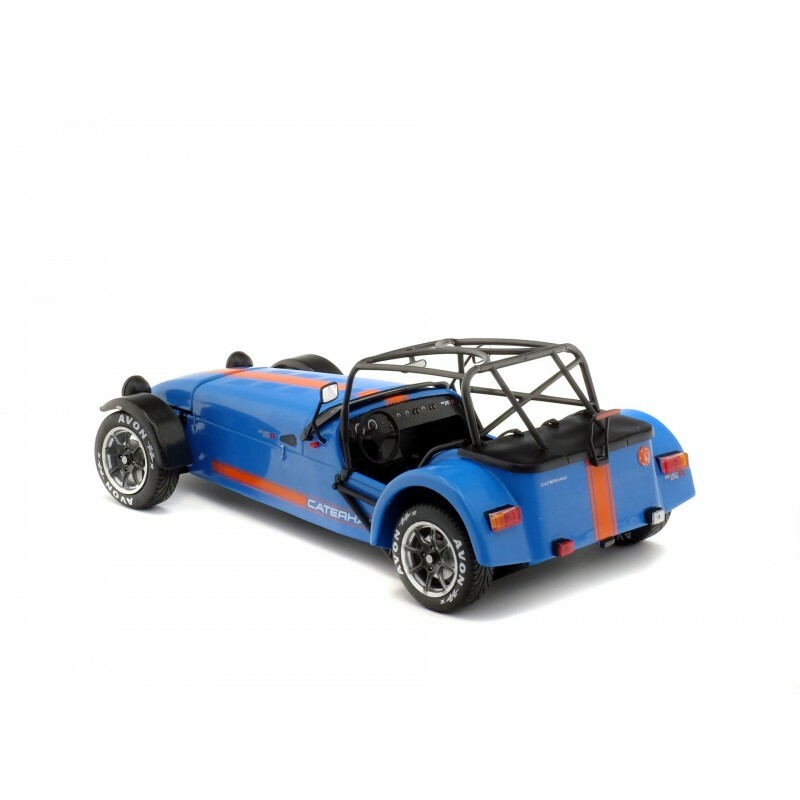 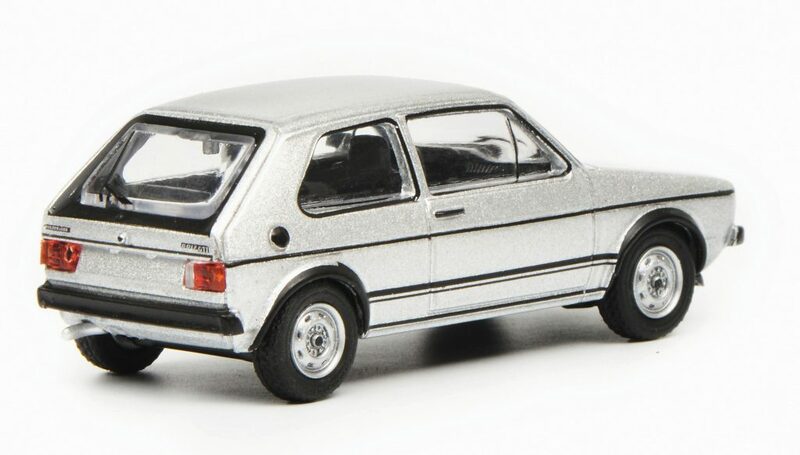 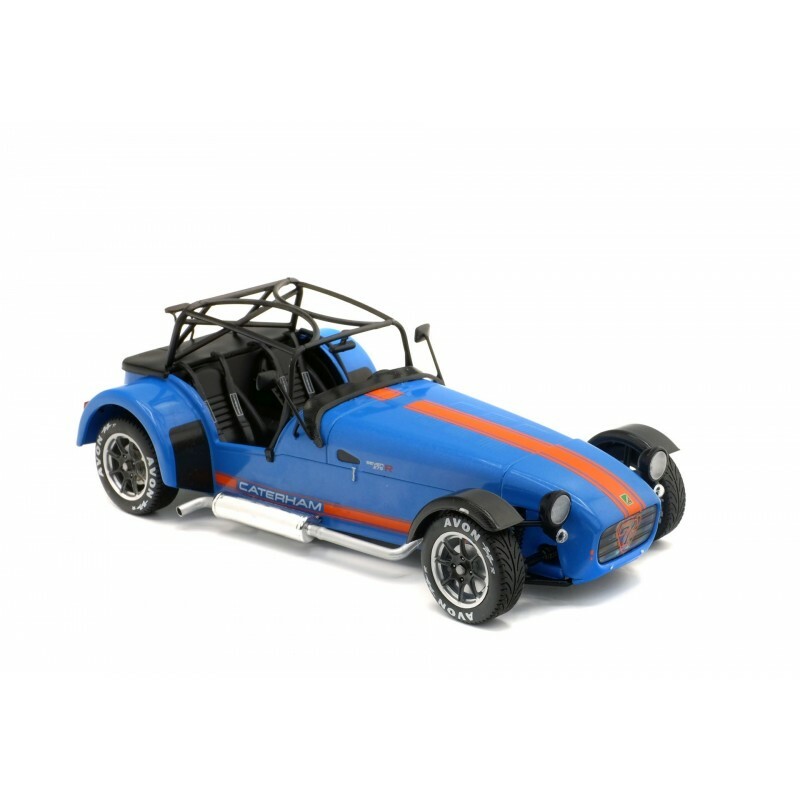 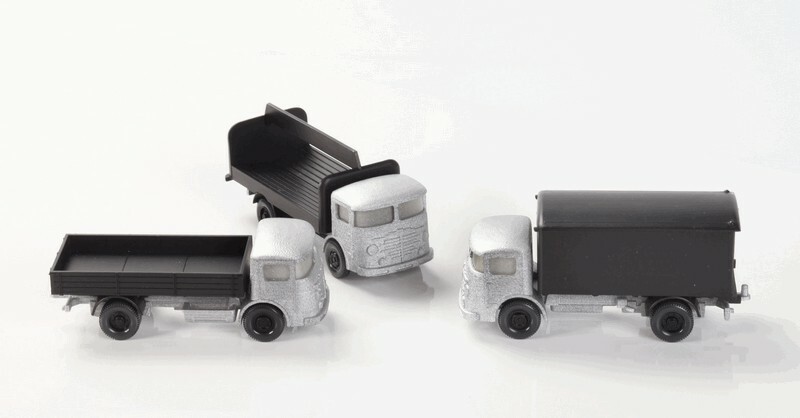 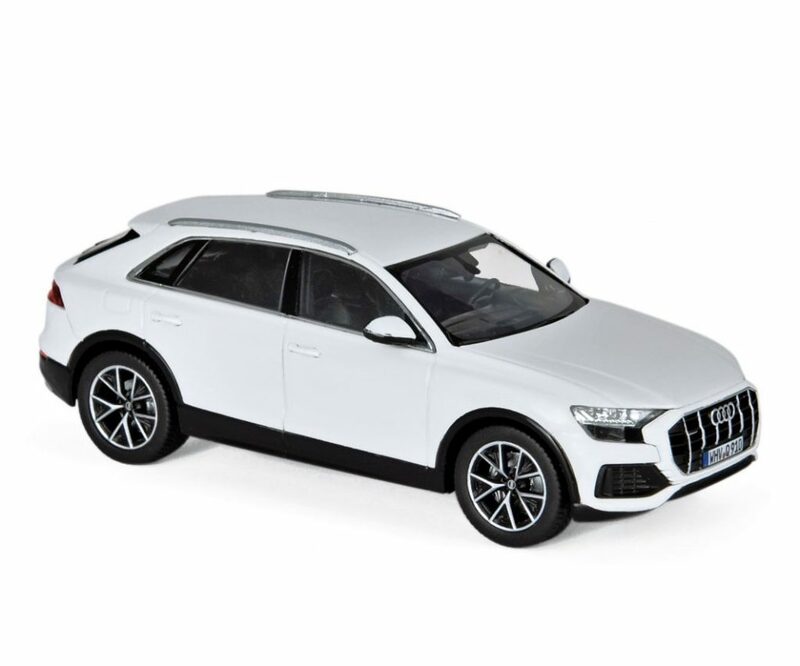 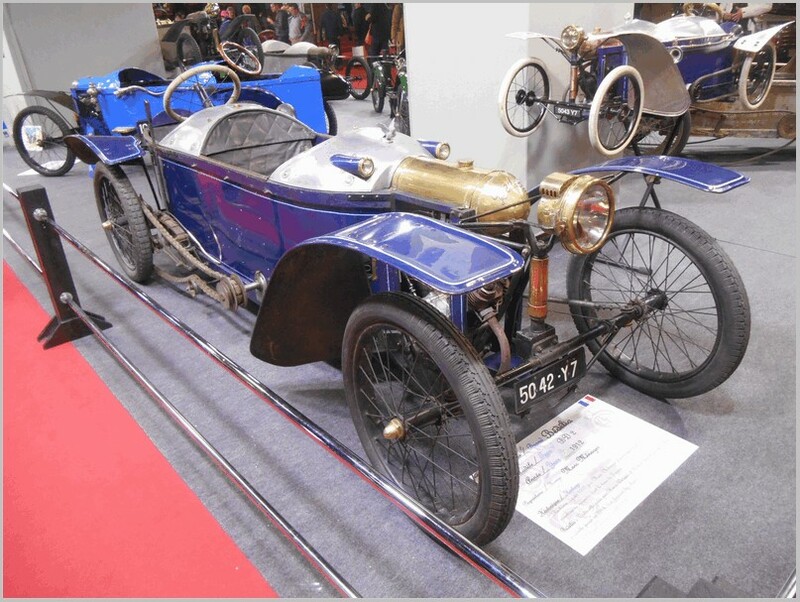 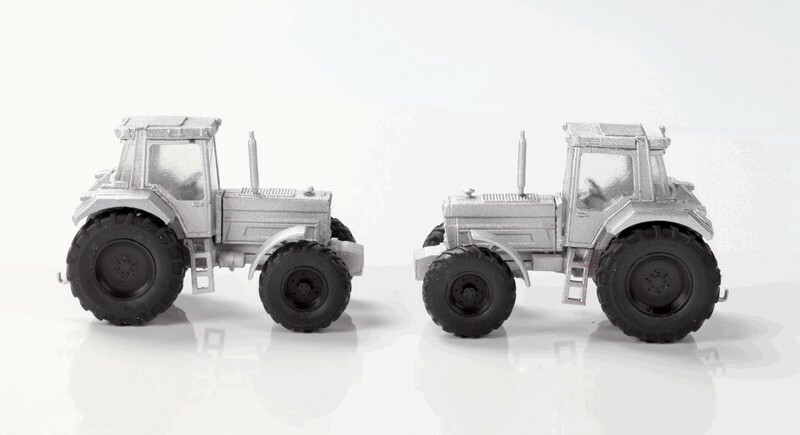 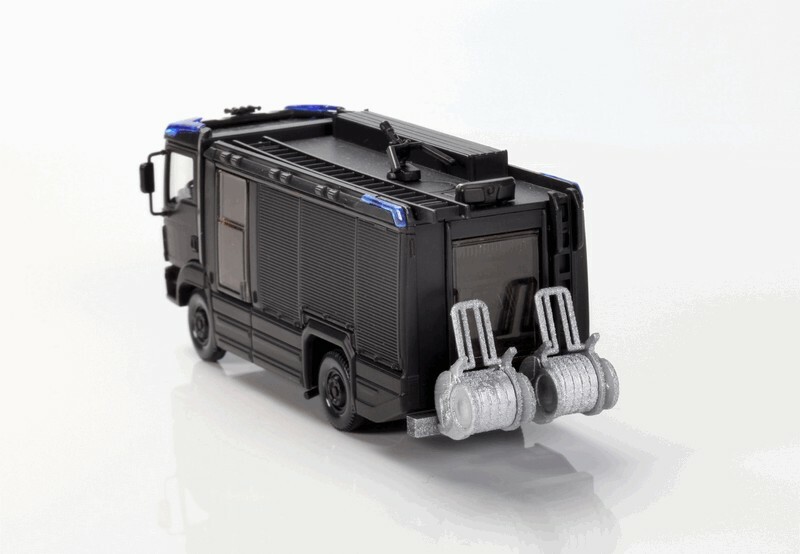 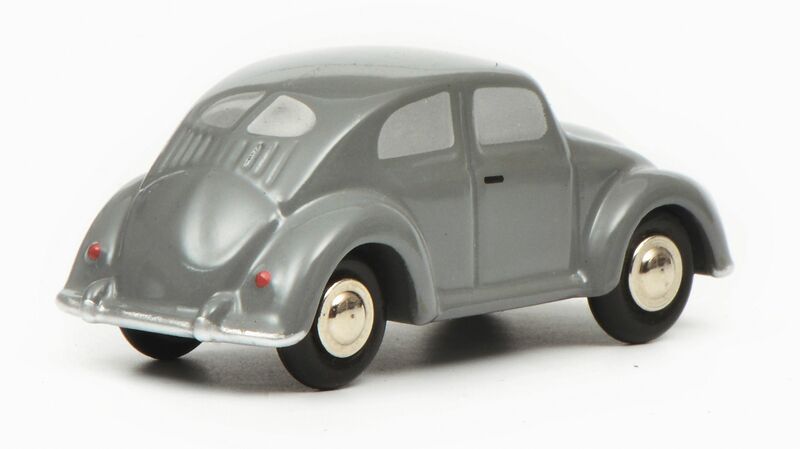 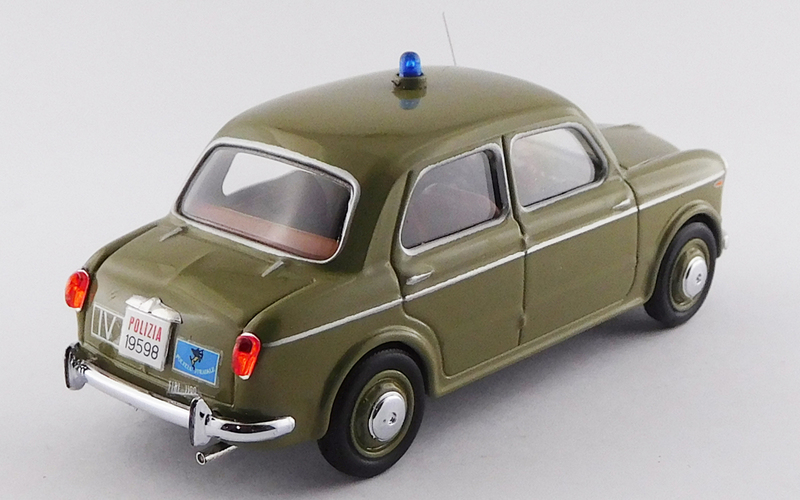 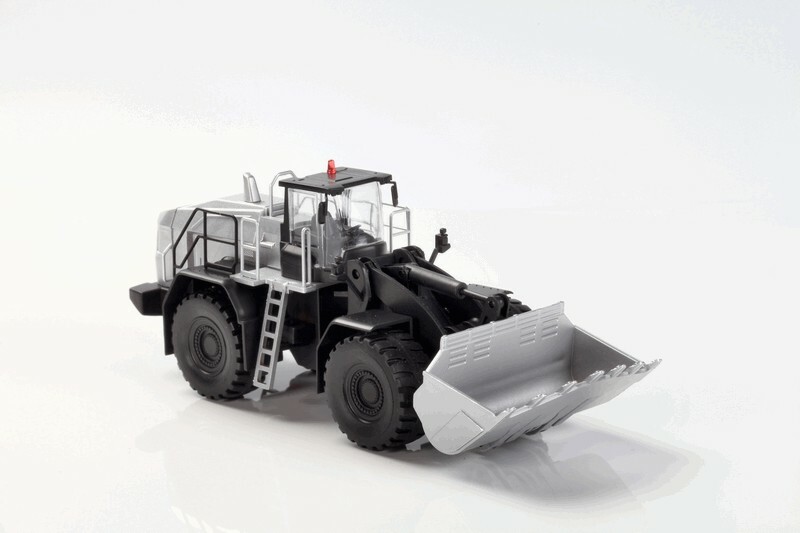 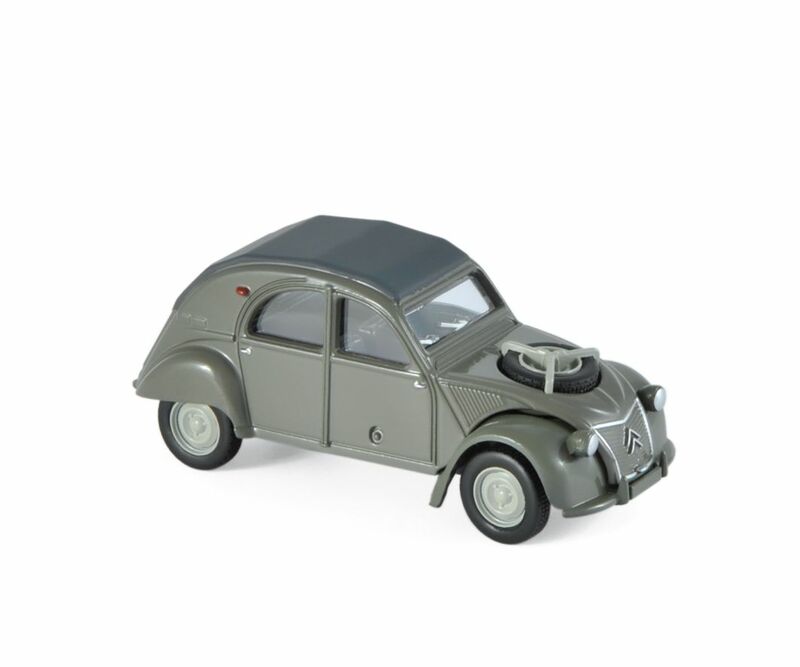 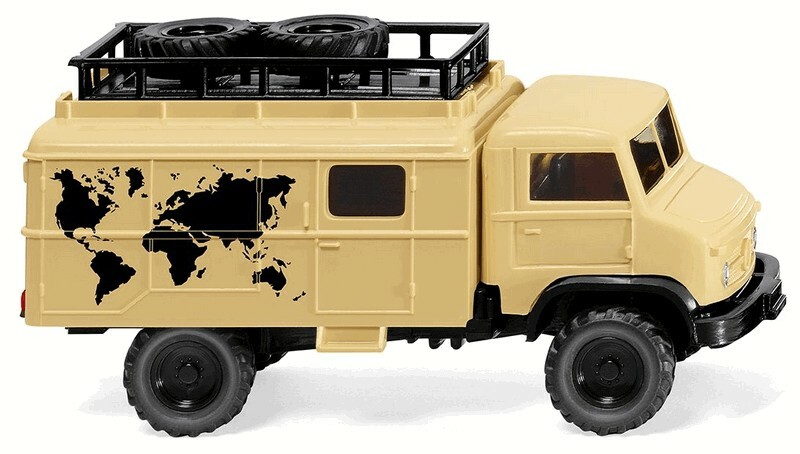 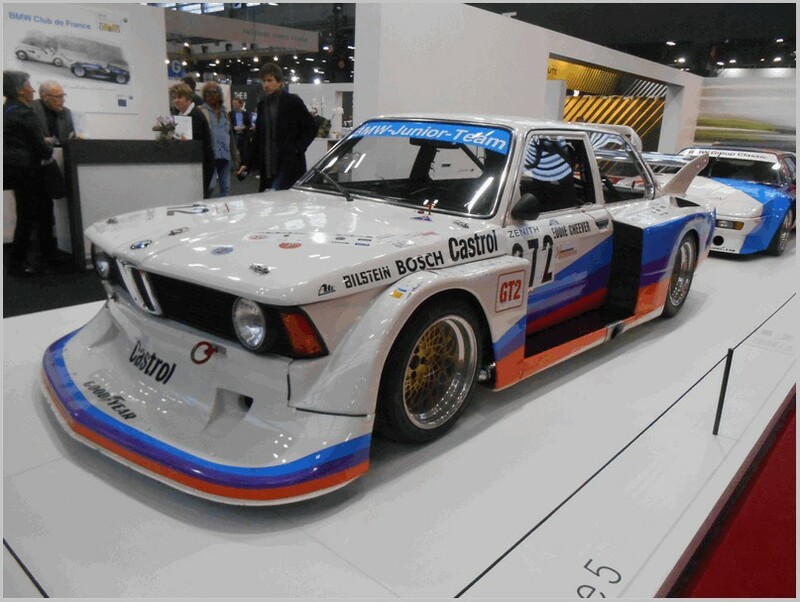 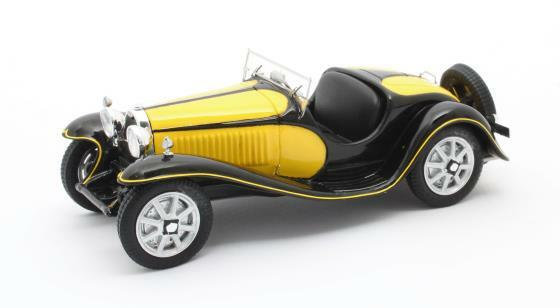 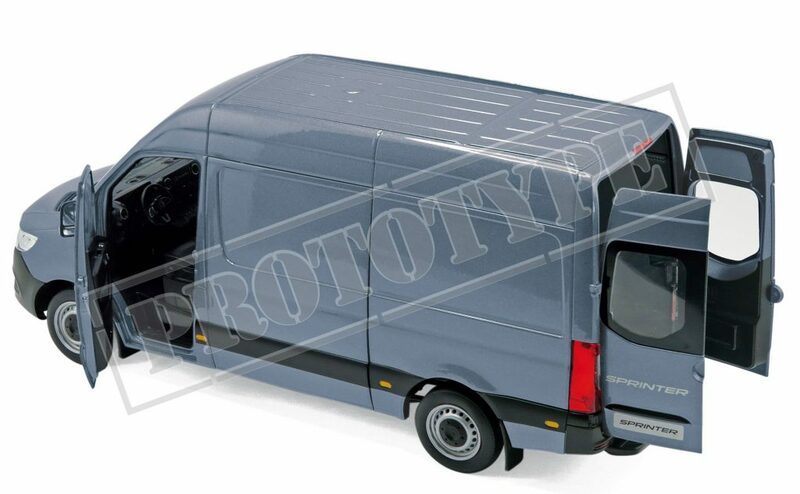 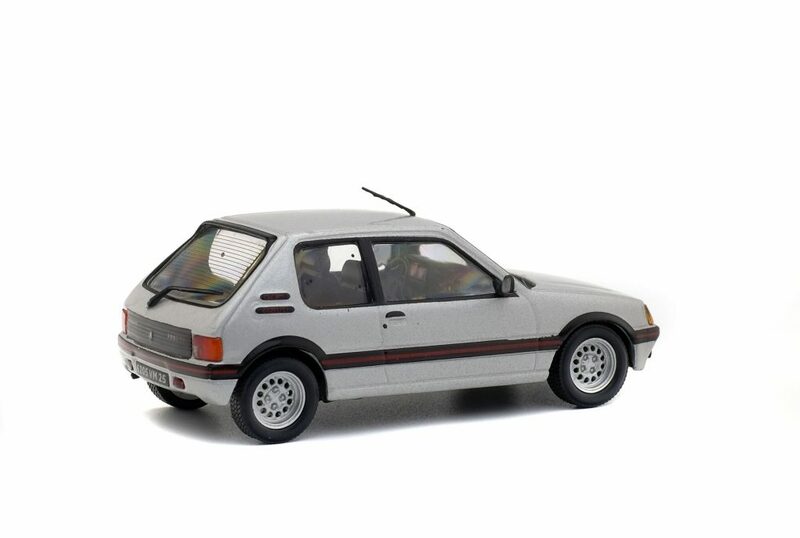 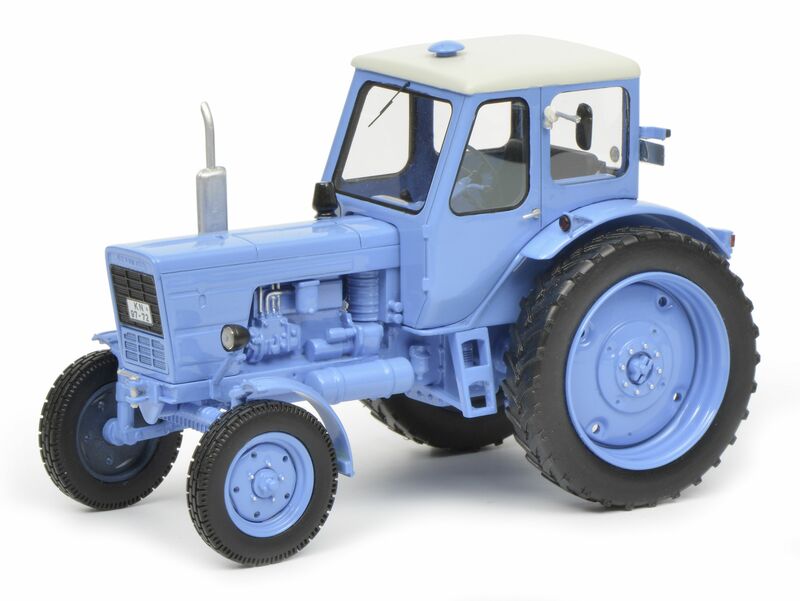 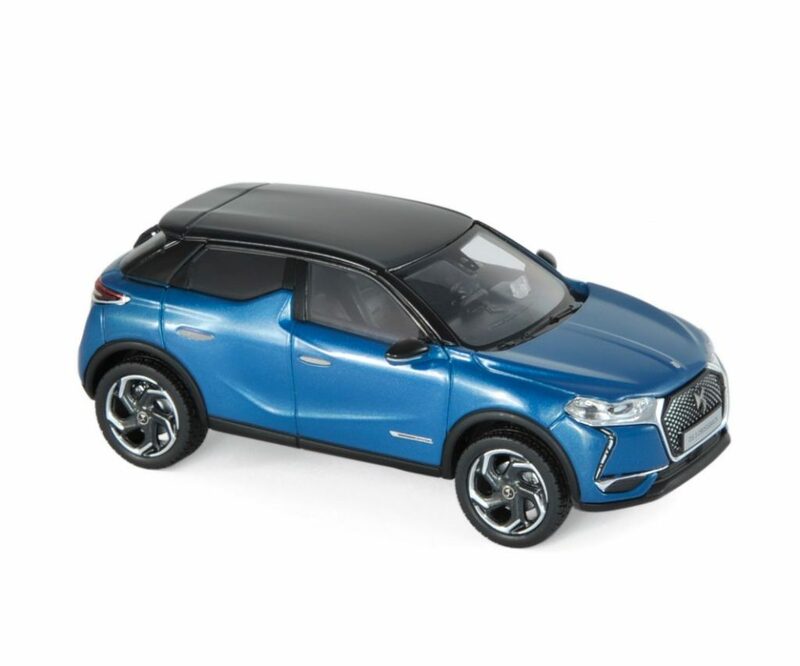 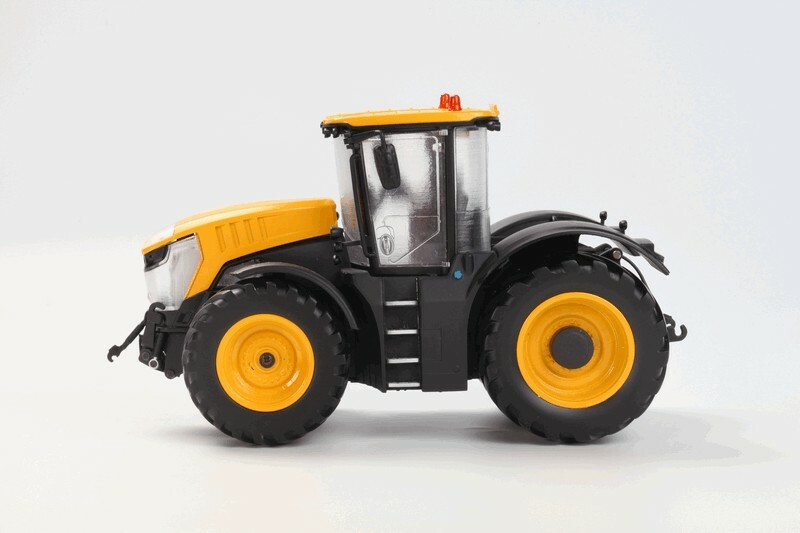 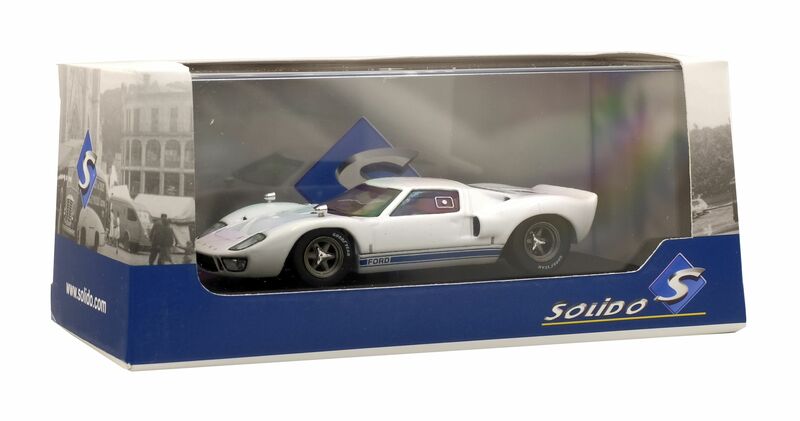 Solido models are diecast in China for France.